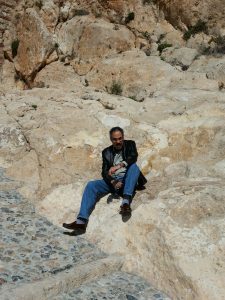 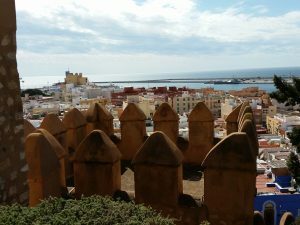 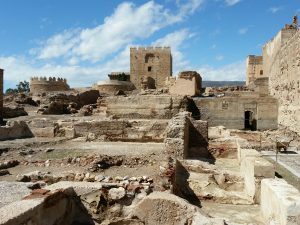 We are only spending a few days in Almeria, March 9th – 12th, 2018. 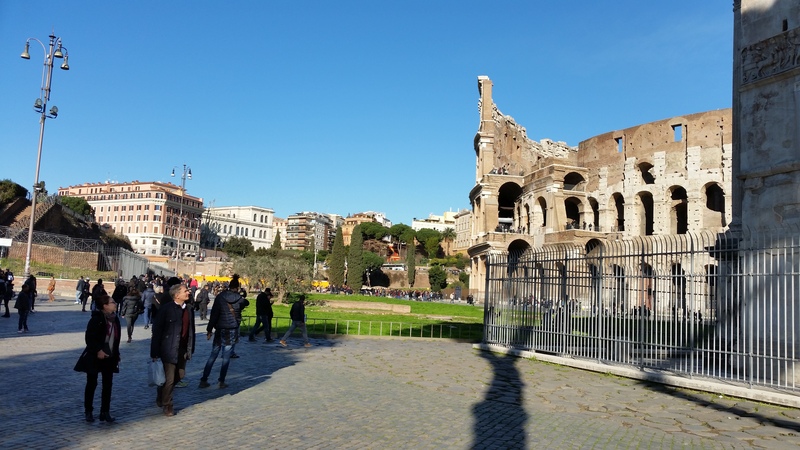 Arrived by bus on March 9th at 2pm. Found our way to the Airbnb by taxi. 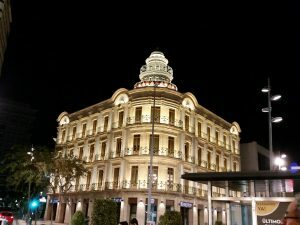 We stayed in the older district. 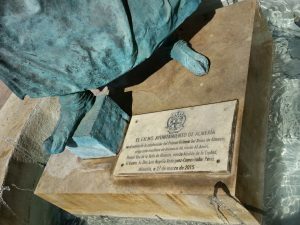 We have been to Almeria before… back in 2007 (if I am remembering correctly). 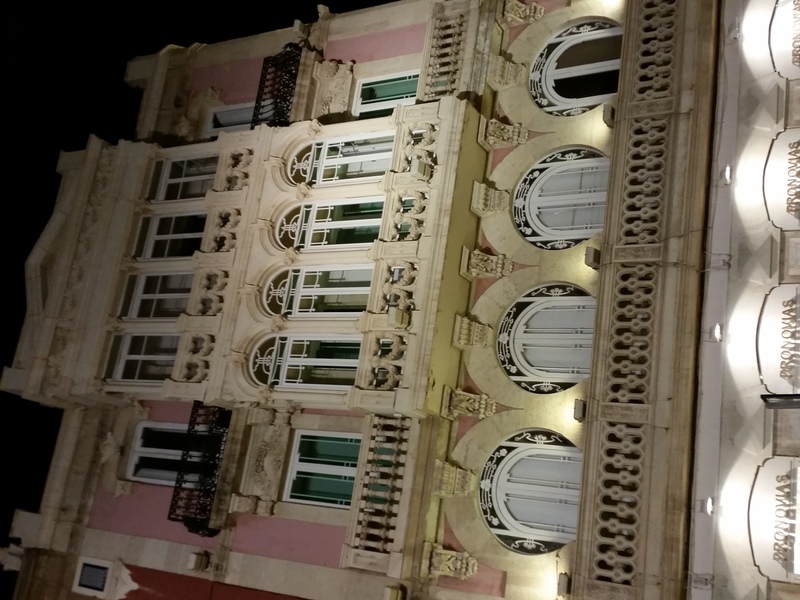 And we did enjoy the one day/night that we stayed. 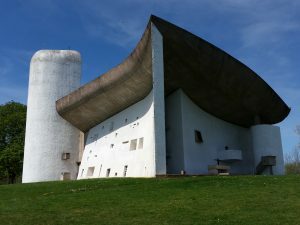 So, I was looking forward to the visit! 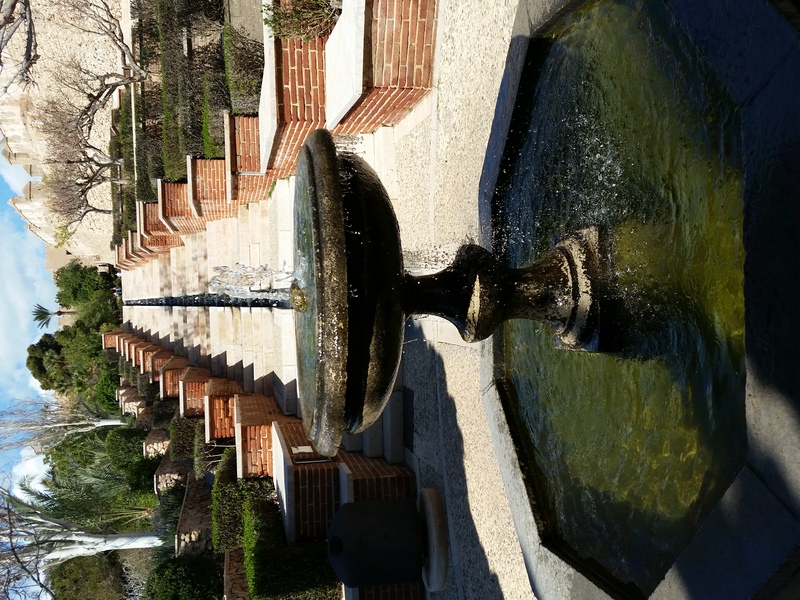 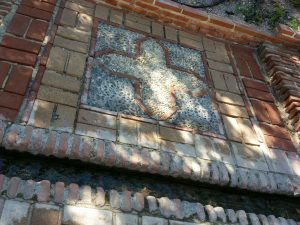 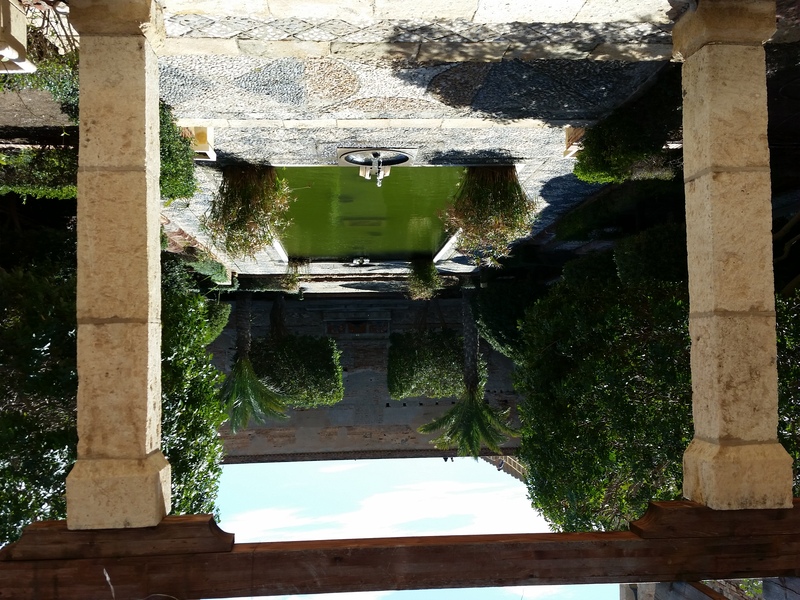 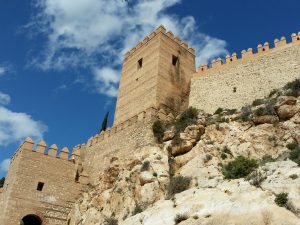 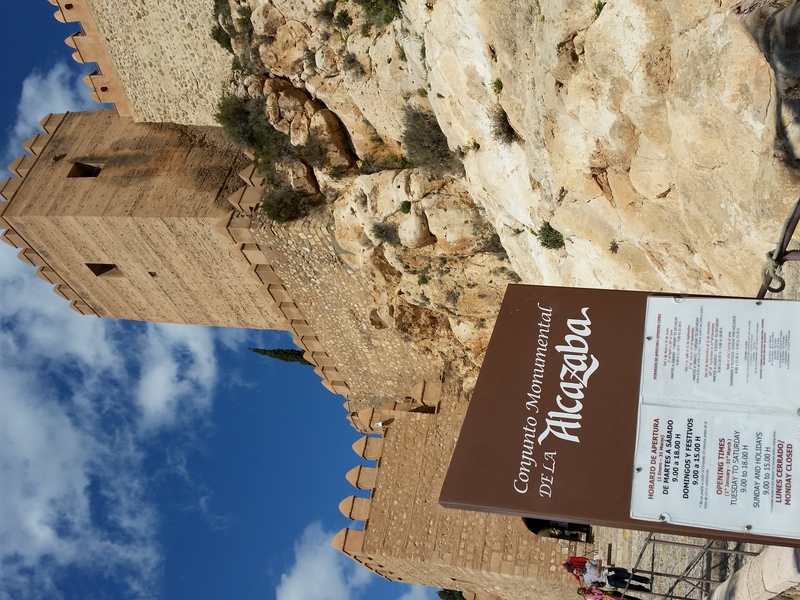 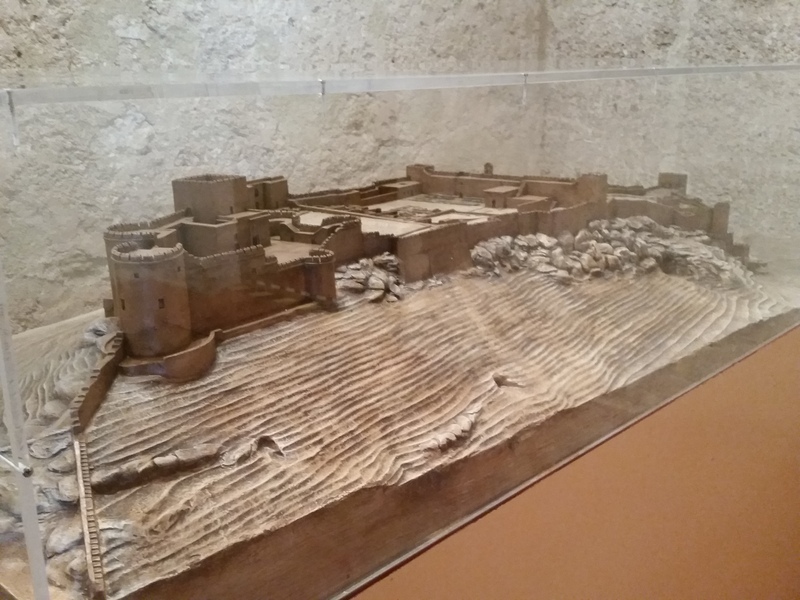 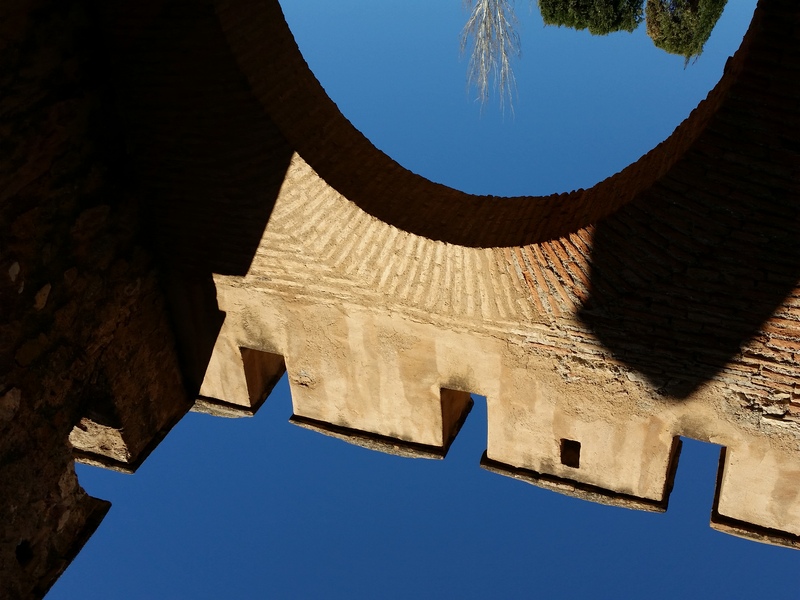 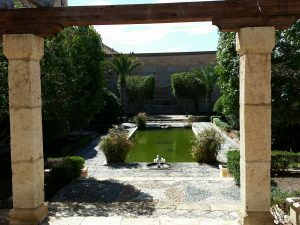 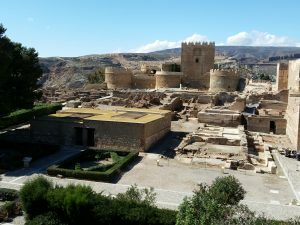 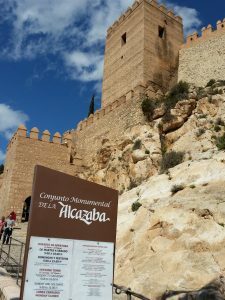 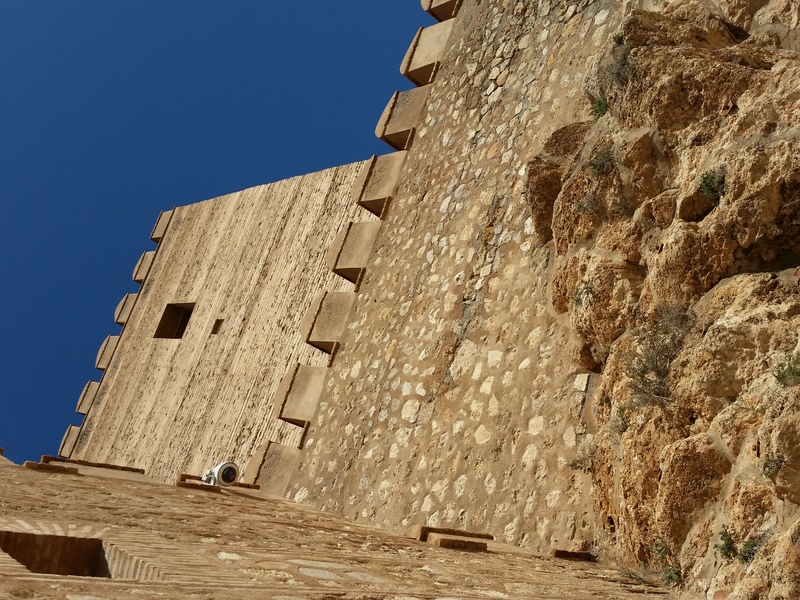 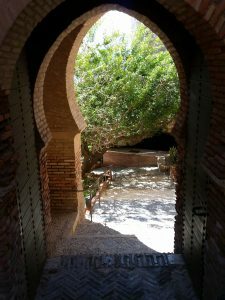 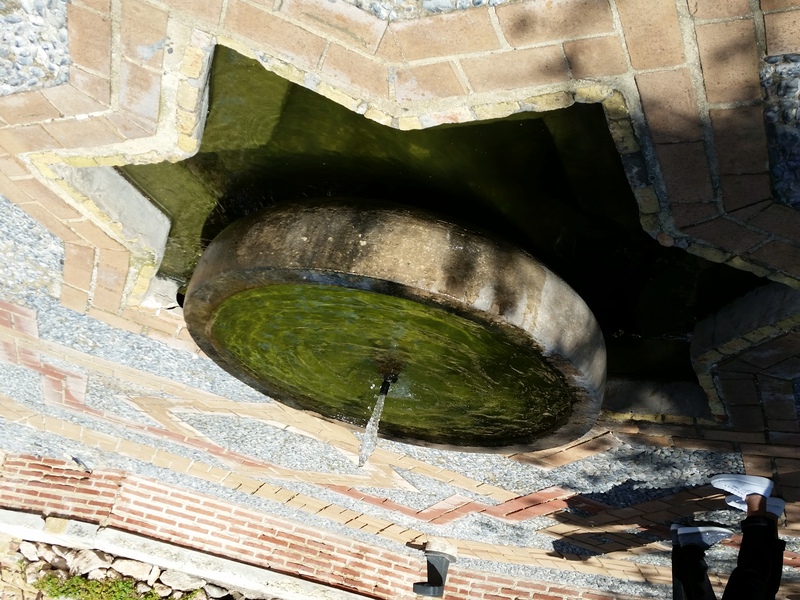 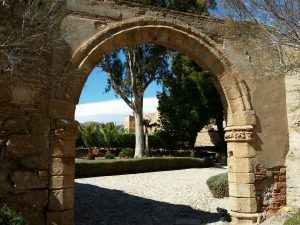 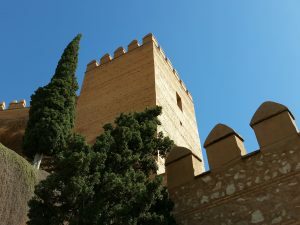 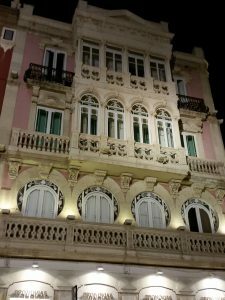 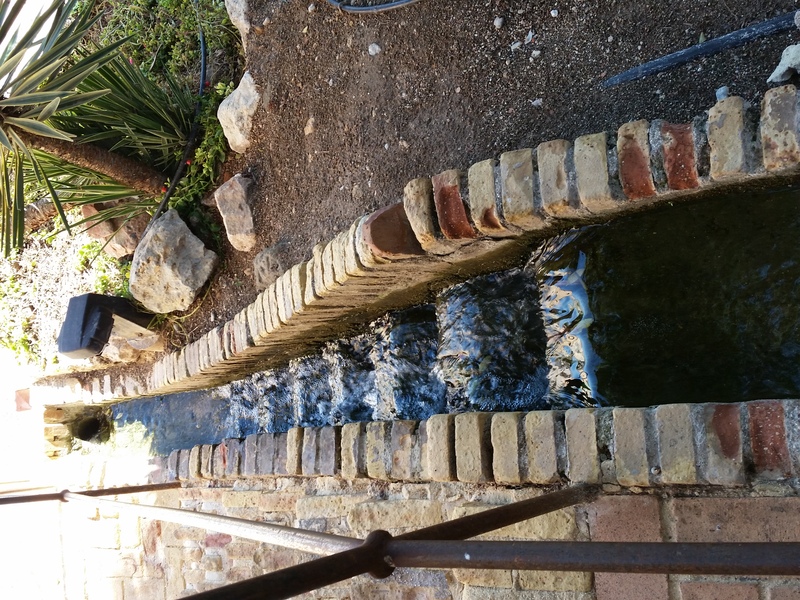 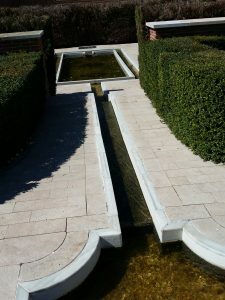 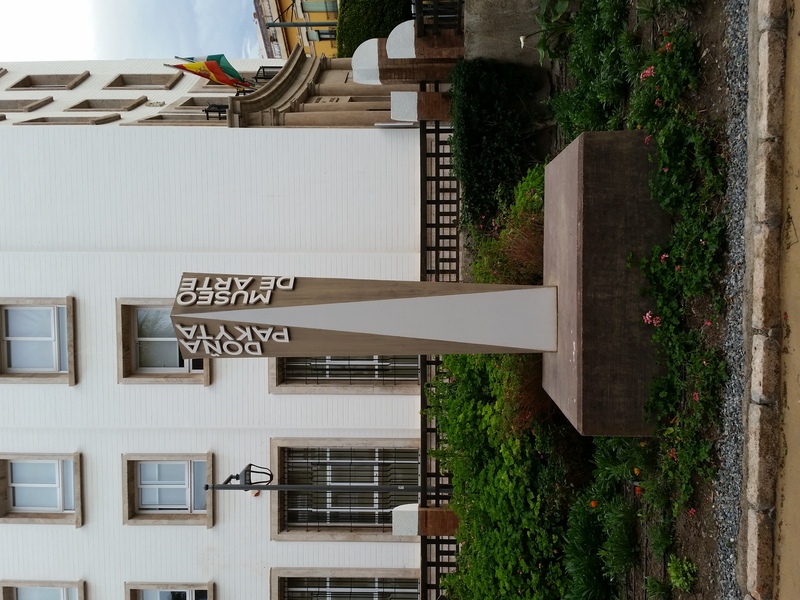 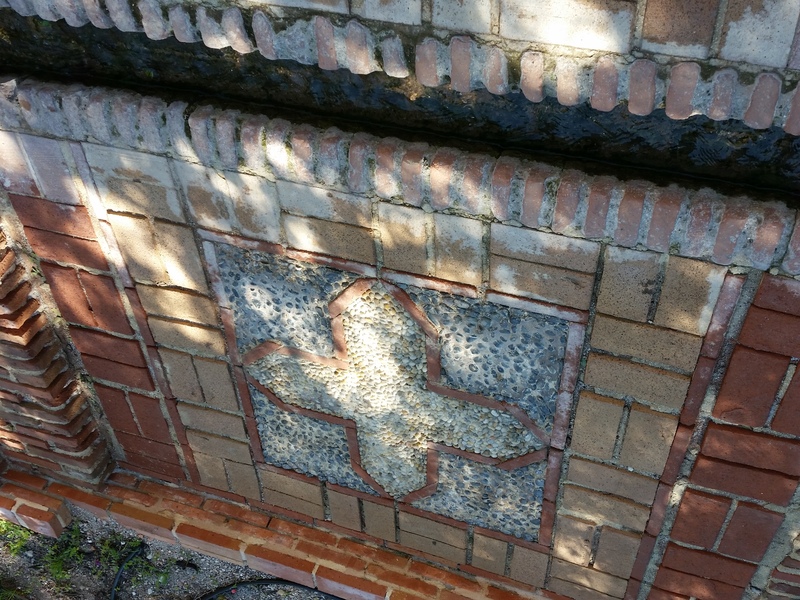 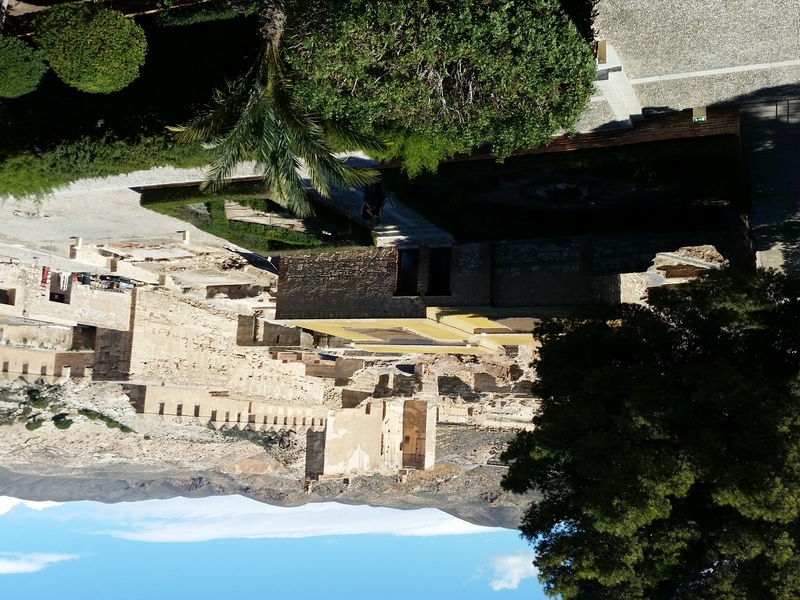 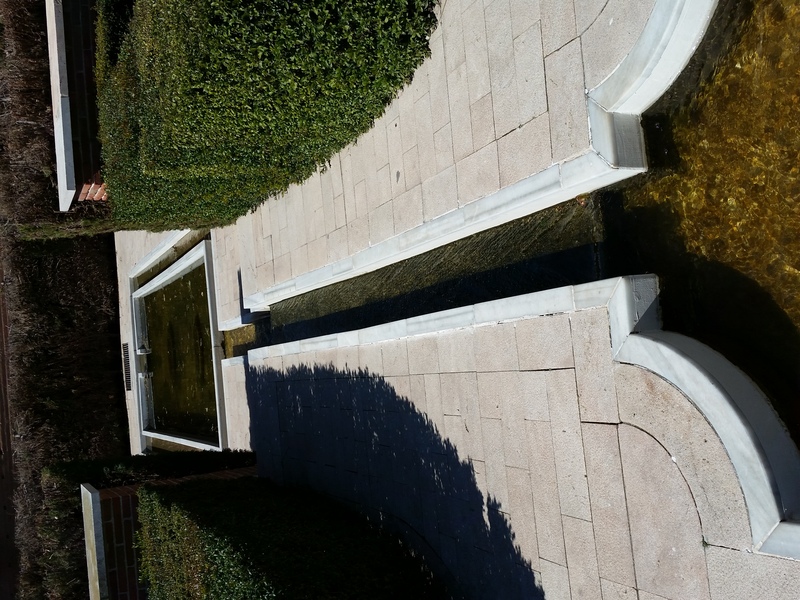 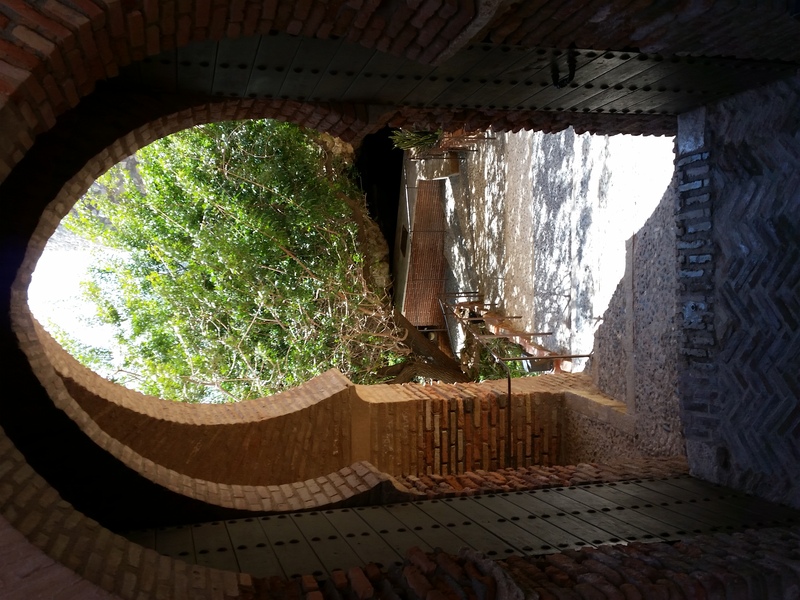 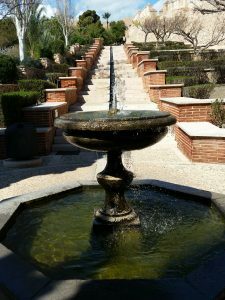 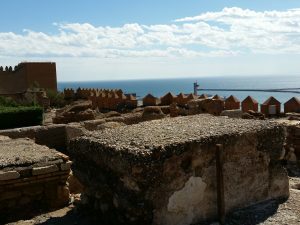 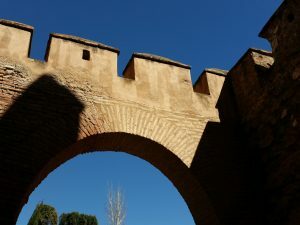 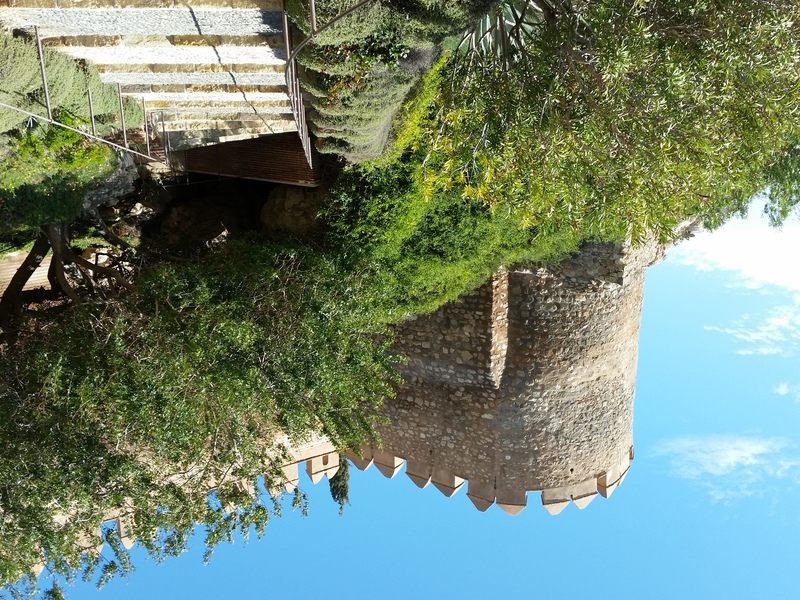 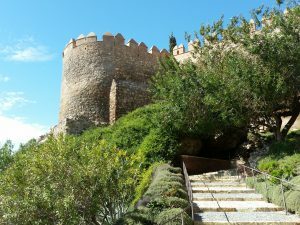 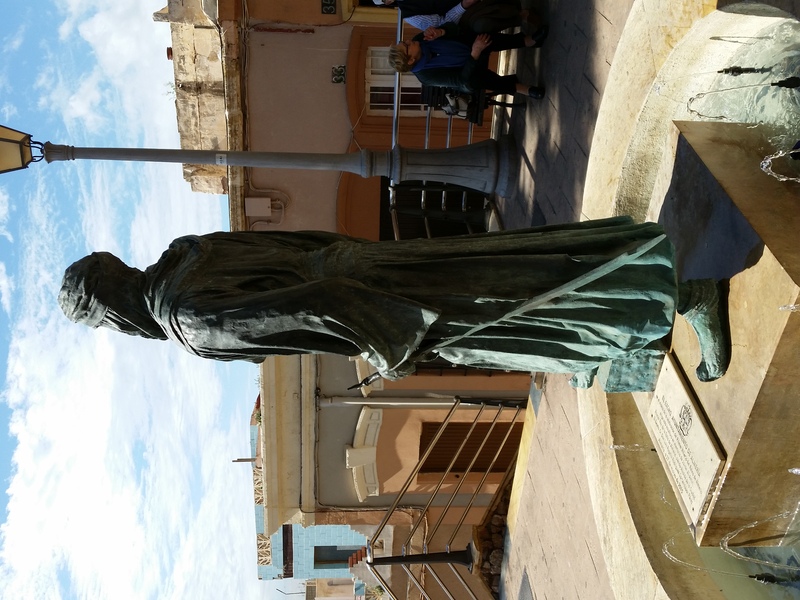 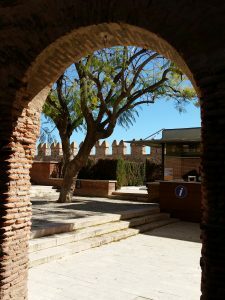 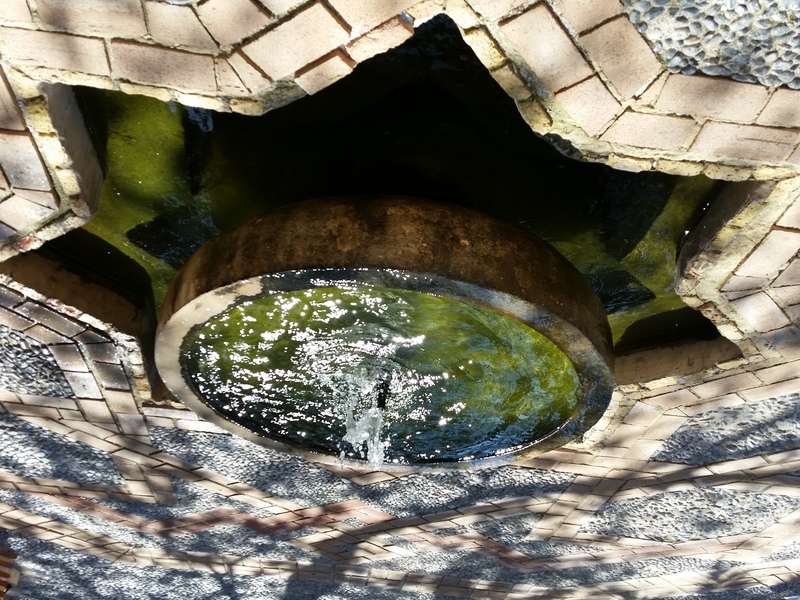 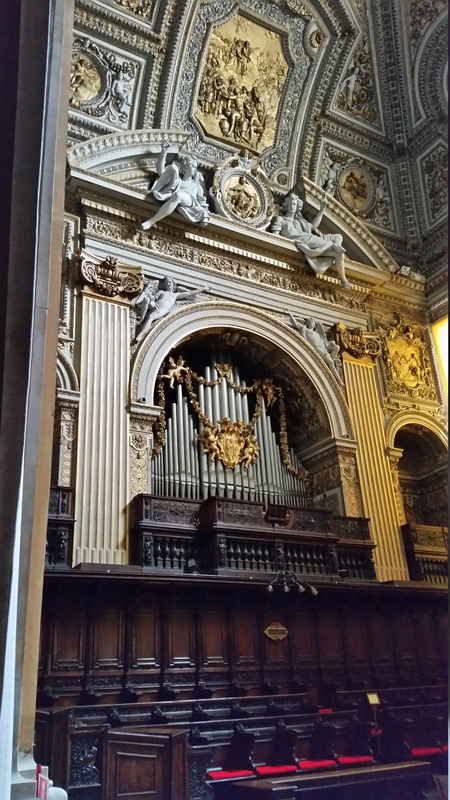 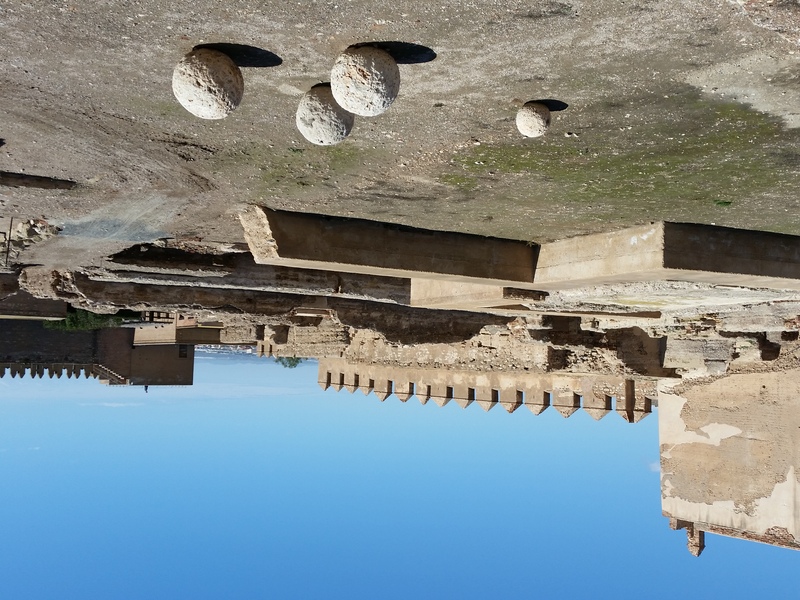 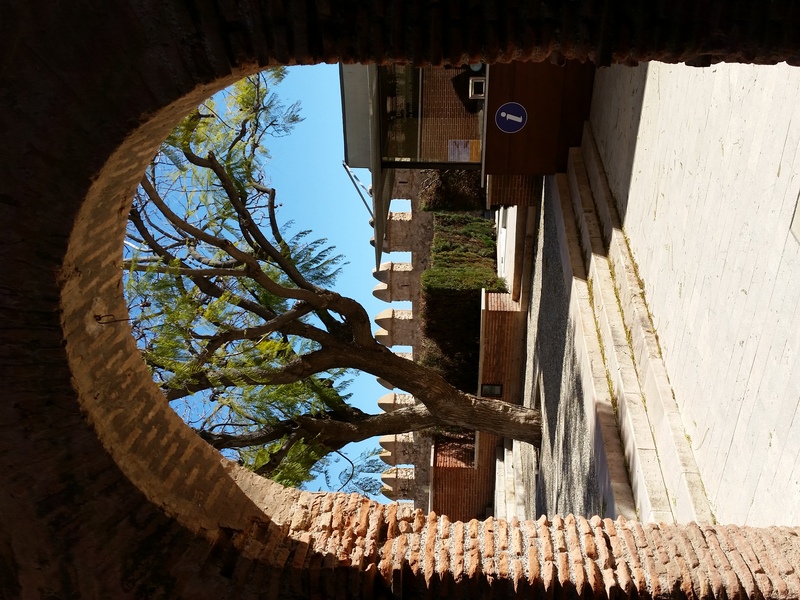 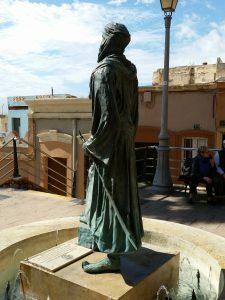 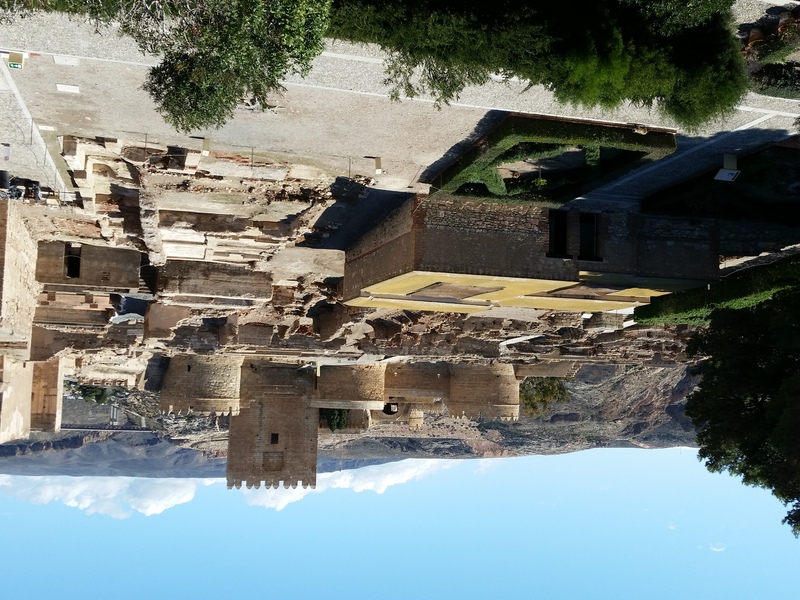 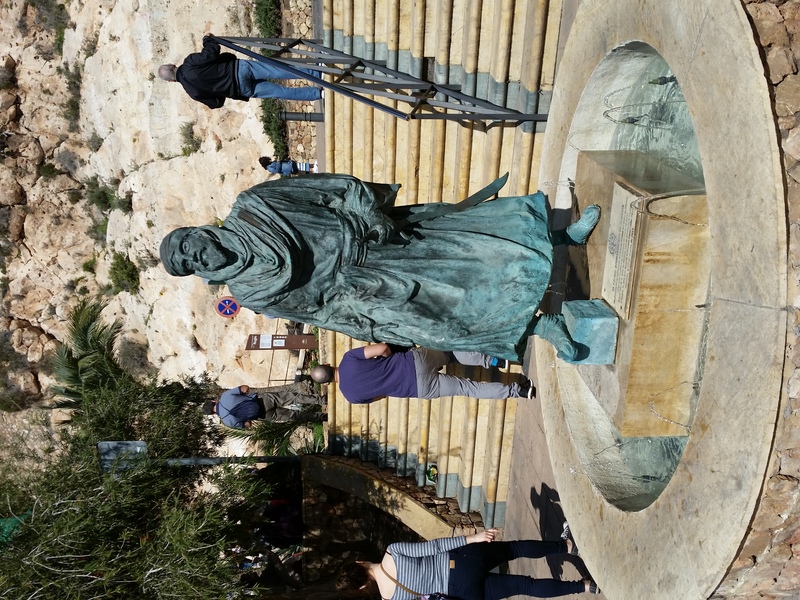 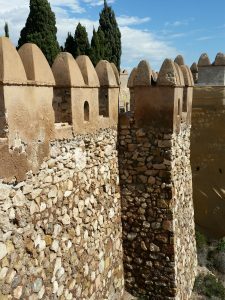 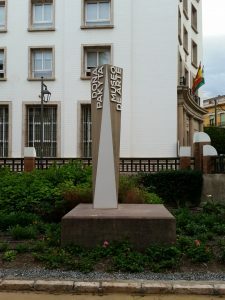 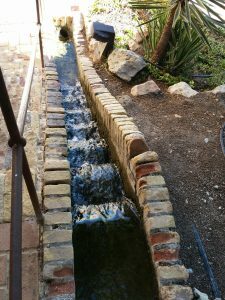 Here are some photos from our visit… including the Alcazaba (free and excellent to go through), The Dona Pakyta Museo De Arte (free and excellent) as well as the Historical Museum (again free and excellent)!! 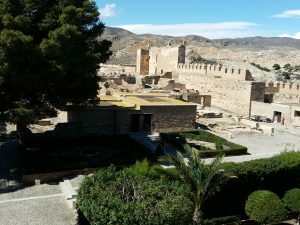 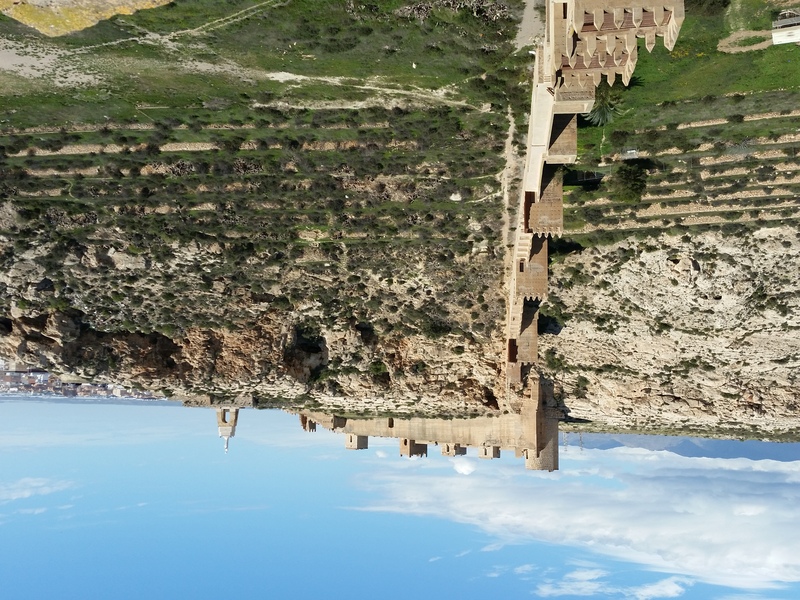 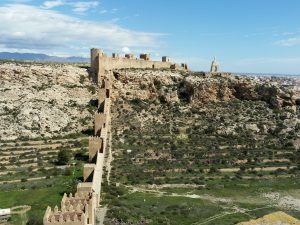 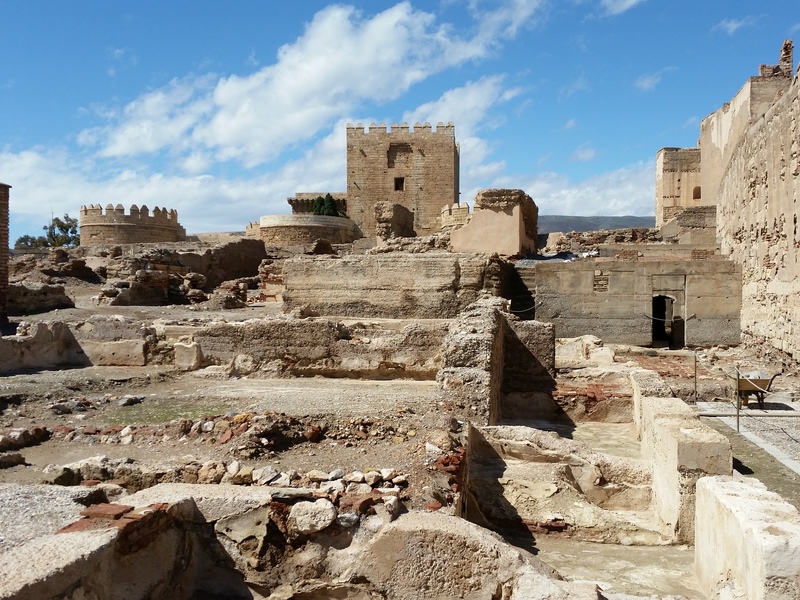 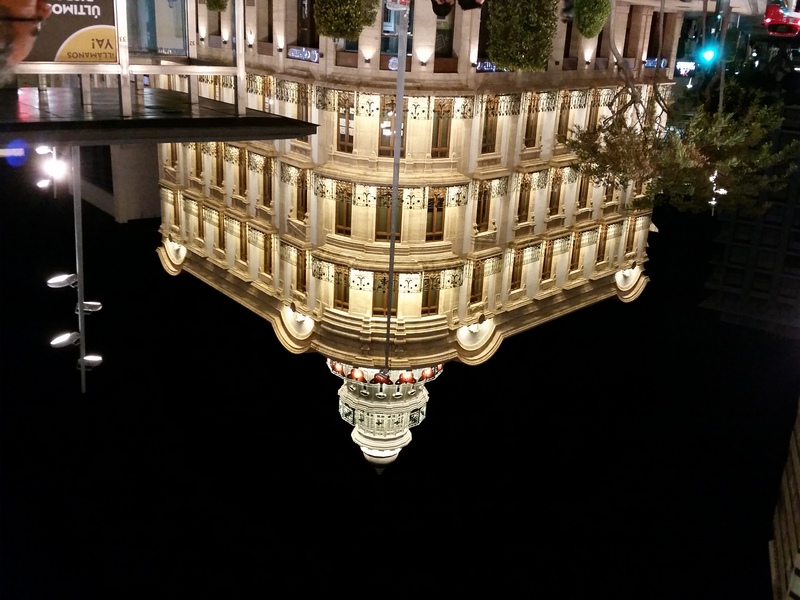 Overall I highly recommend visiting Almeria. 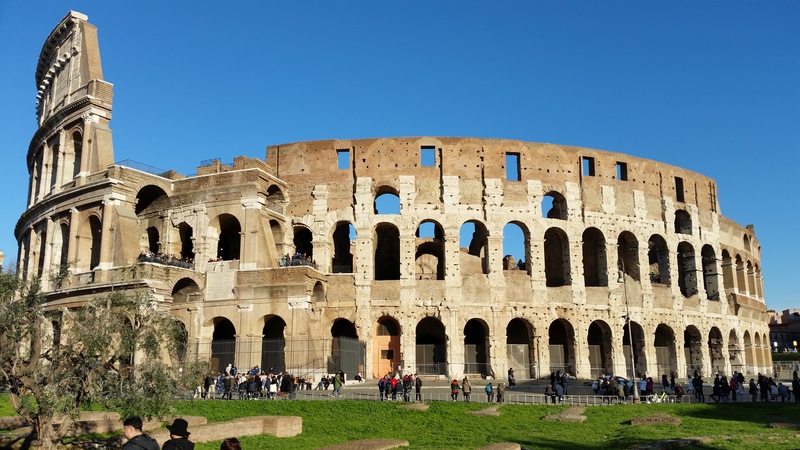 Great history and an excellent value. 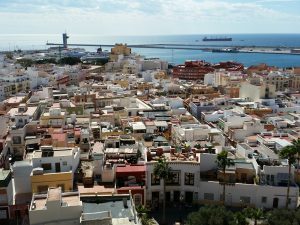 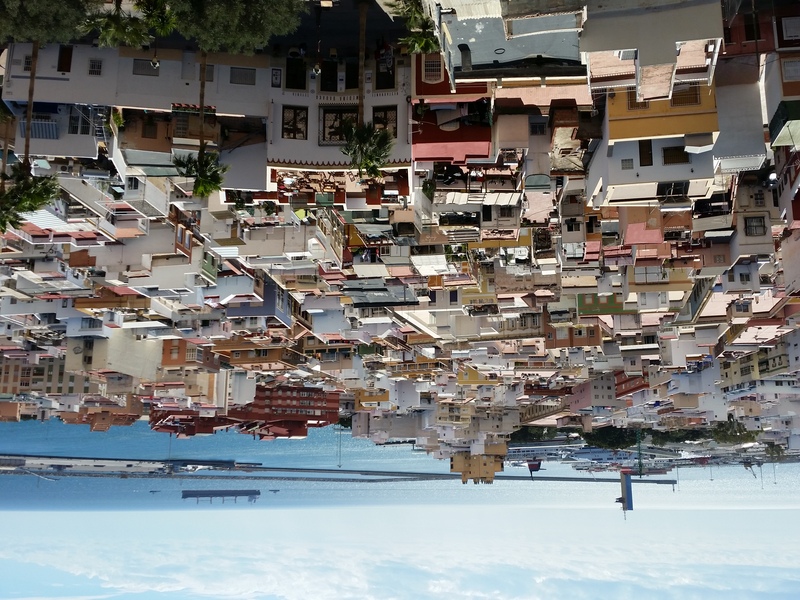 Almería is a city in southeast Spain. 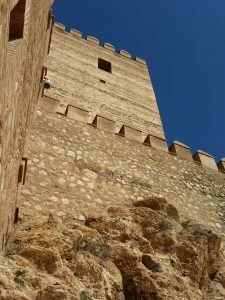 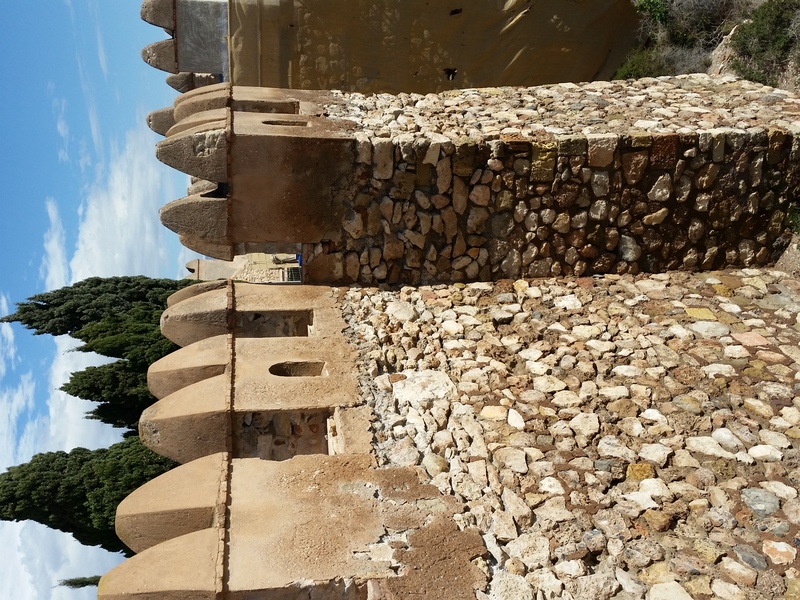 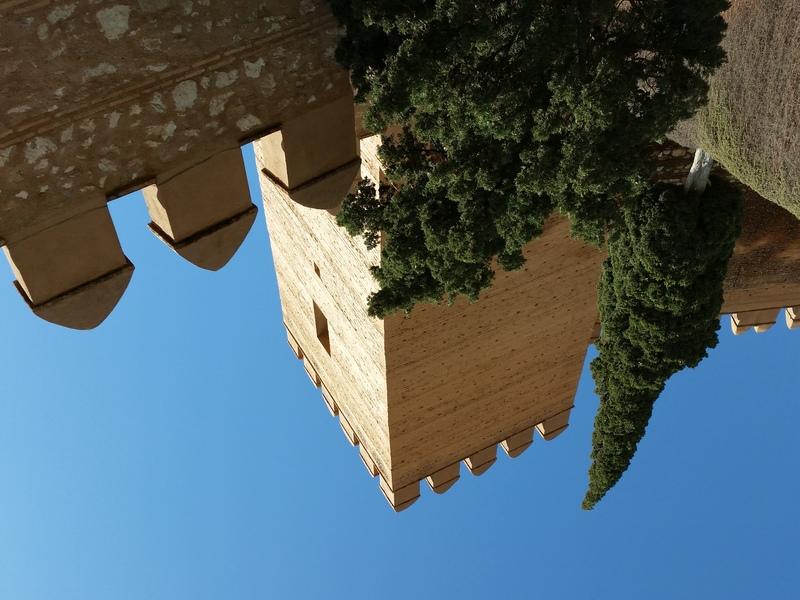 The Alcazaba is an imposing Moorish fortress overlooking the city. 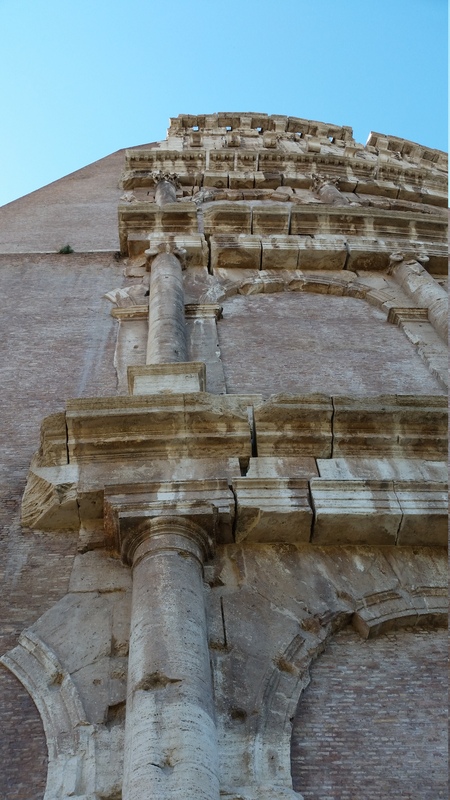 The fortified, 16th-century Almería Cathedral has a Gothic ribbed ceiling. 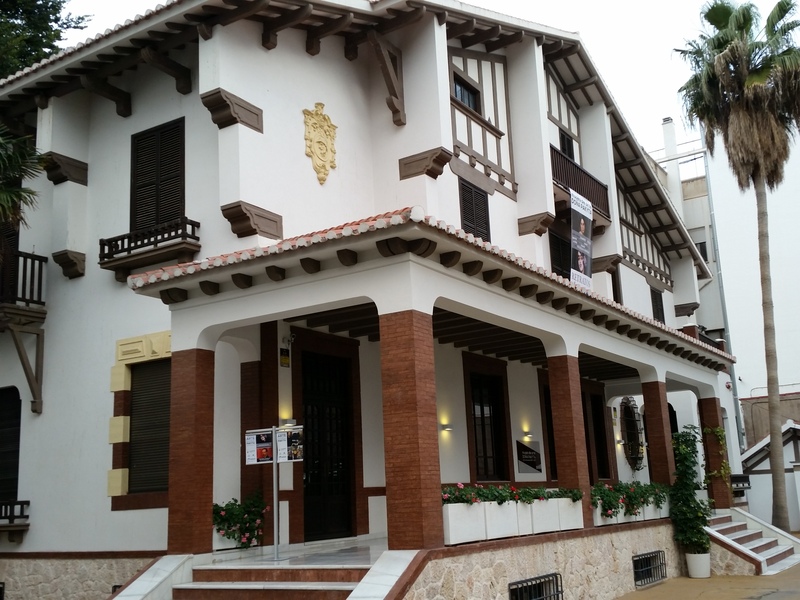 The Museum of Almería displays archaeological finds from across the region. 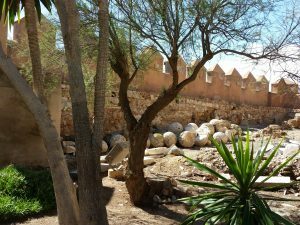 Underground lies a network of tunnels, the Civil War Shelters of Almería. 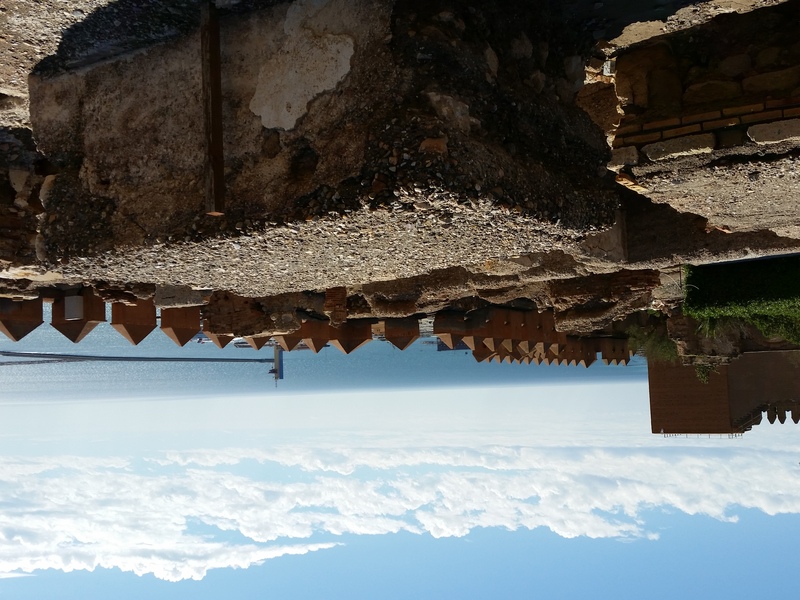 The English Cable is a huge iron pier and symbol of the city’s former mining industry. 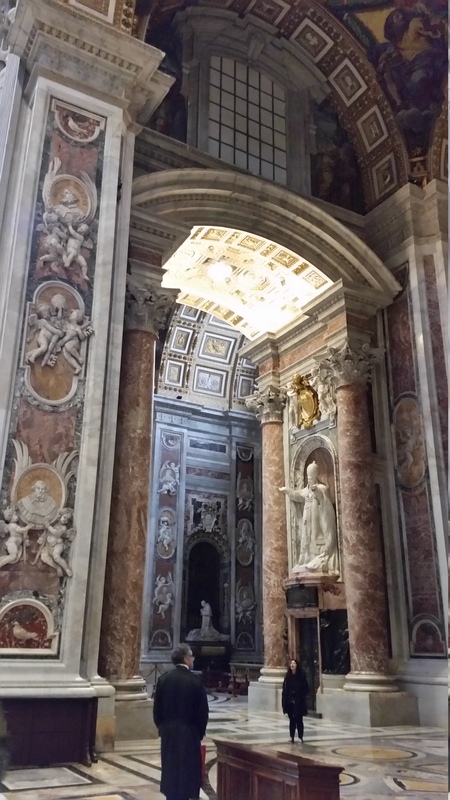 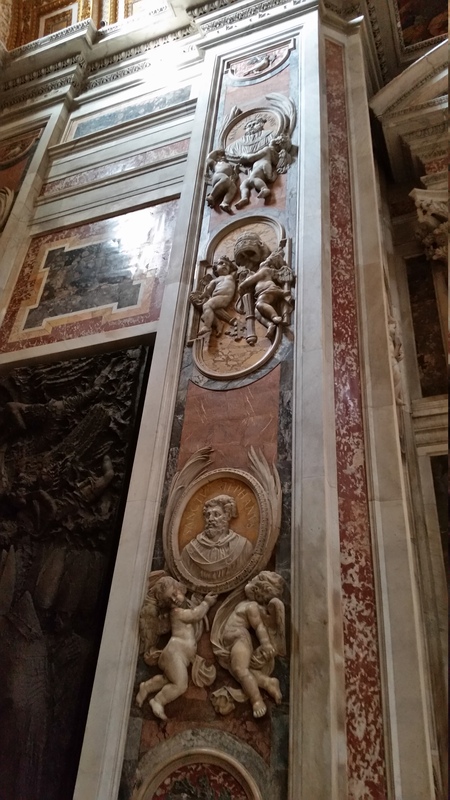 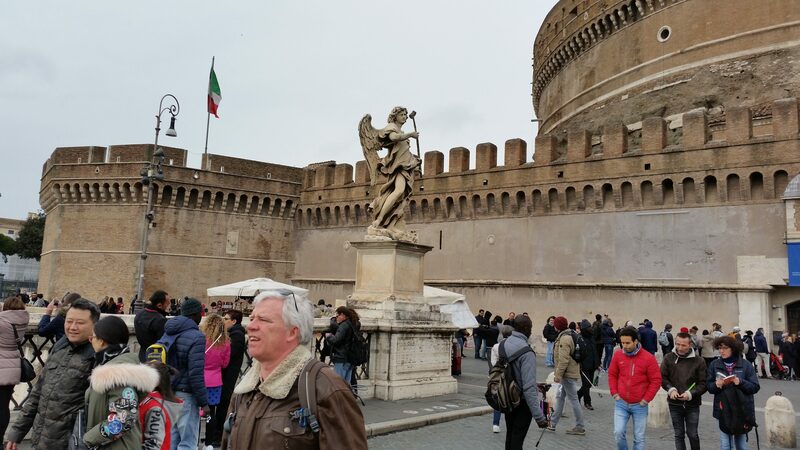 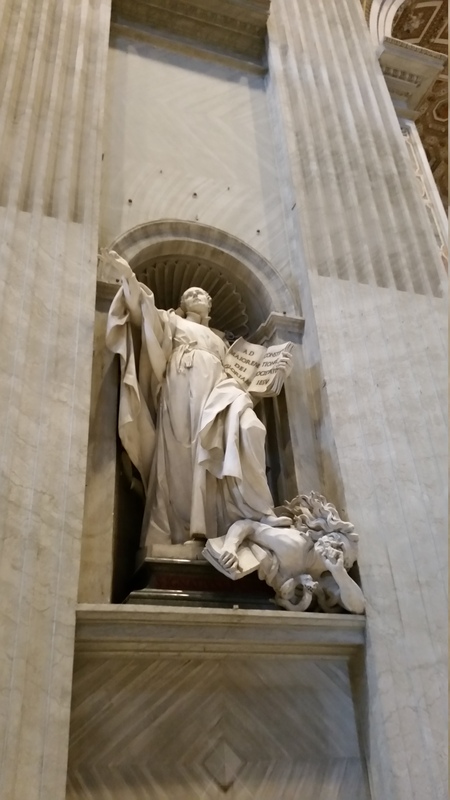 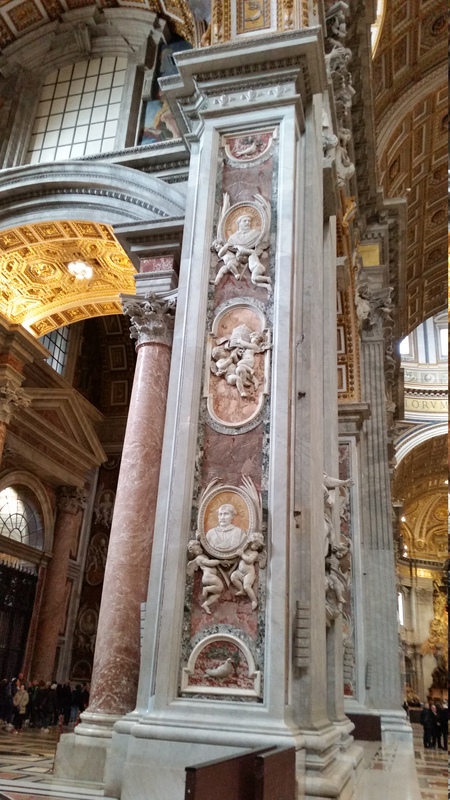 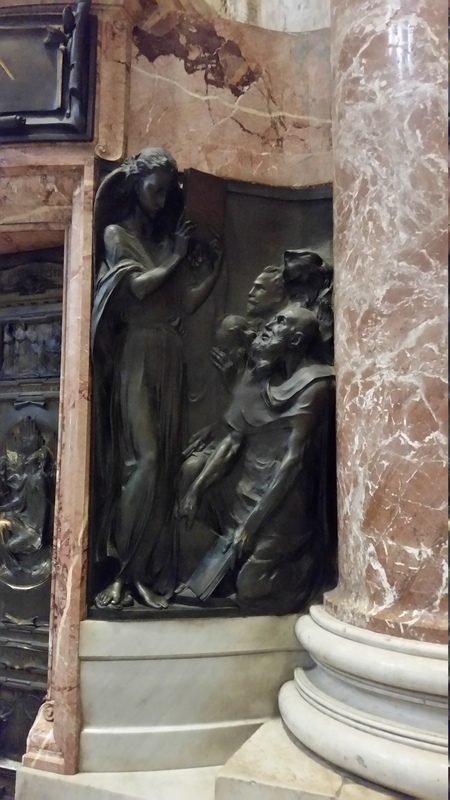 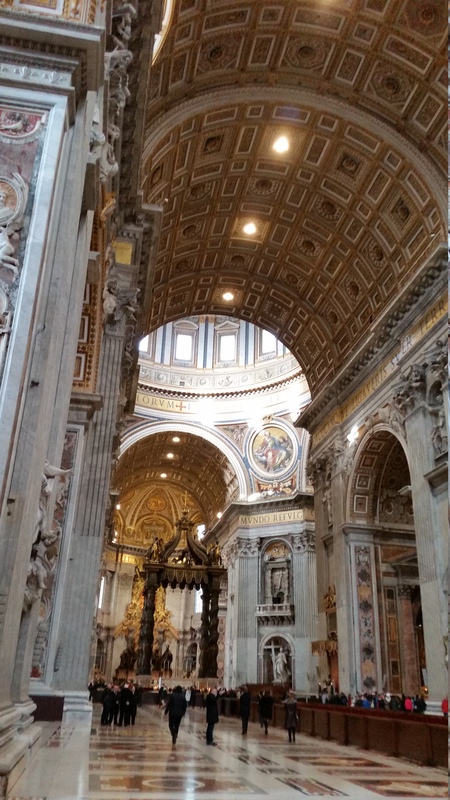 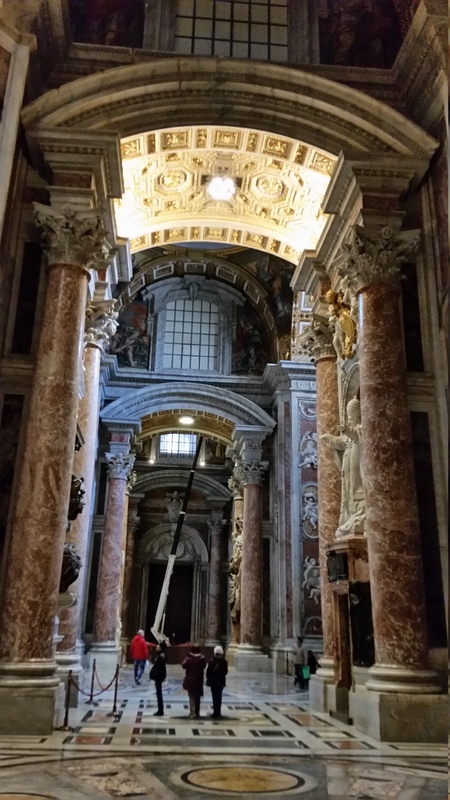 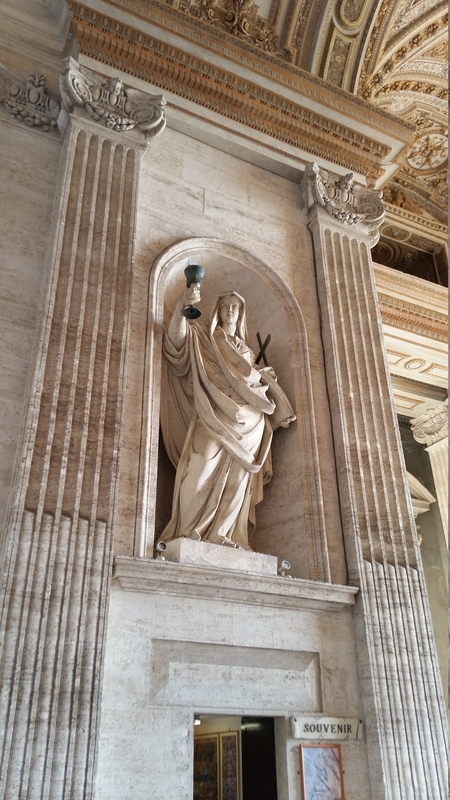 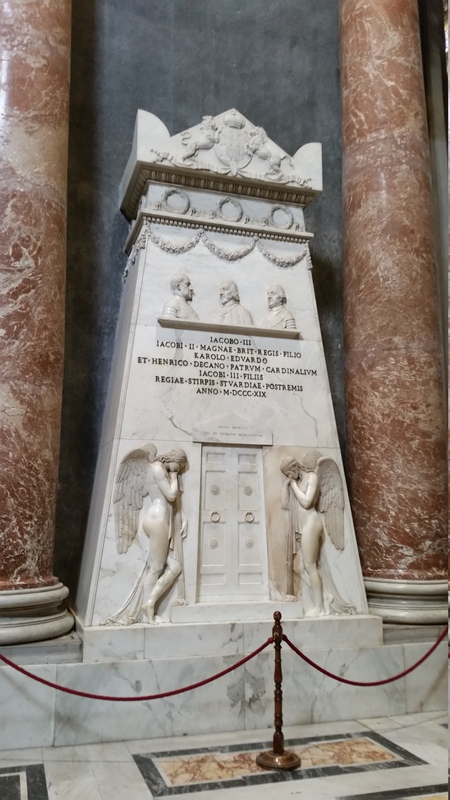 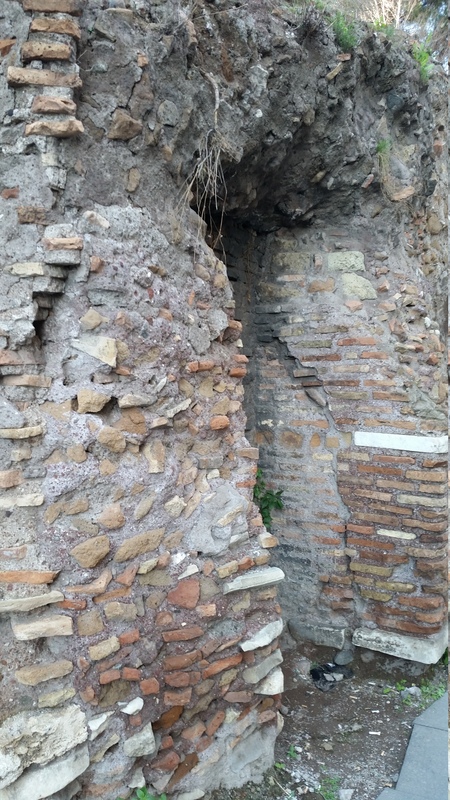 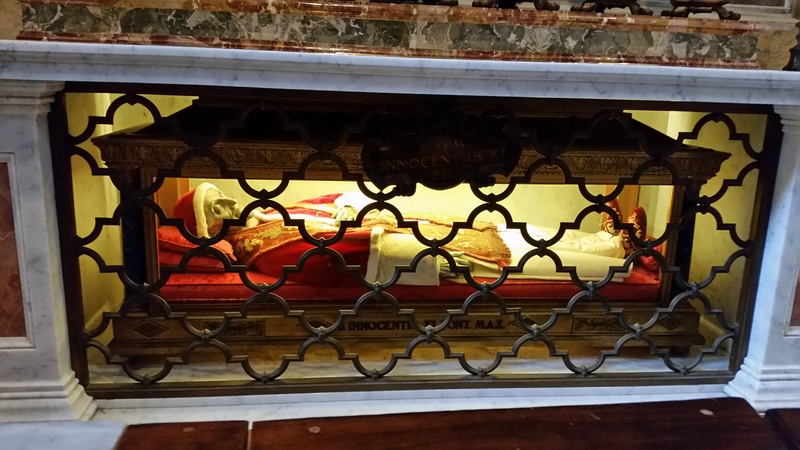 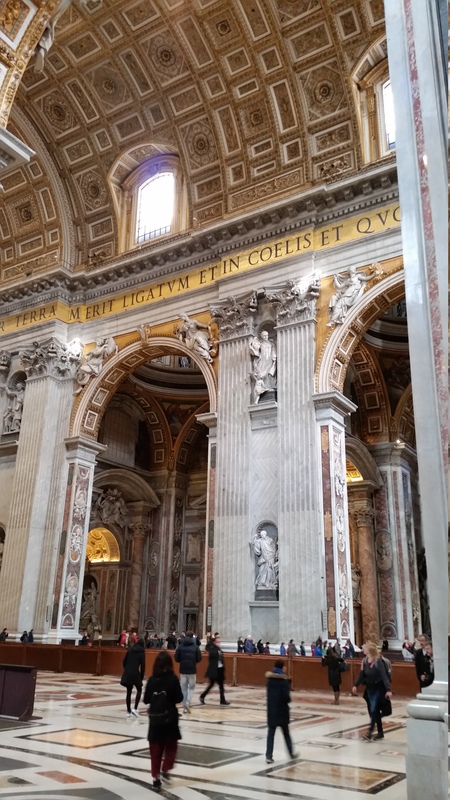 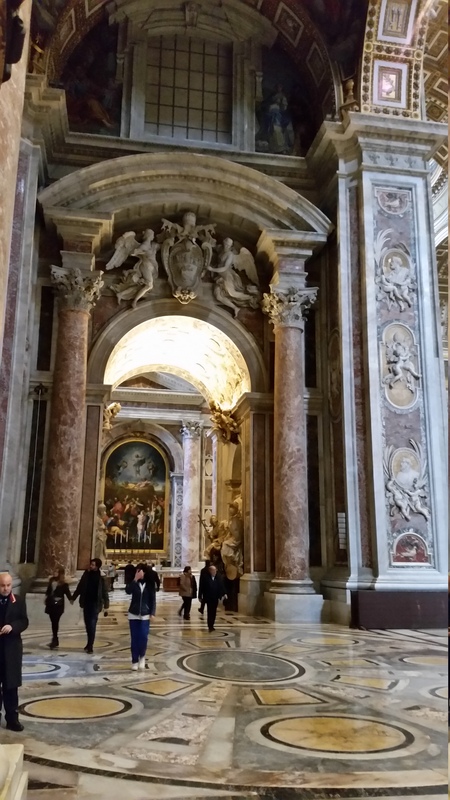 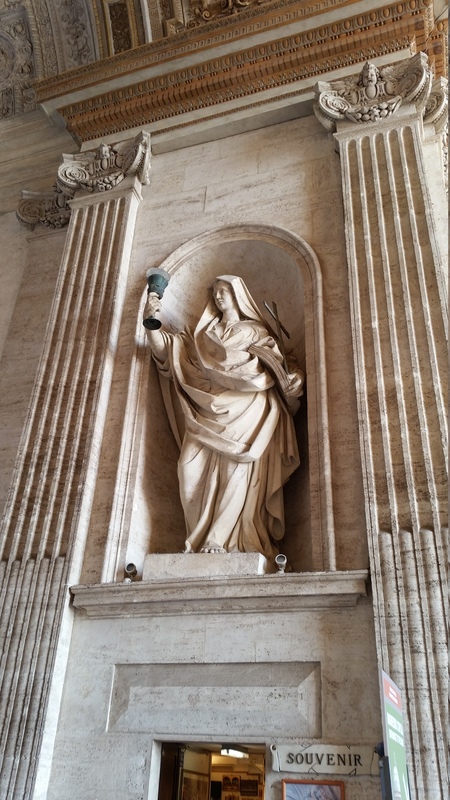 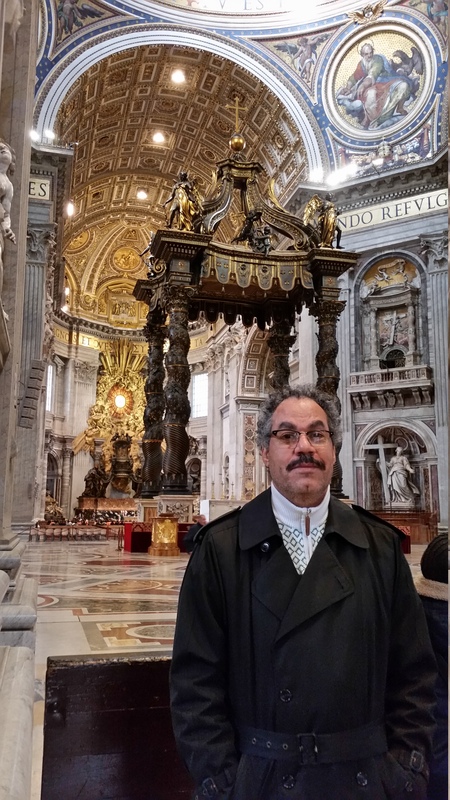 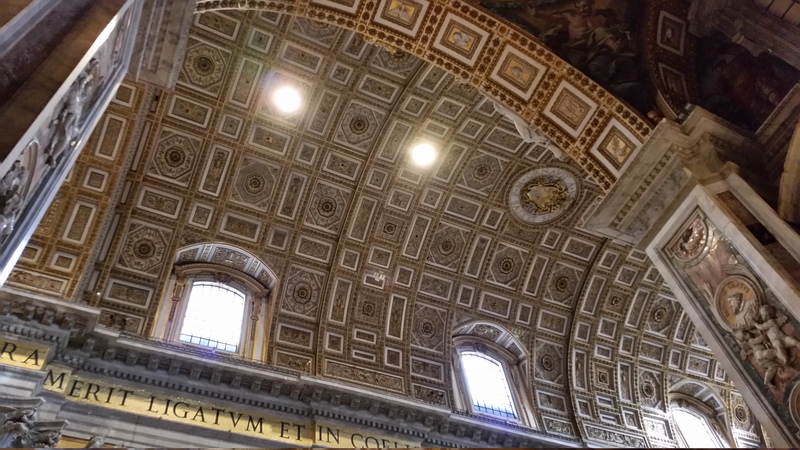 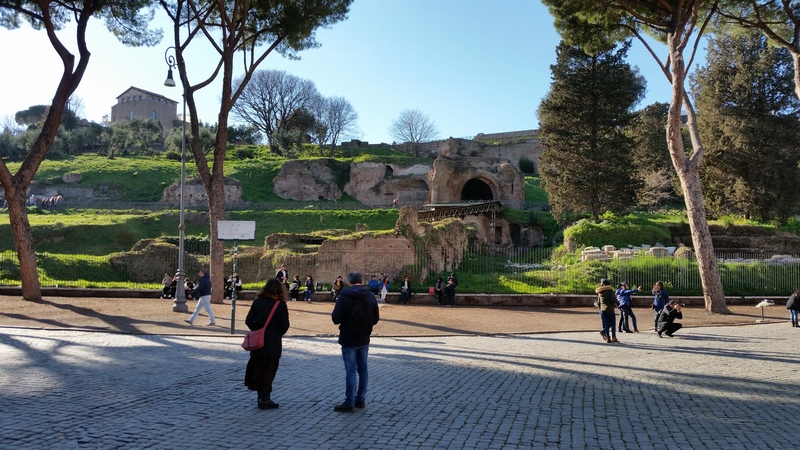 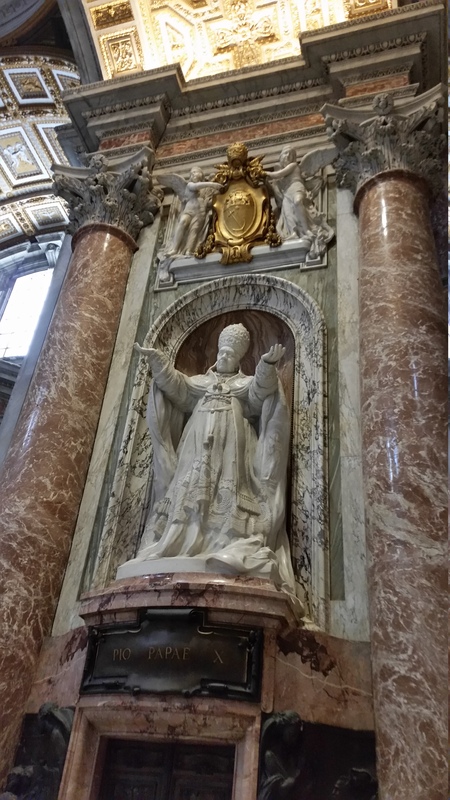 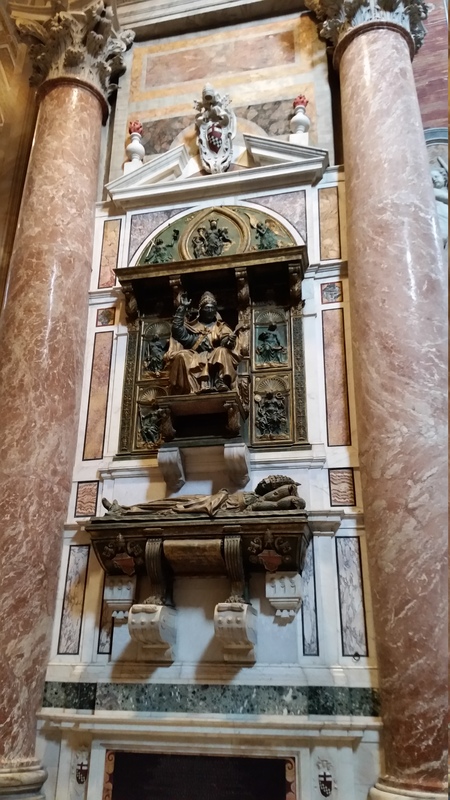 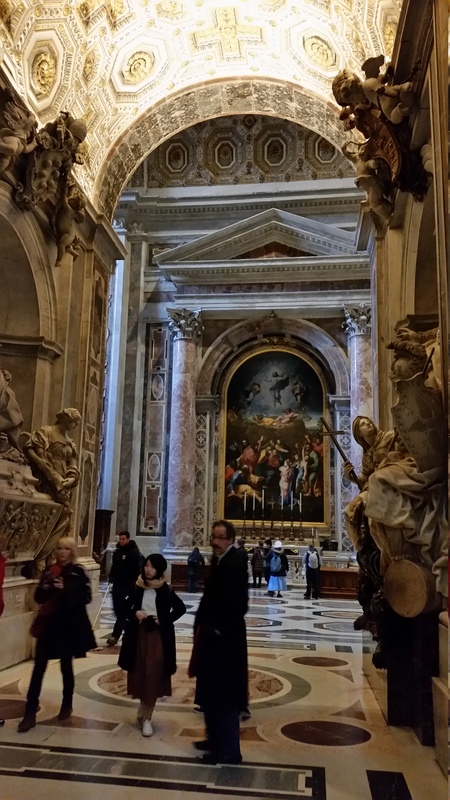 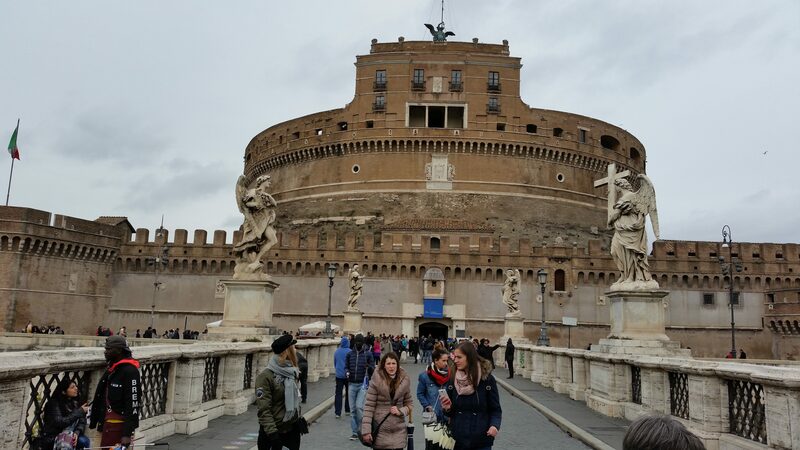 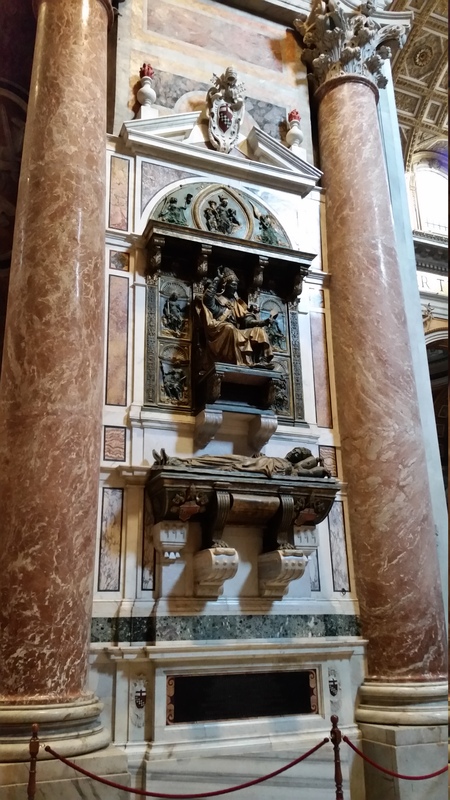 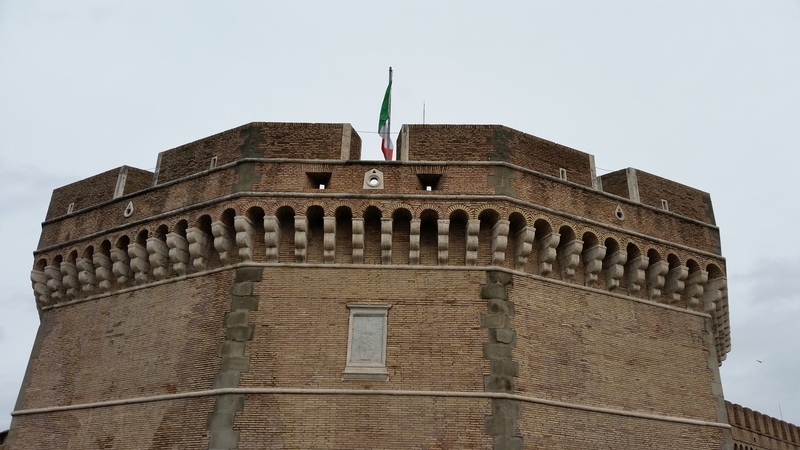 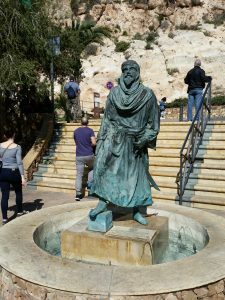 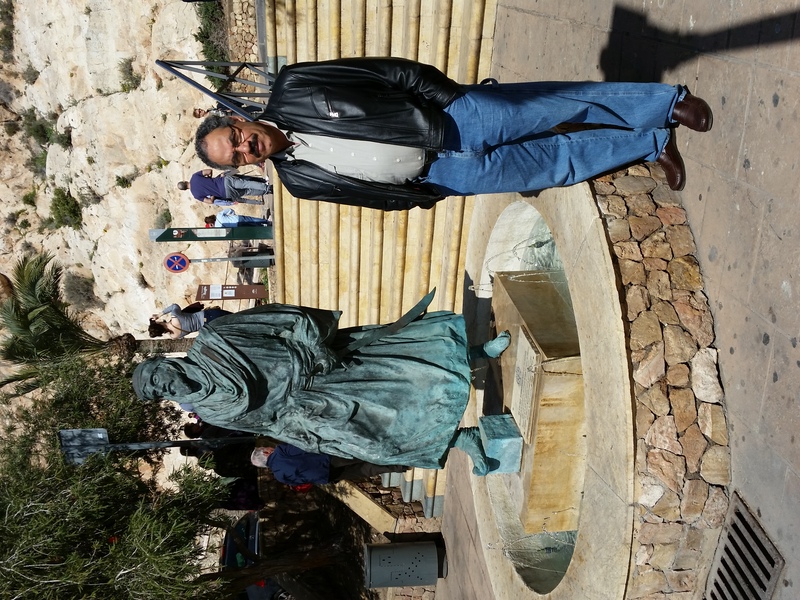 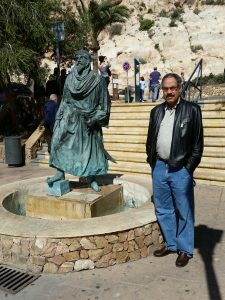 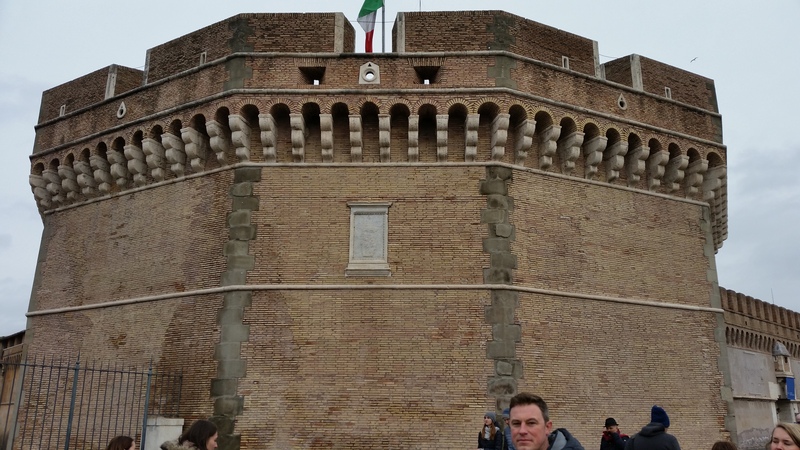 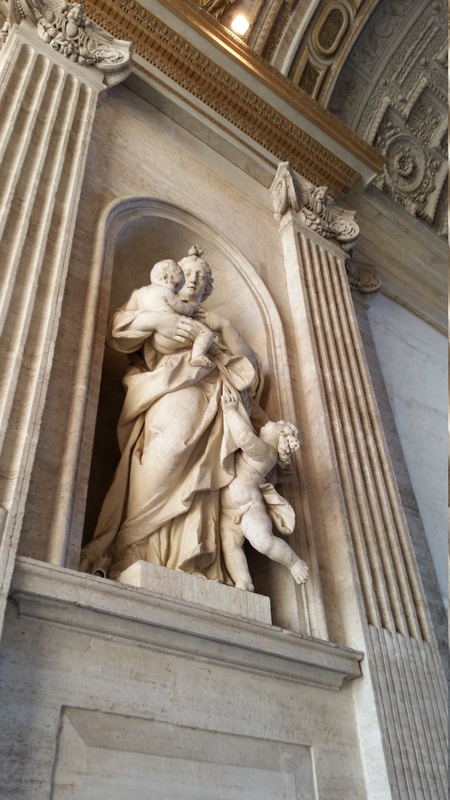 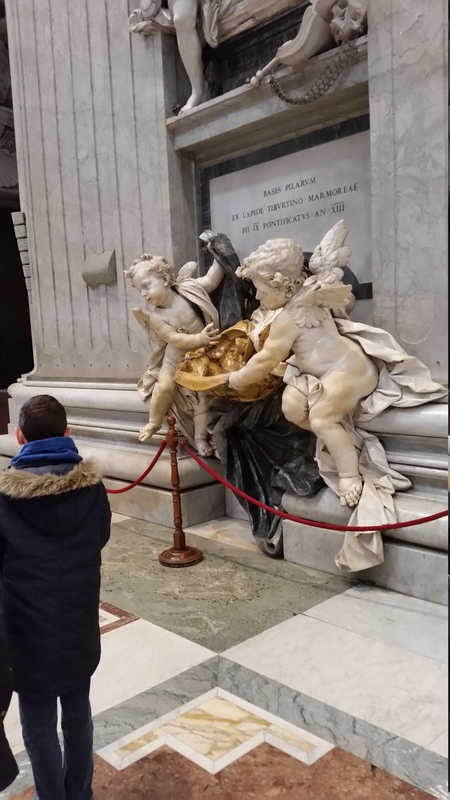 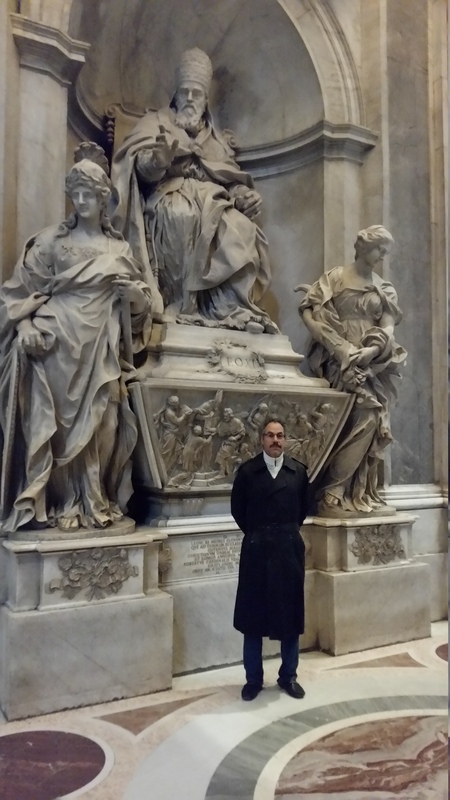 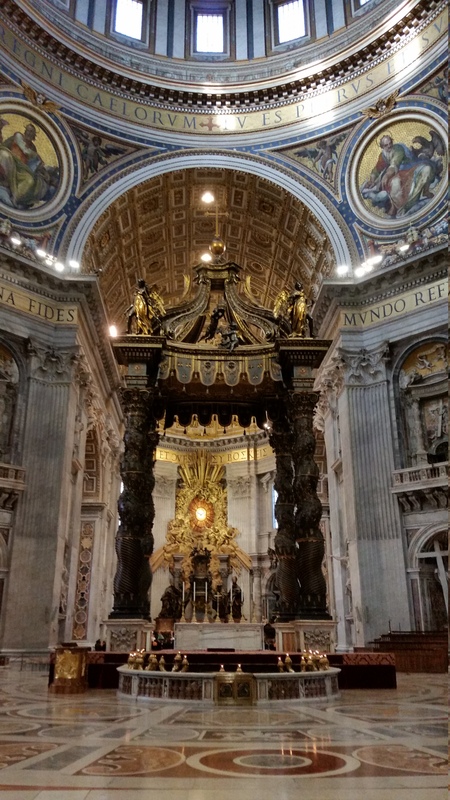 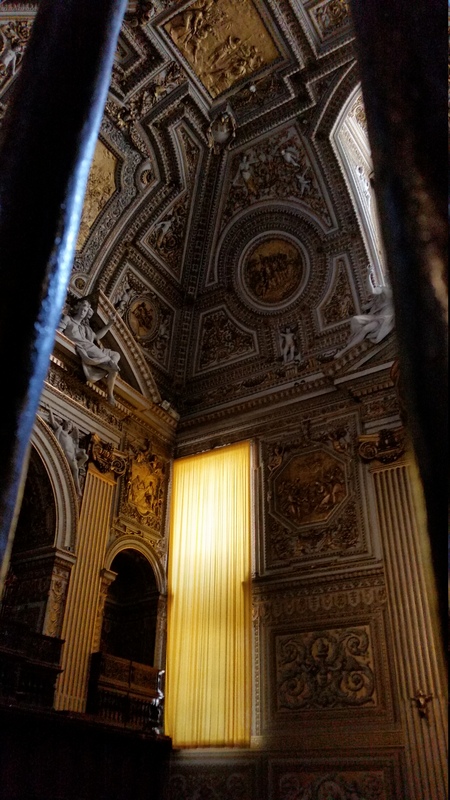 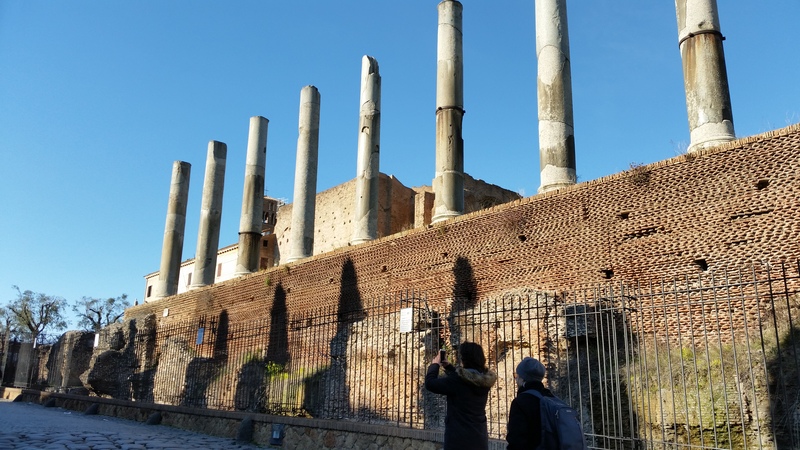 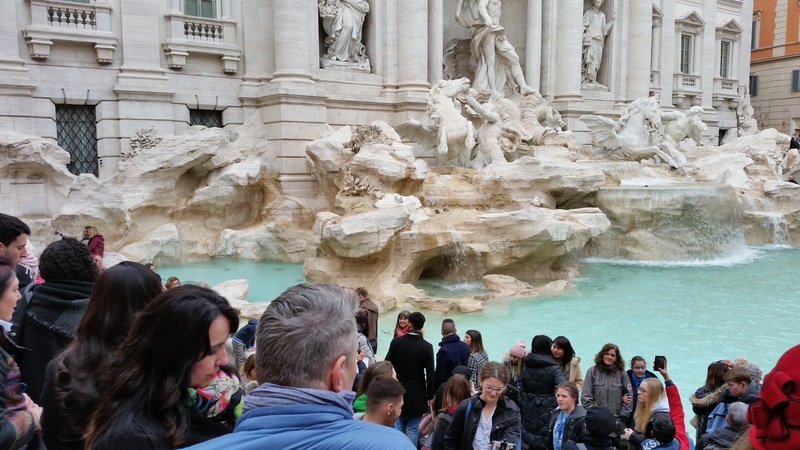 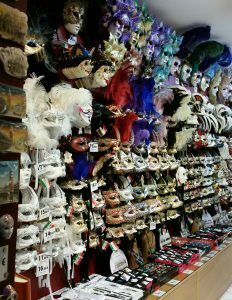 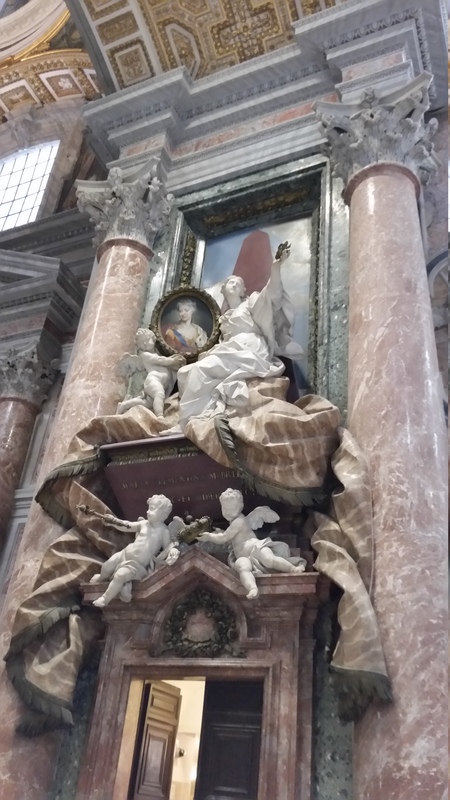 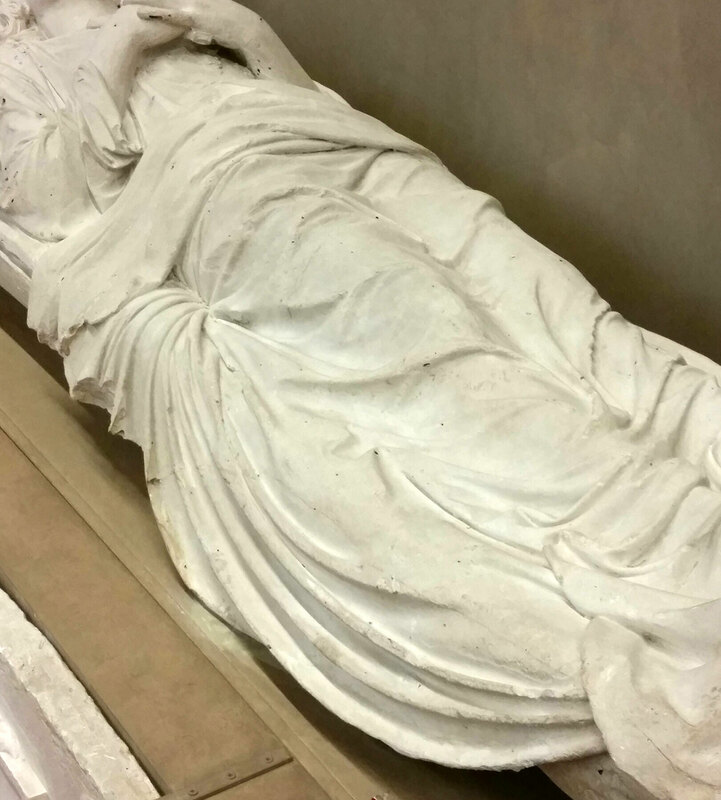 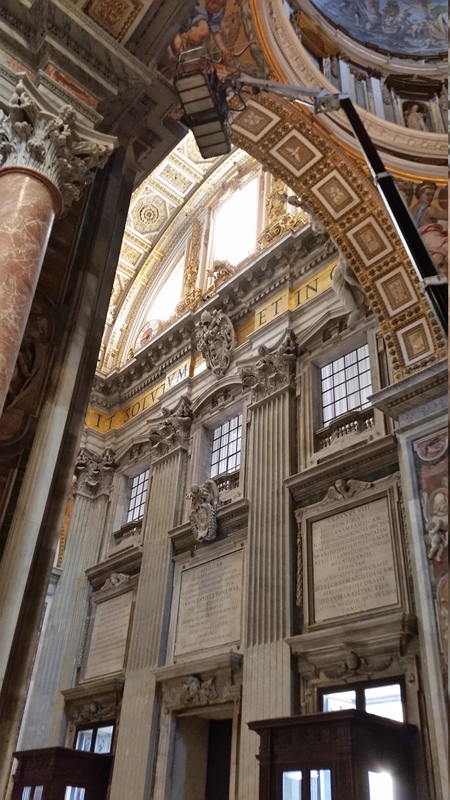 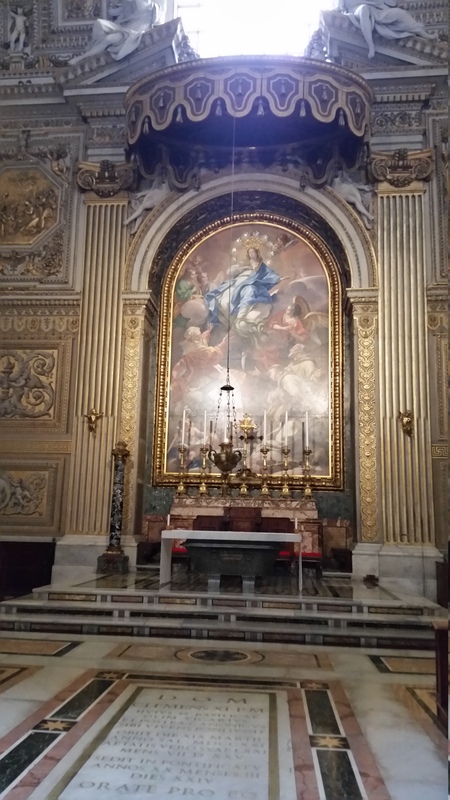 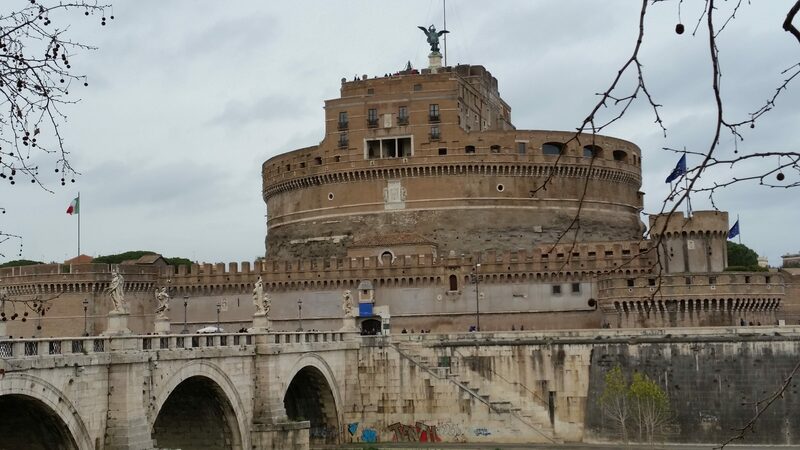 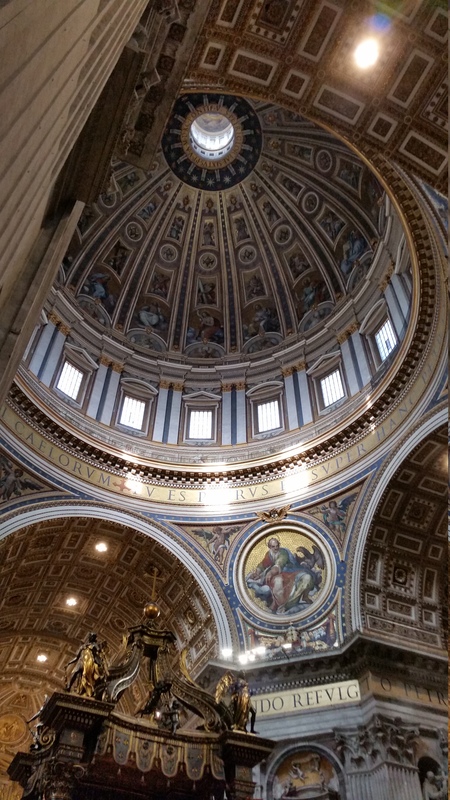 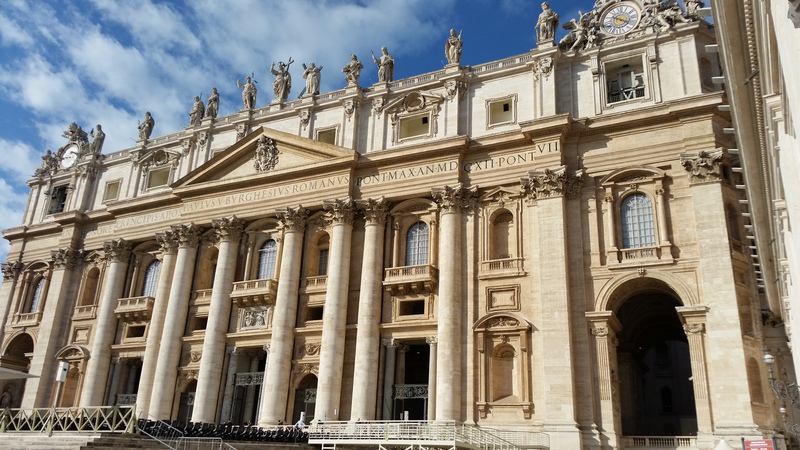 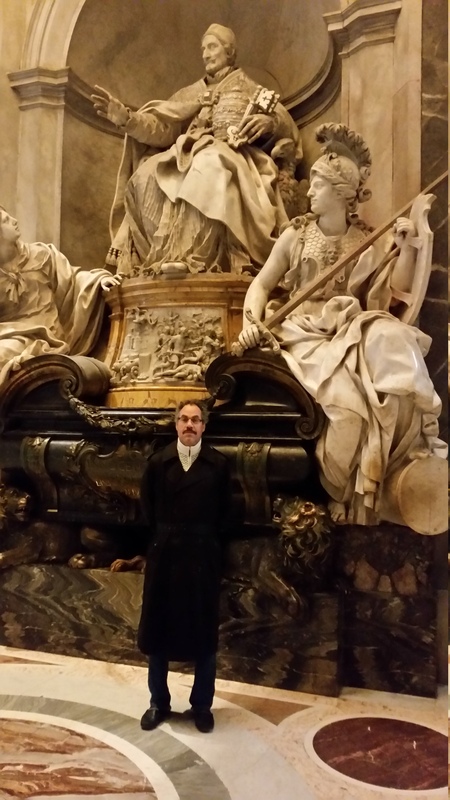 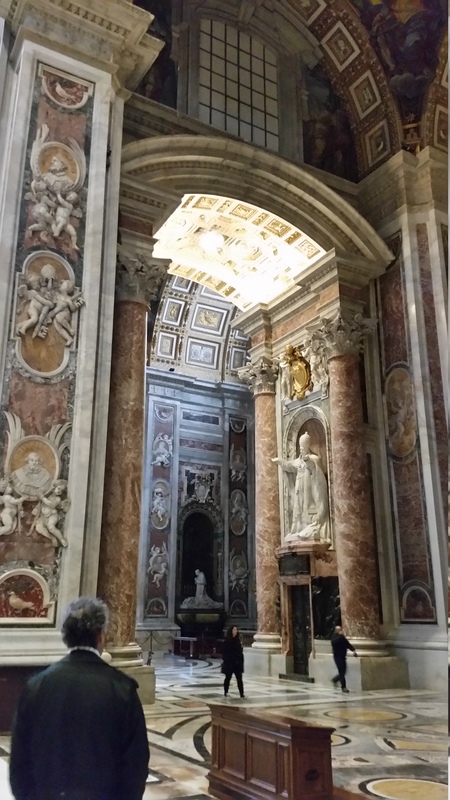 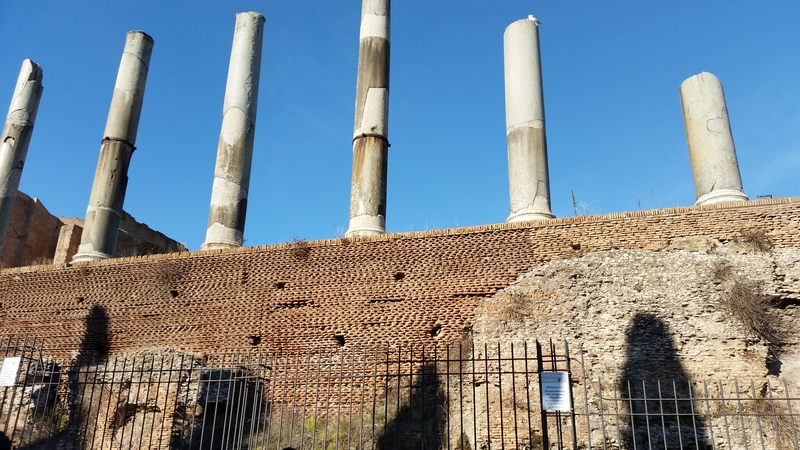 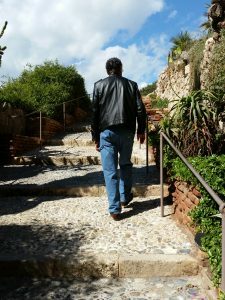 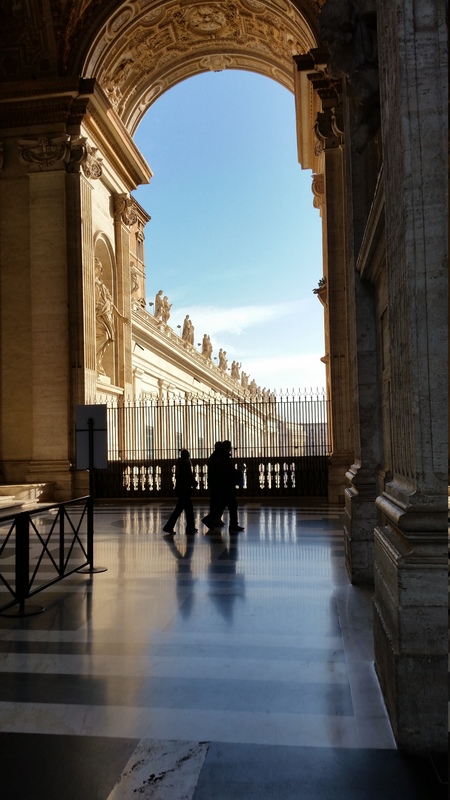 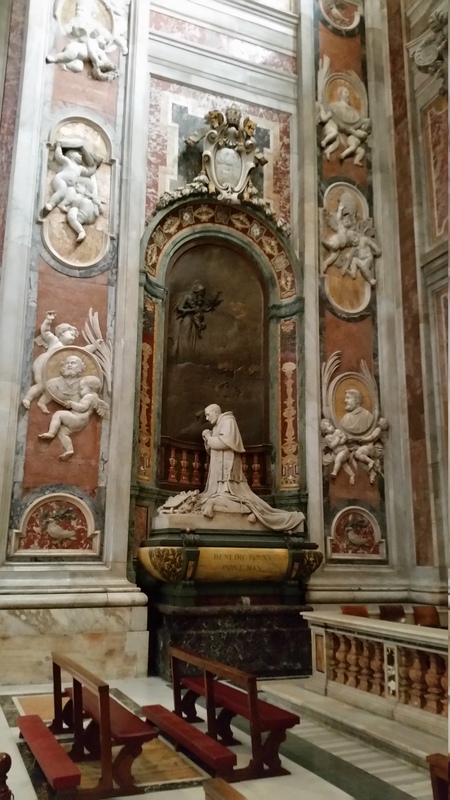 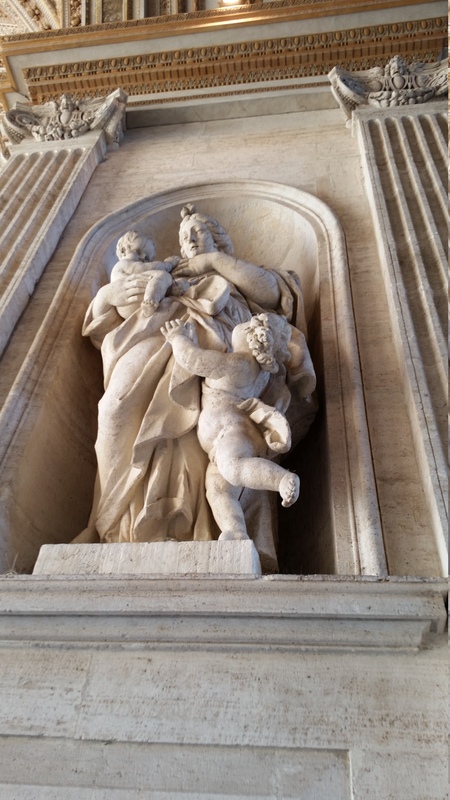 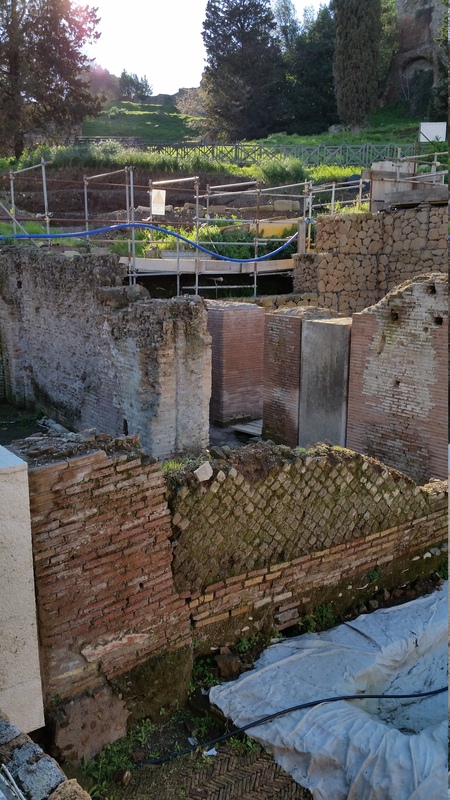 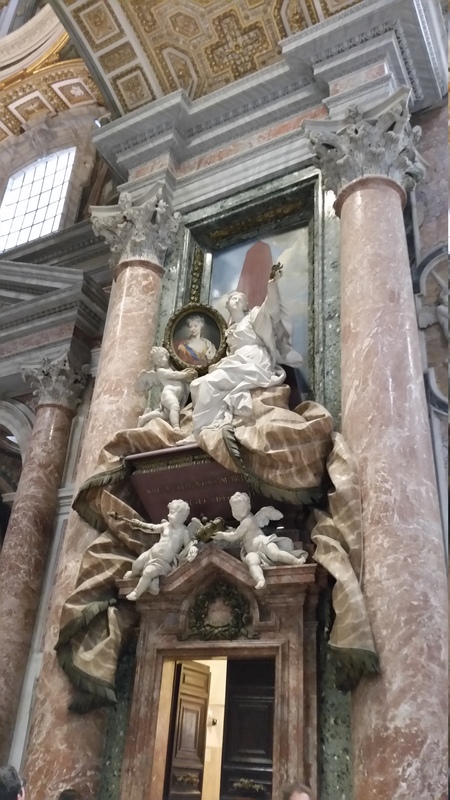 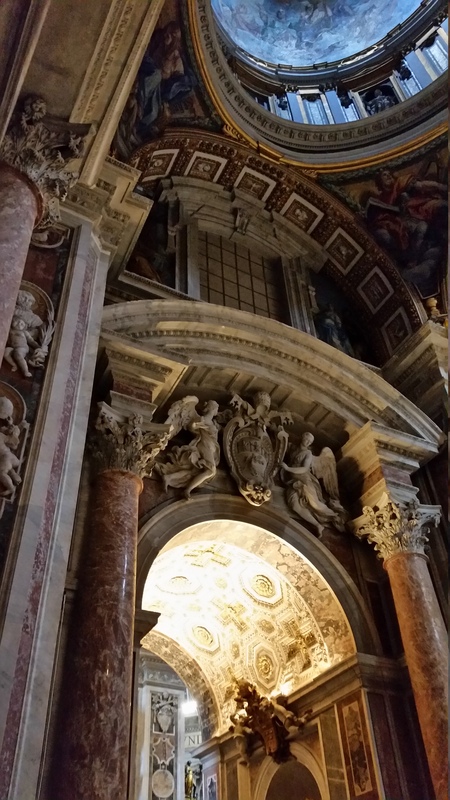 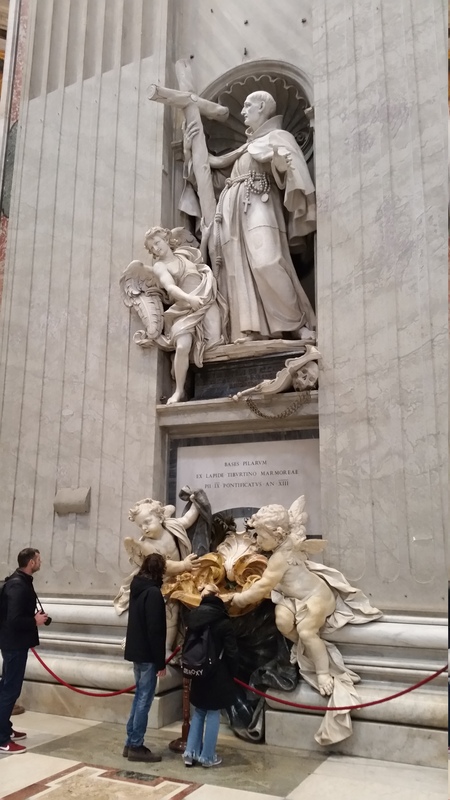 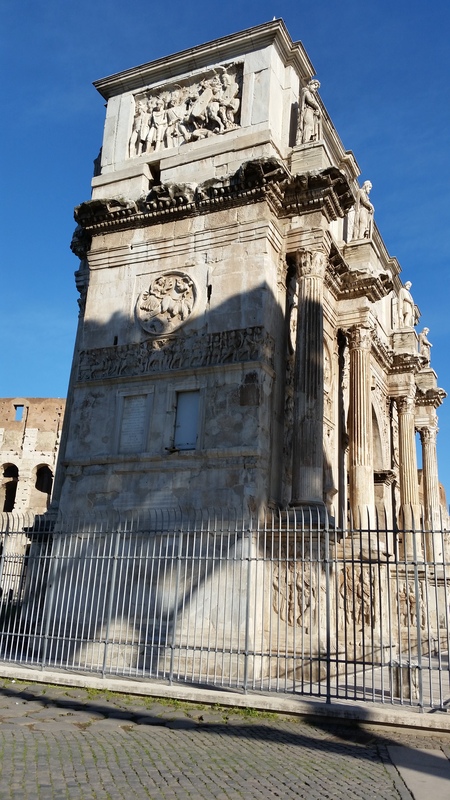 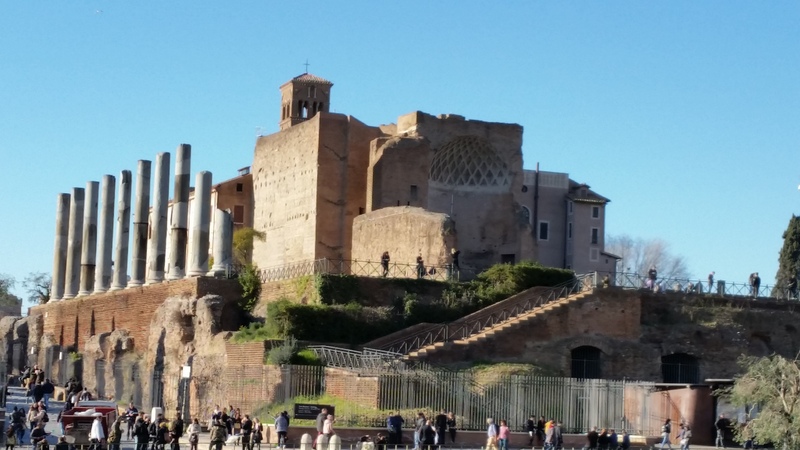 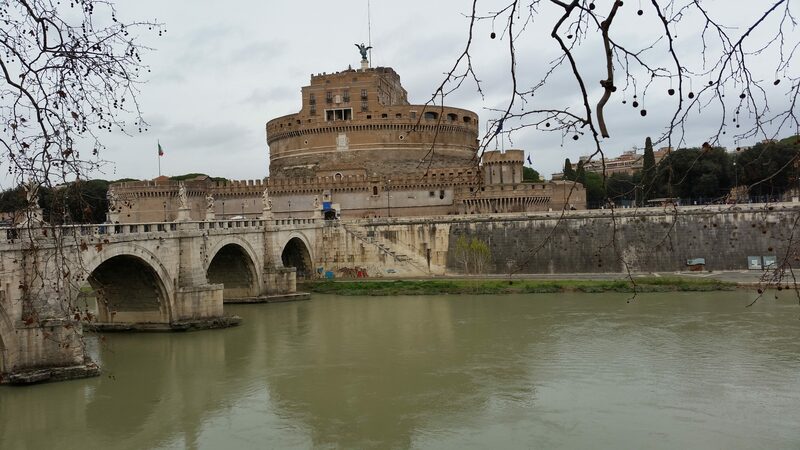 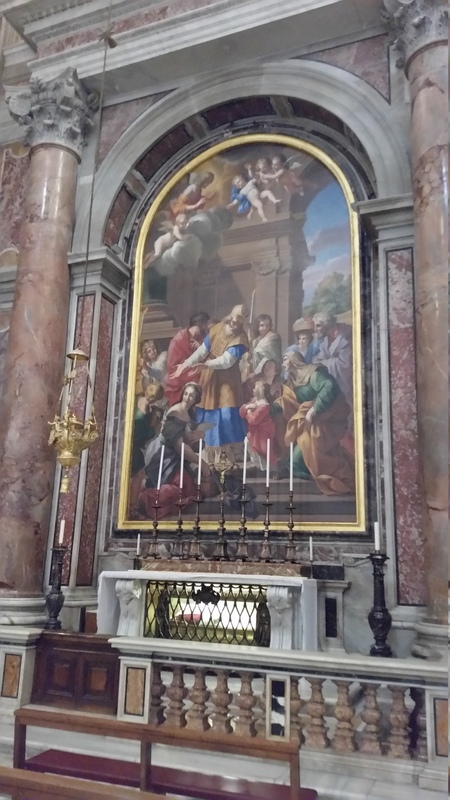 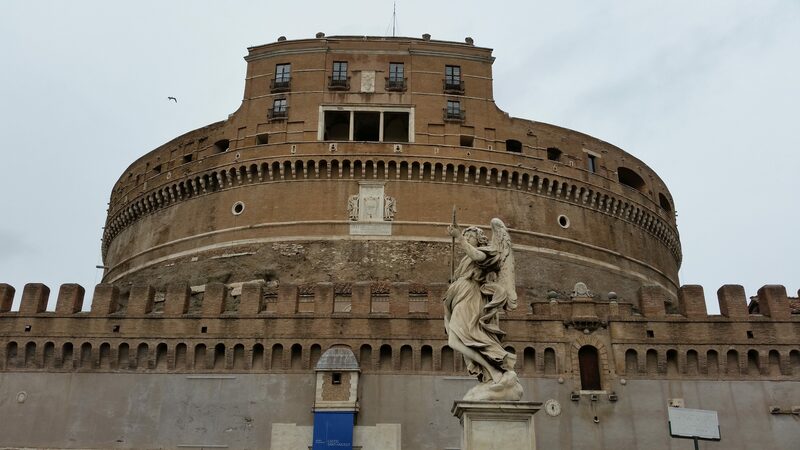 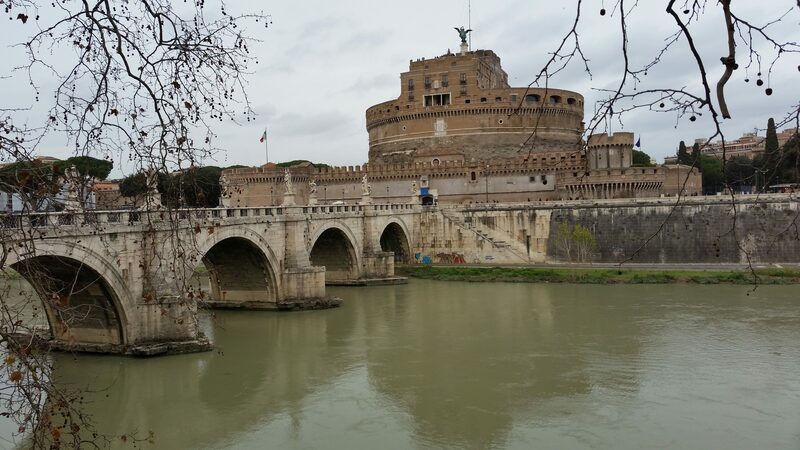 February 13, 2018: Just got back from visiting St. Peter’s tomb – he is in the catacombs under St. Peter’s Basilica. 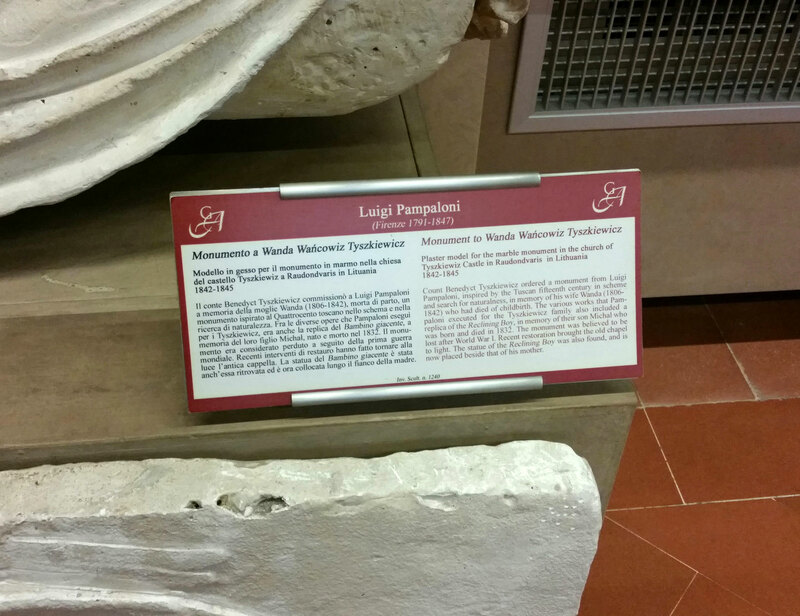 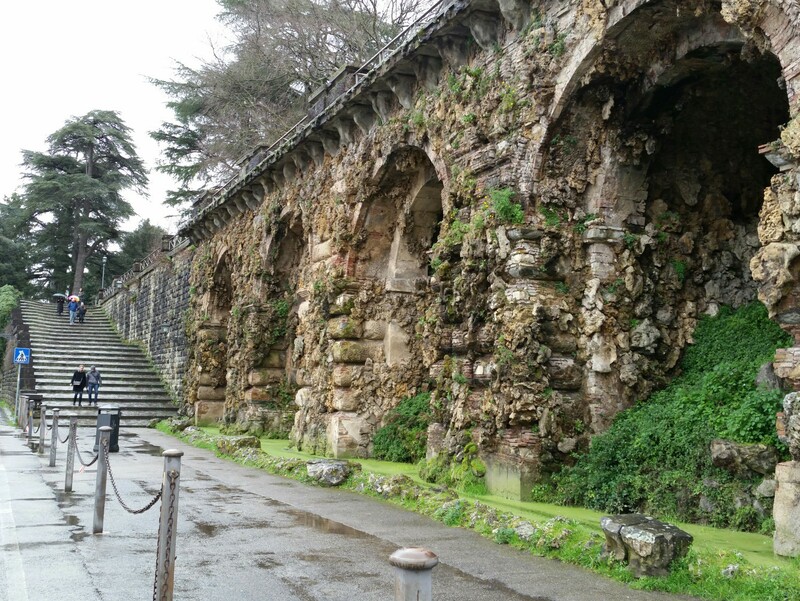 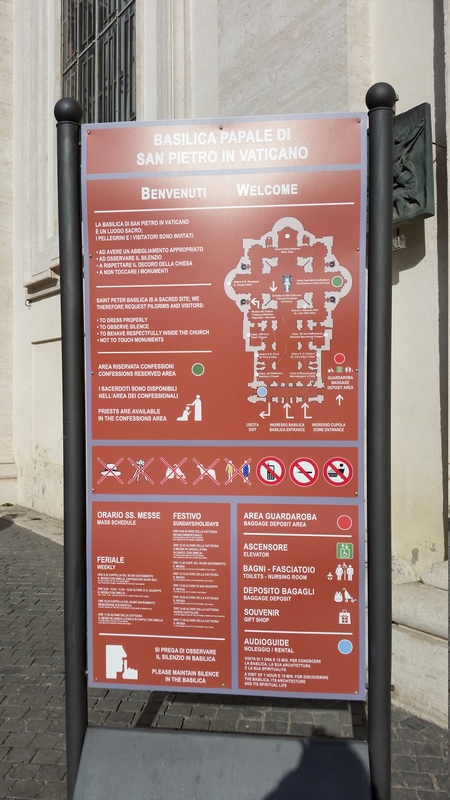 Unfortunately we were not allowed to take photos in the catacombs where the Popes and Saint Peter are intomed. 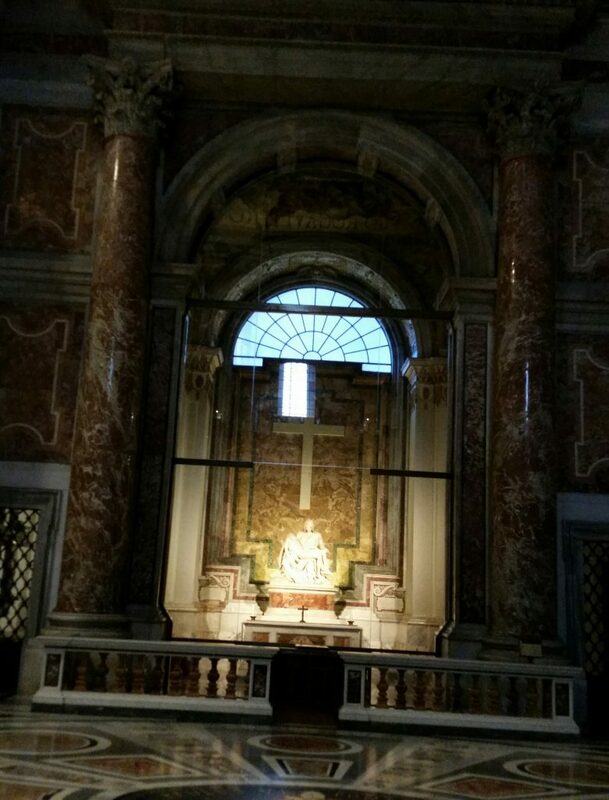 But taking photos in the basilica is allowed (without flash) and I’m very happy about that! 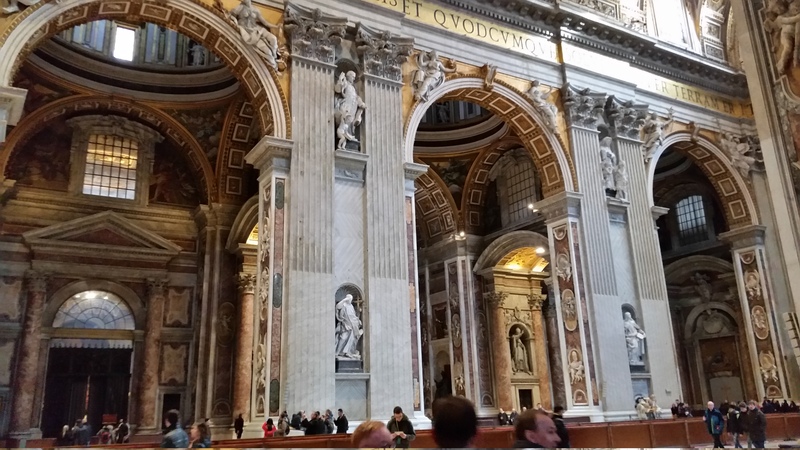 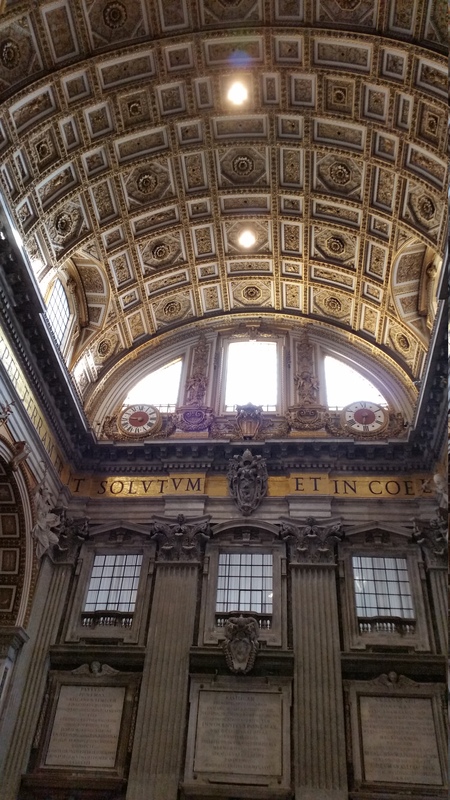 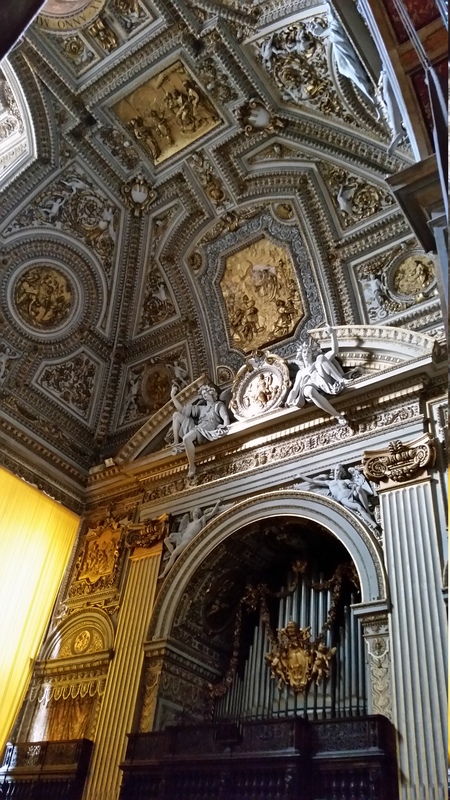 Getting into Saint Peter’s Basilica (which is free) was quite an amazing experience. 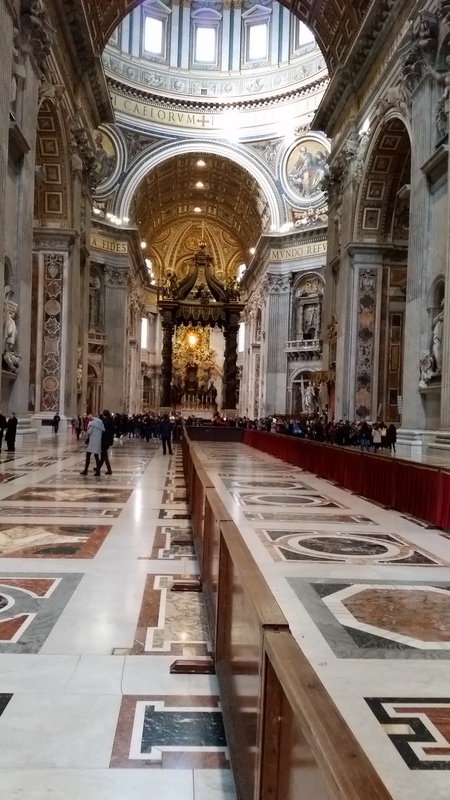 We had gone there yesterday around noon and the line, literally, went all around the the very large circle in the front of the basilica. 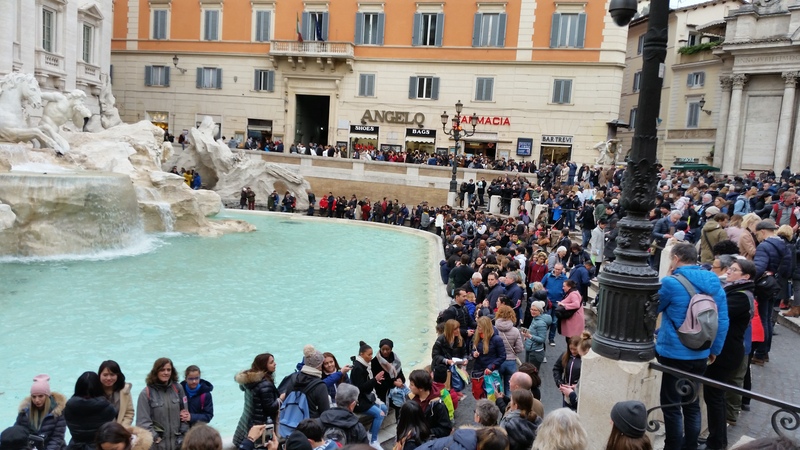 It was at least a 2 hour wait, but from the looks of the line the place would close before we got inside! 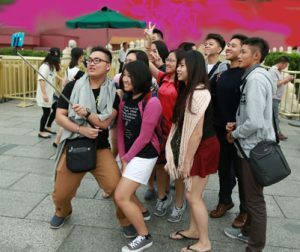 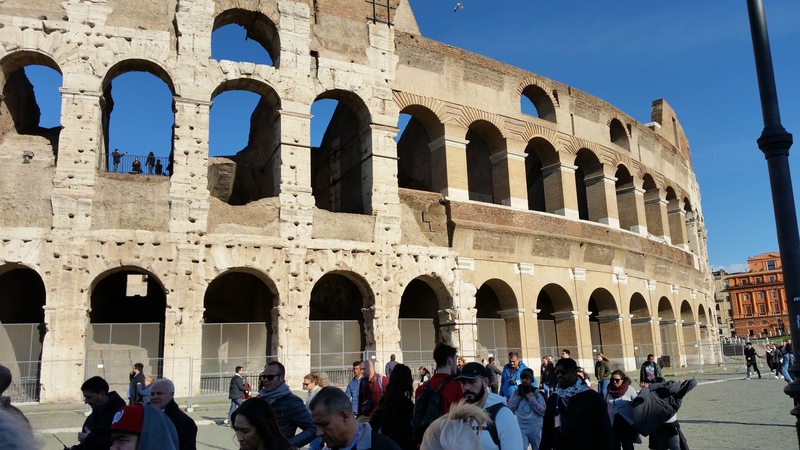 So we decided that we would go early today.​ We left before 7am and we waited in a very short line to get through airport like security. 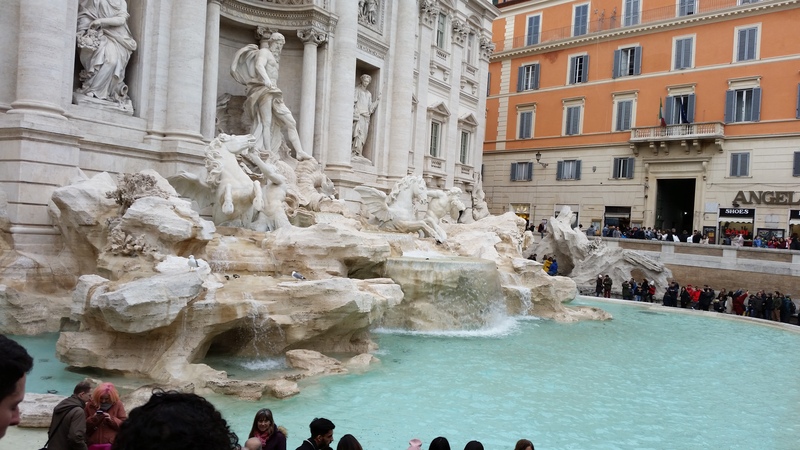 It only took around 20 minutes to get in… great! 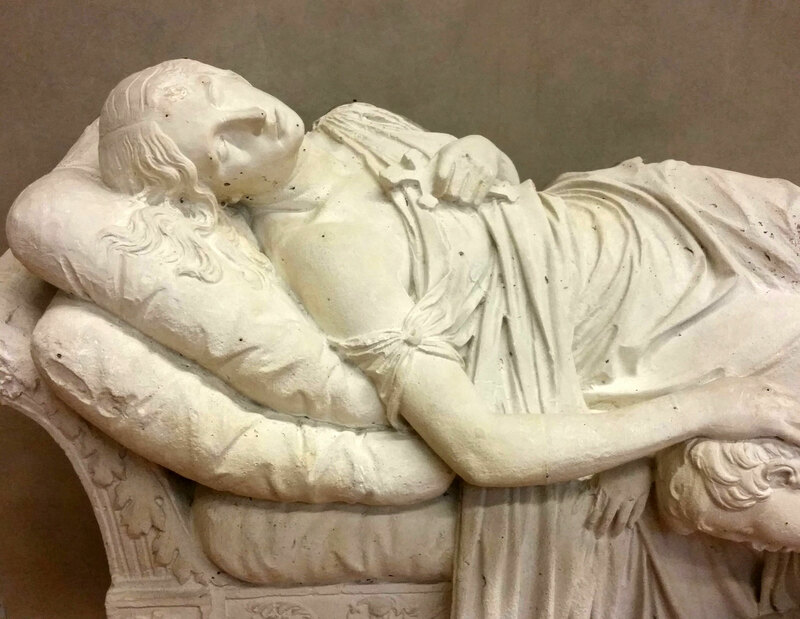 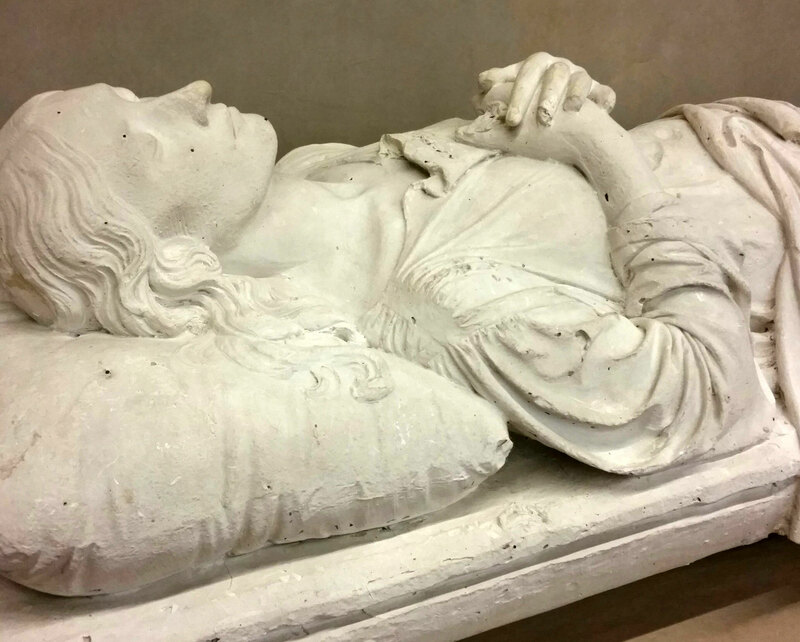 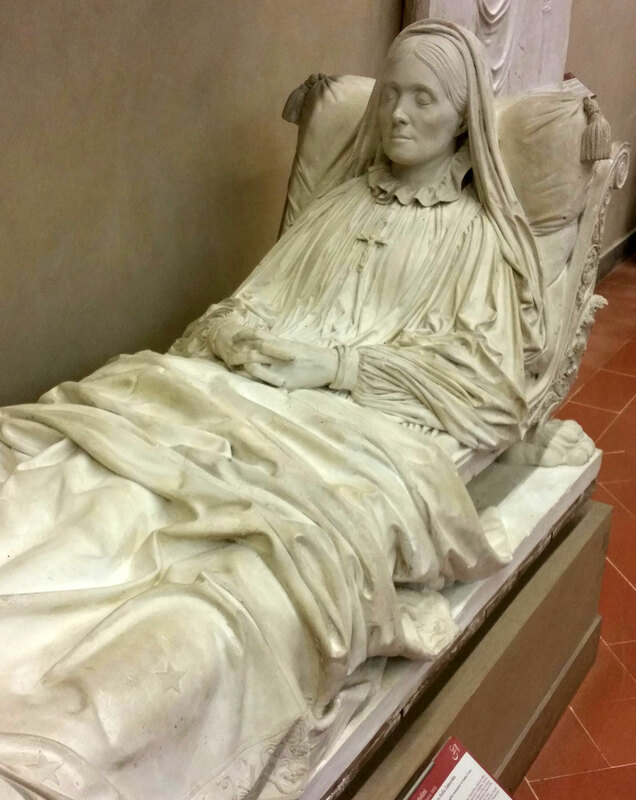 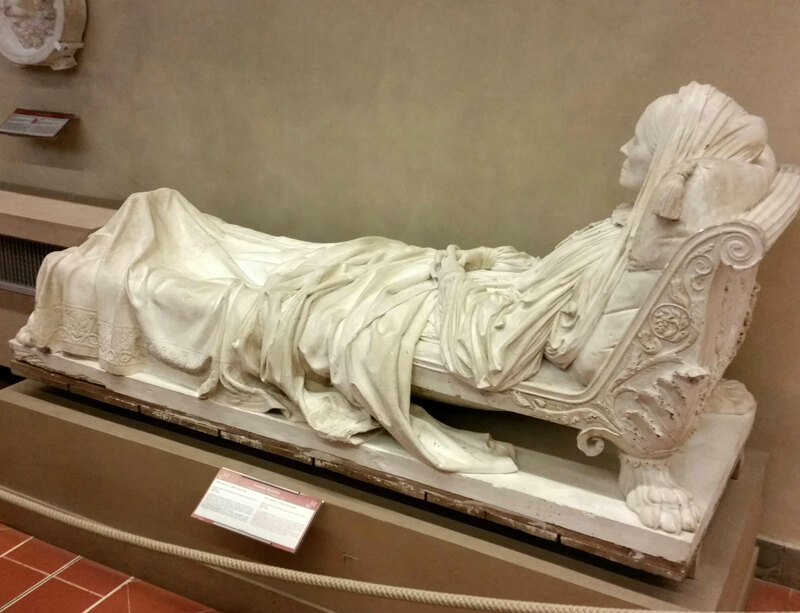 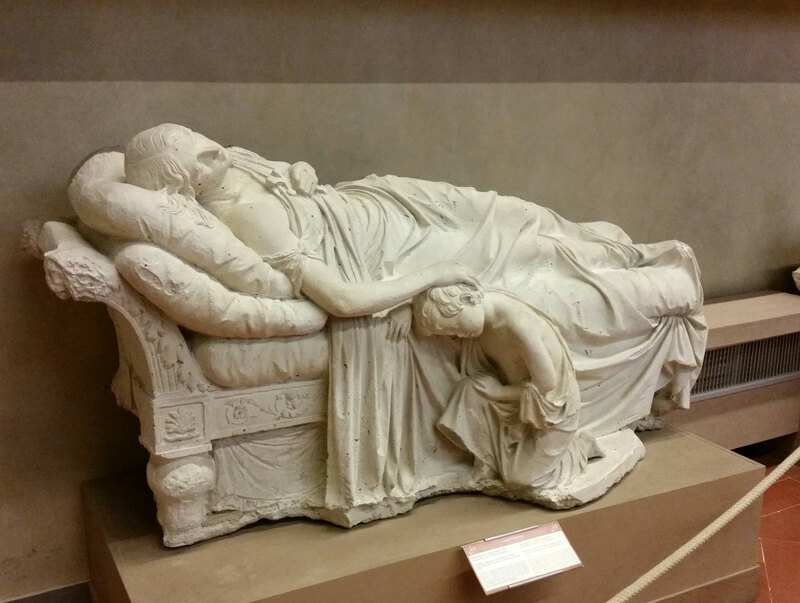 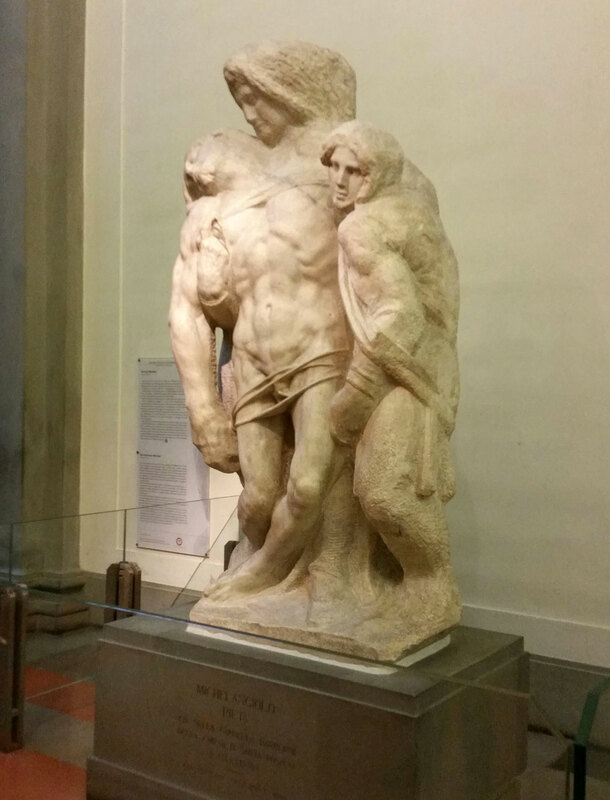 I was most looking forward to seeing Michelangelo’s Pieta, my favorite of his works. 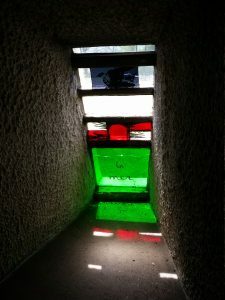 Unfortunately, the Piata is not only behind thick glass it is also in a roped off section, so It was about the size of an ant (it was so far away). 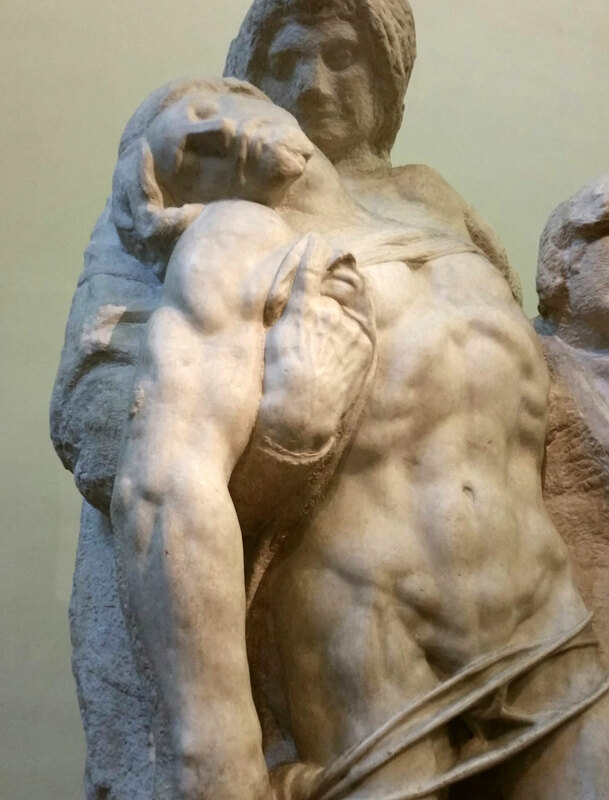 The lighting on the sculpture was very harsh as well so it was washed out. 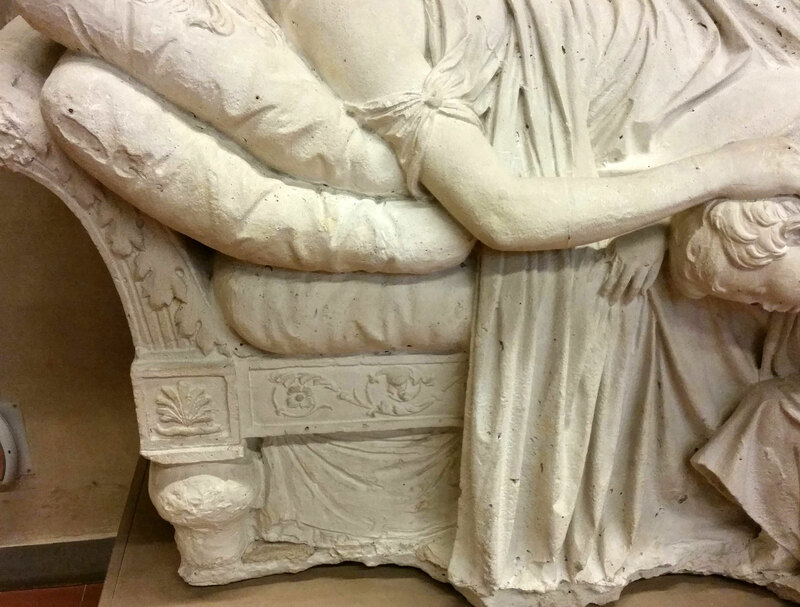 No way to see any details. 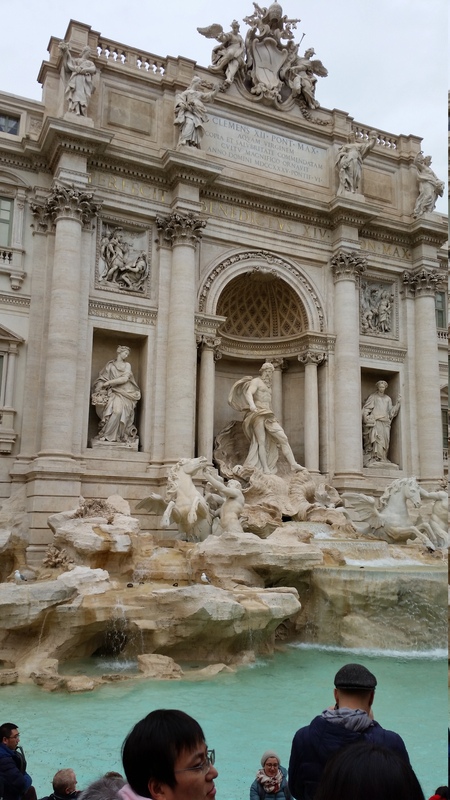 I am just trusting that we saw the real thing. 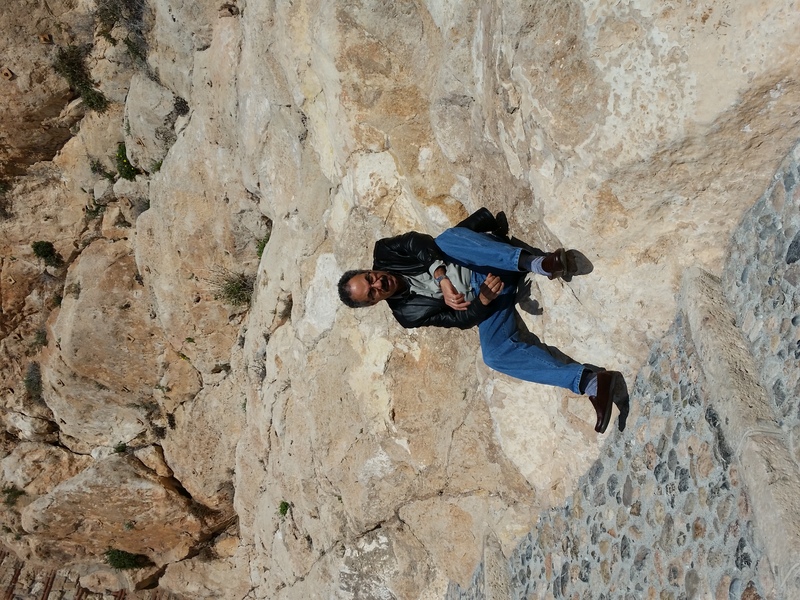 Very very disappointing. 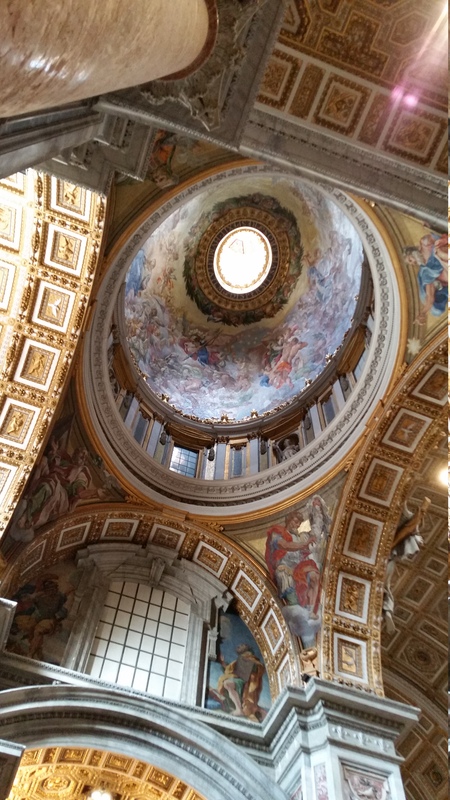 Besides the disappointment of the Pieta, the Basilica is quite amazing. 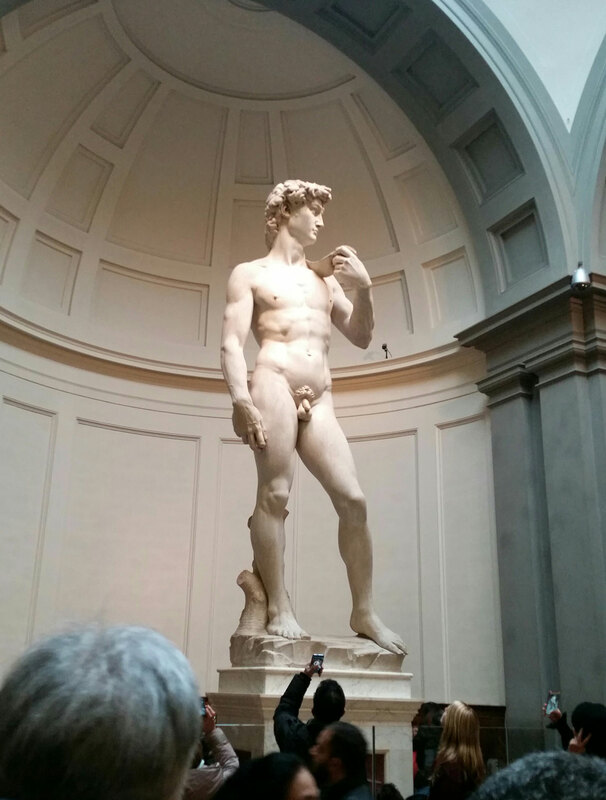 It’s 10 times larger than life and quite an awesome statement of architecture and art! 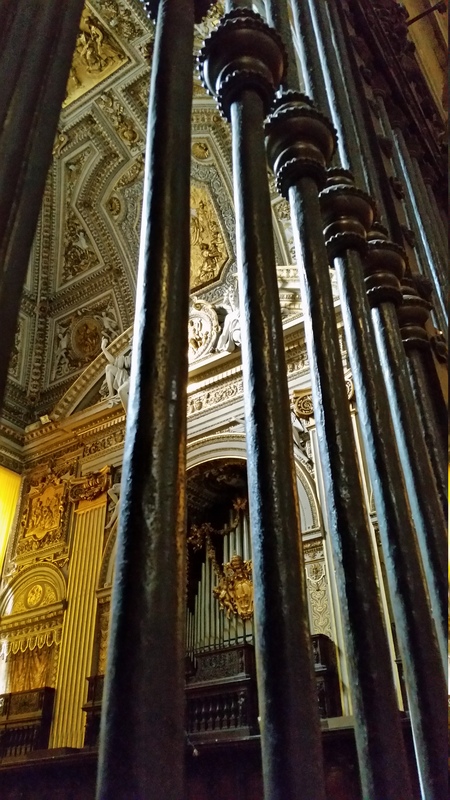 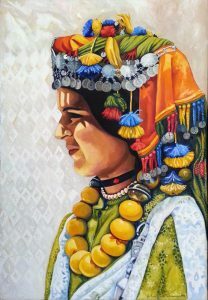 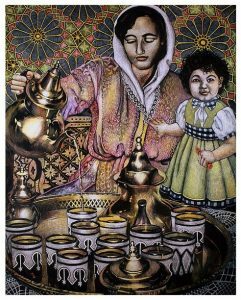 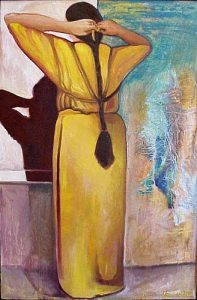 It’s supposed to glorify god – but to me, it glorifies the arts, period. 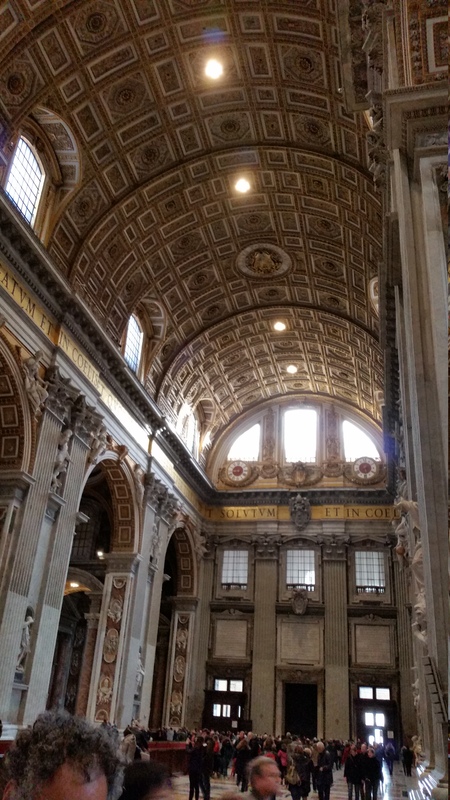 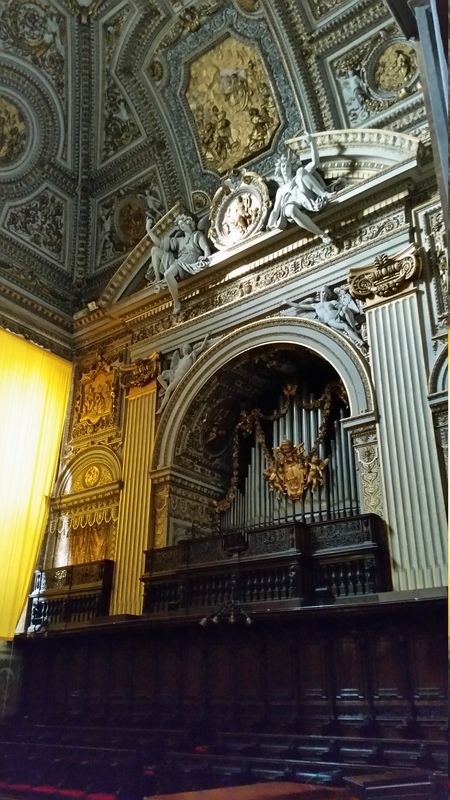 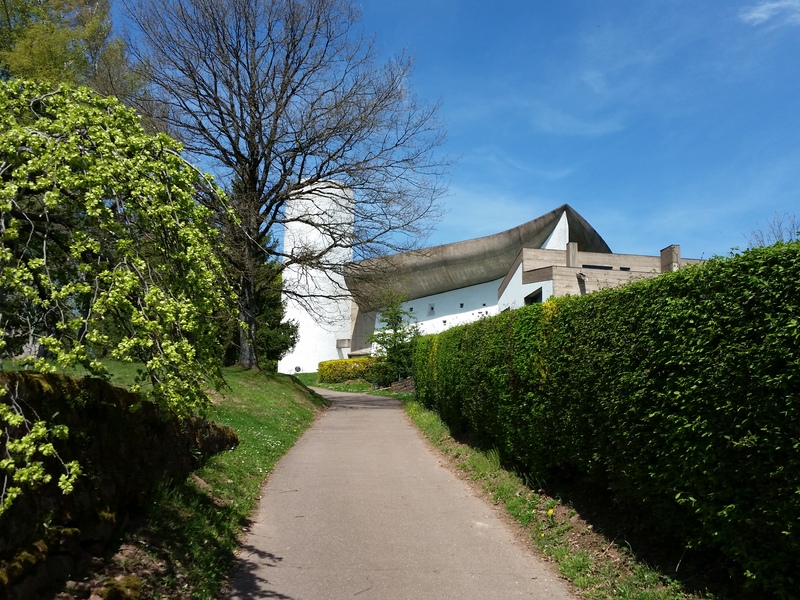 More information: The basilica was built in the Renaissance style. 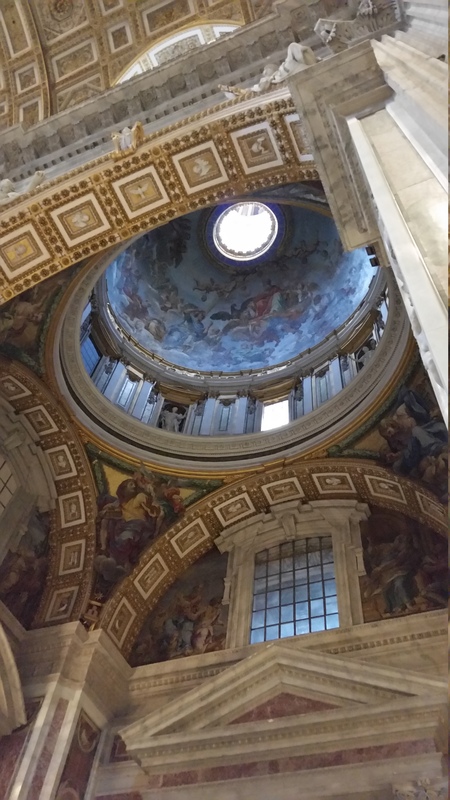 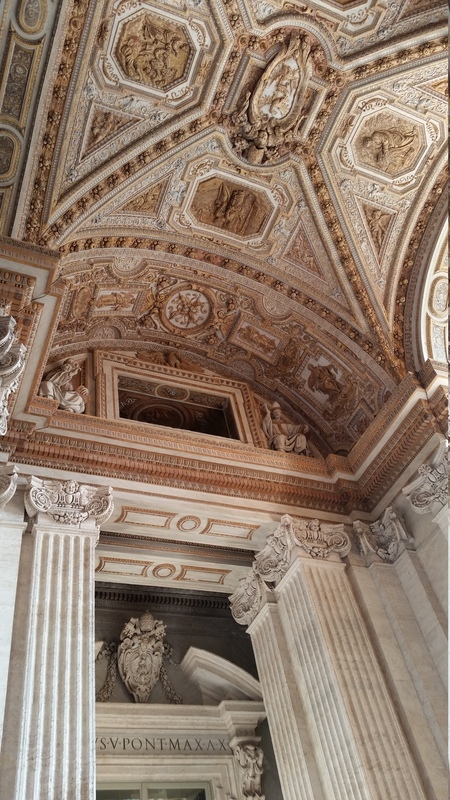 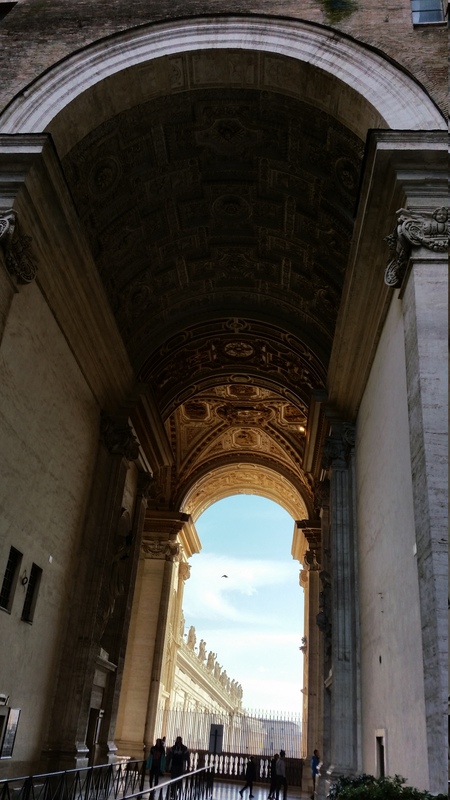 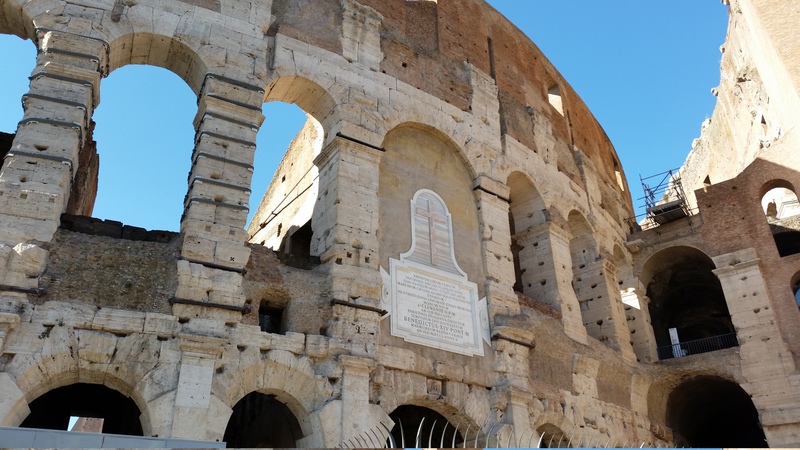 Its central dome, designed by Michelangelo,and dominates the skyline of Rome. 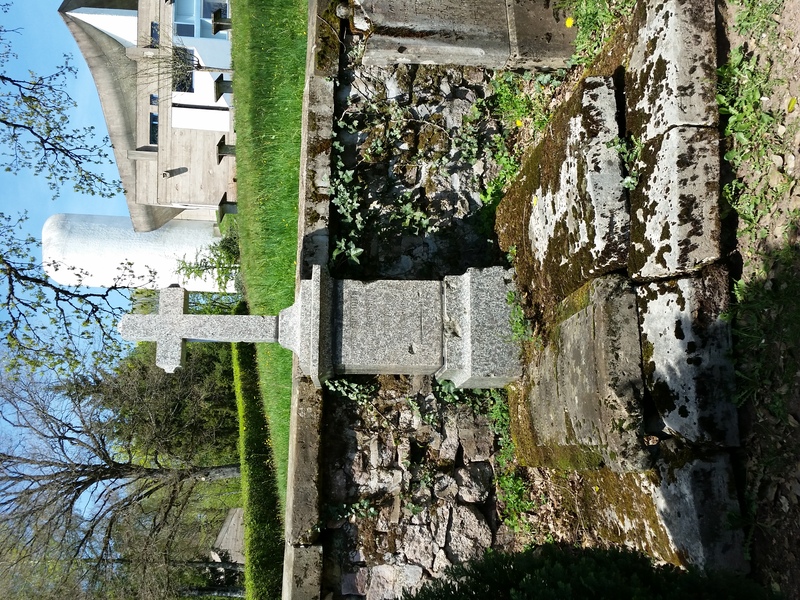 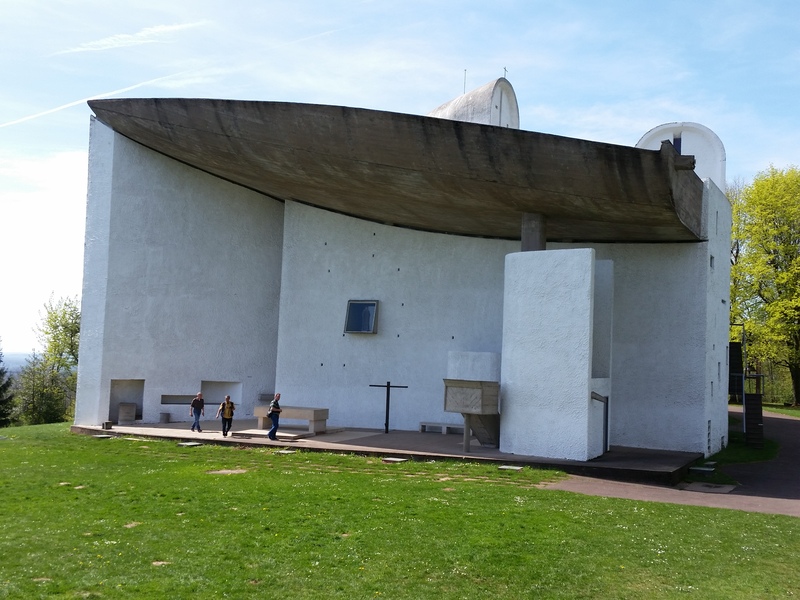 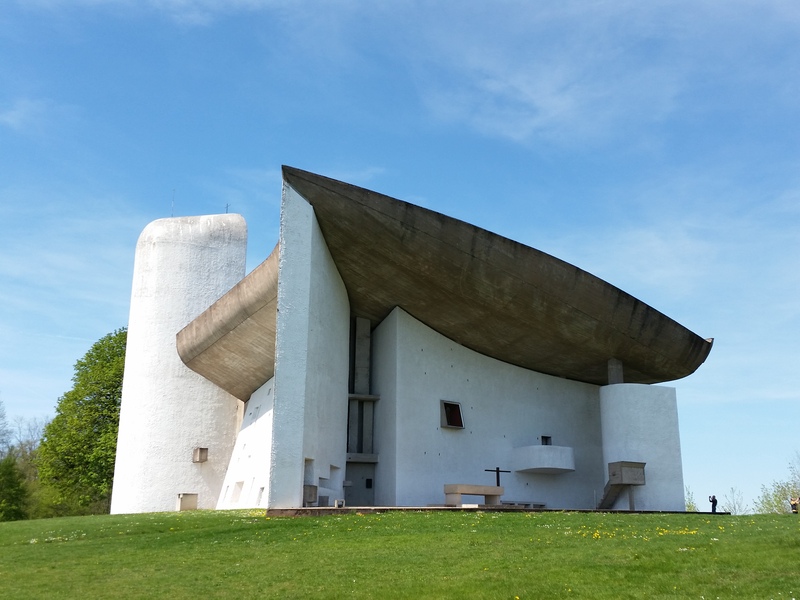 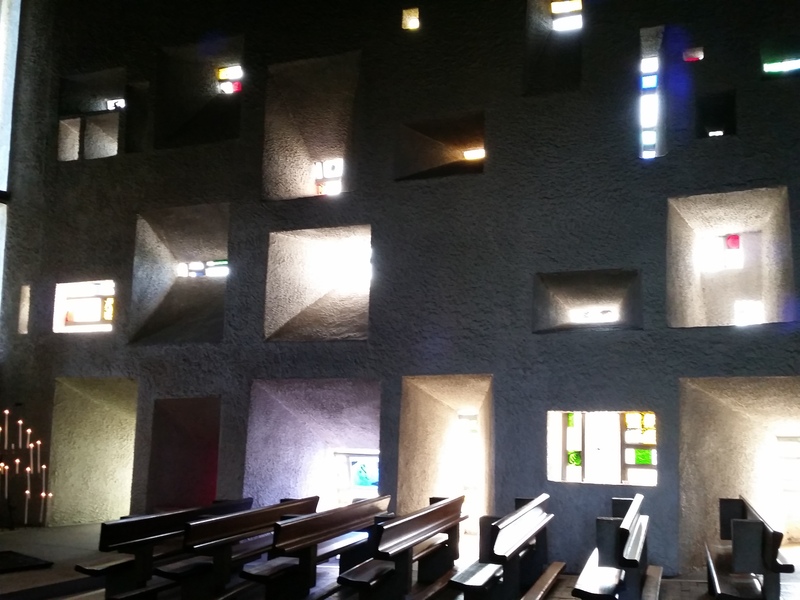 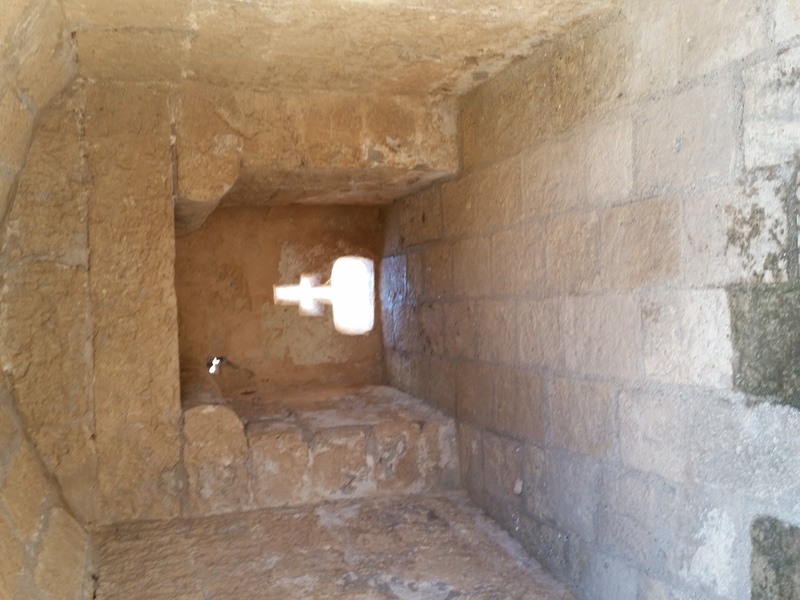 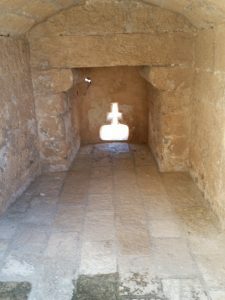 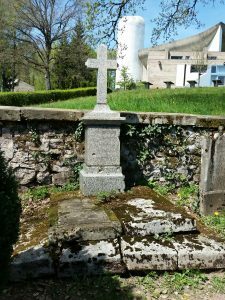 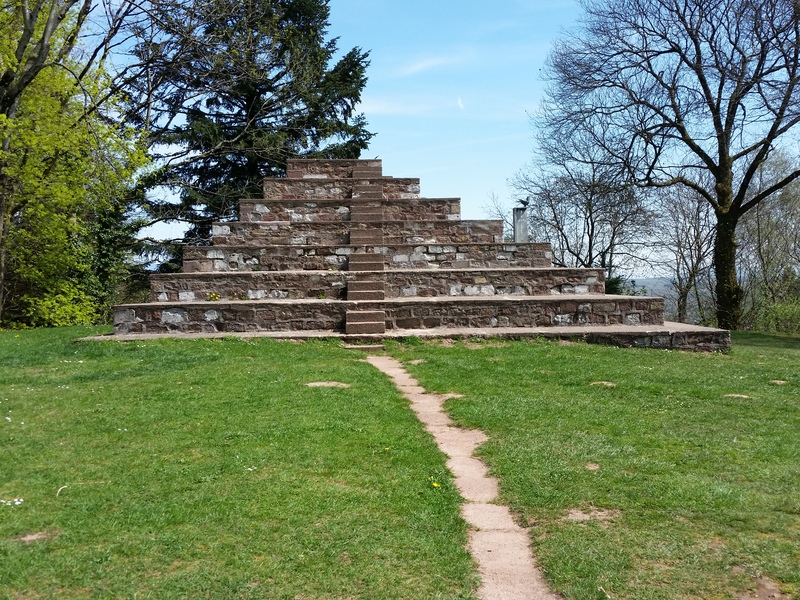 It is a cruciform in shape, with an elongated nave in the Latin cross form but the early designs were for a centrally planned structure and this is still in evidence in the architecture. 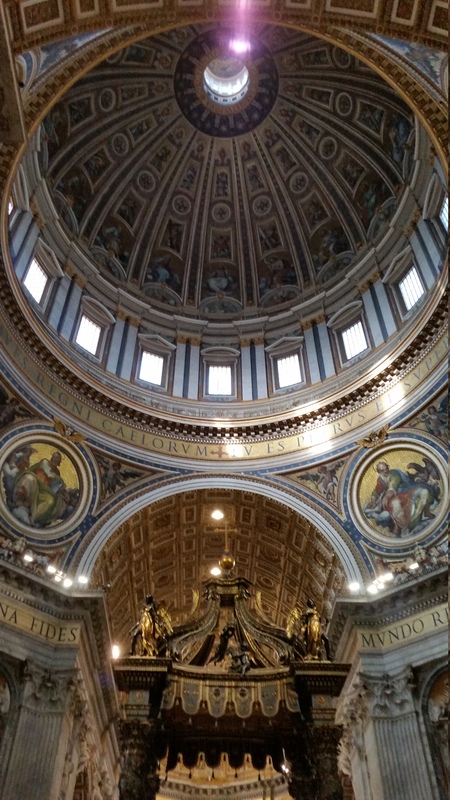 The central space is dominated both externally and internally by one of the largest domes in the world. 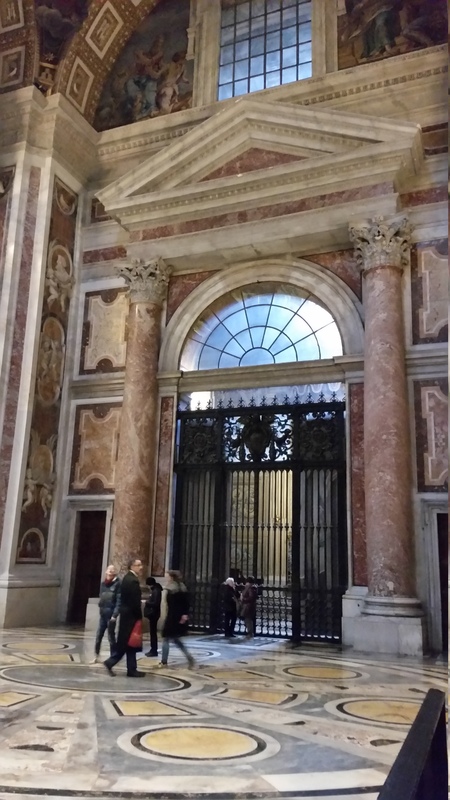 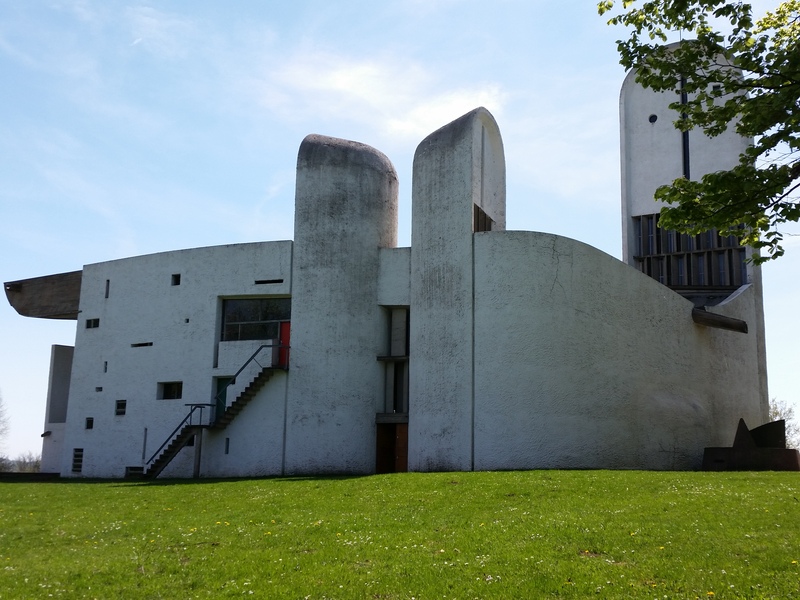 The entrance is through an entrance hall, which stretches across the building. 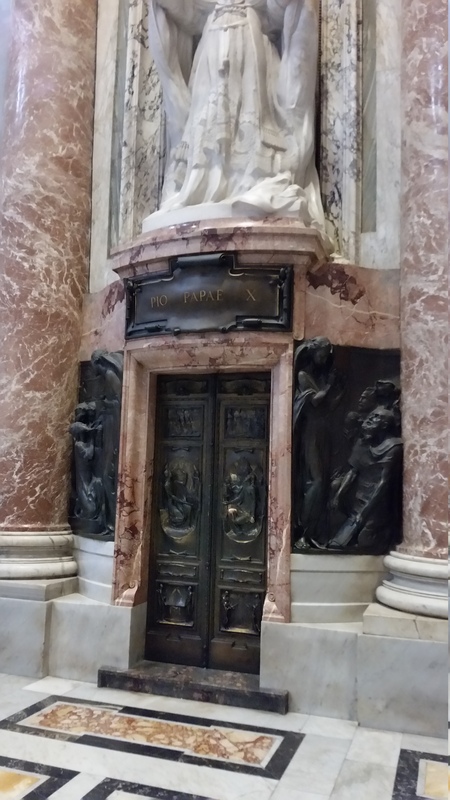 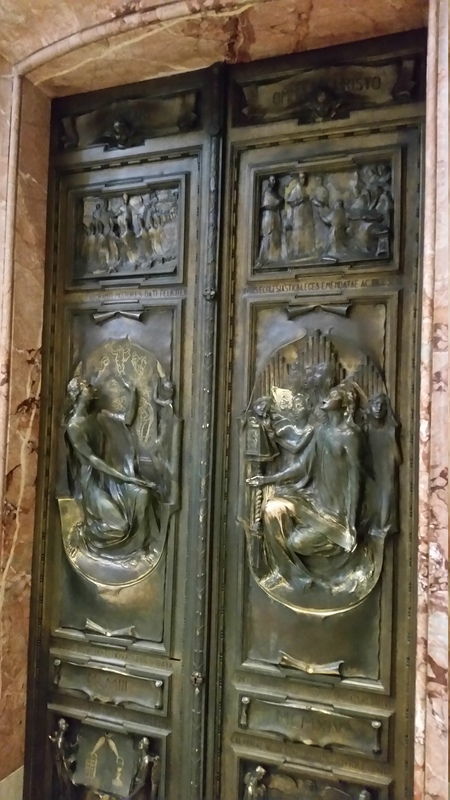 One of the decorated bronze doors leading from the narthex is the Holy Door, only opened during jubilees. 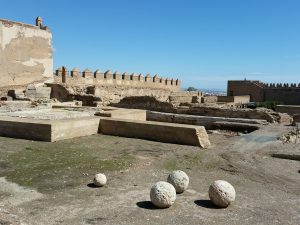 Here are some more photos I took on this visit, enjoy! 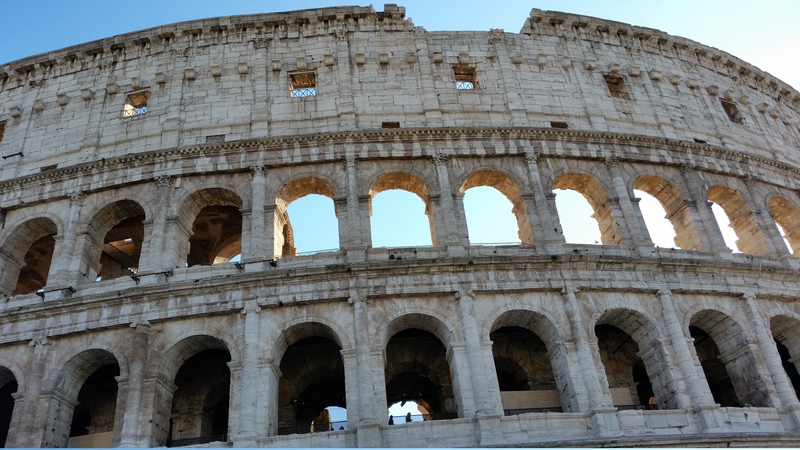 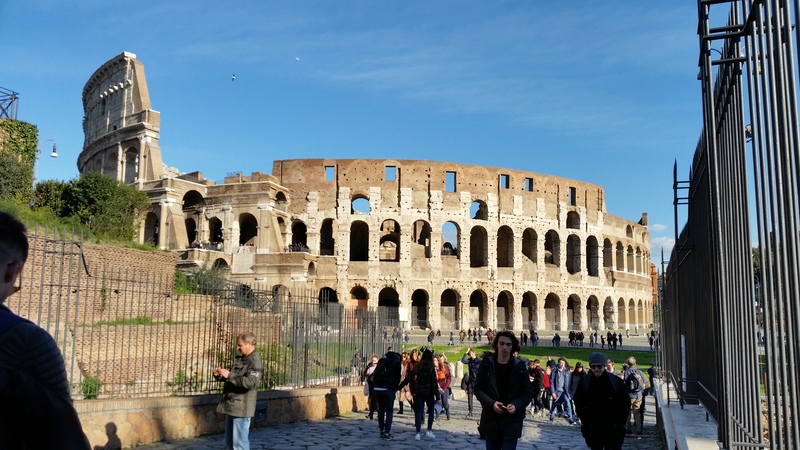 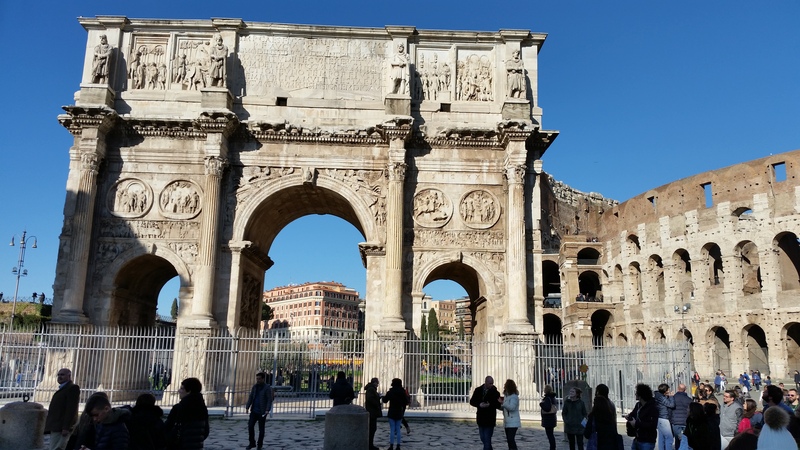 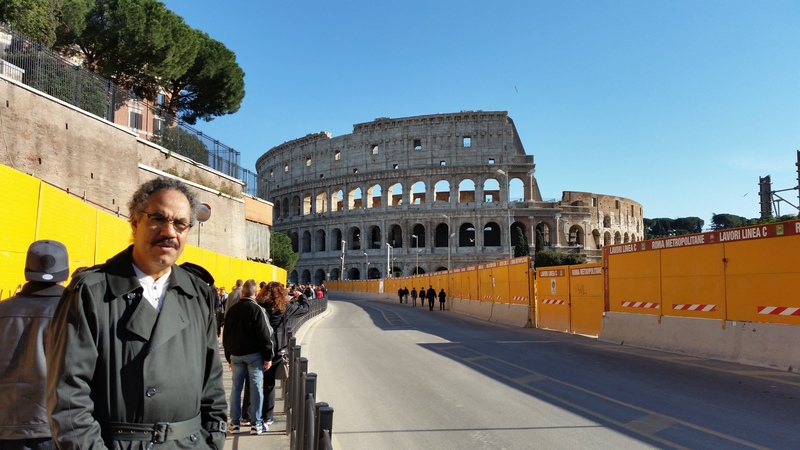 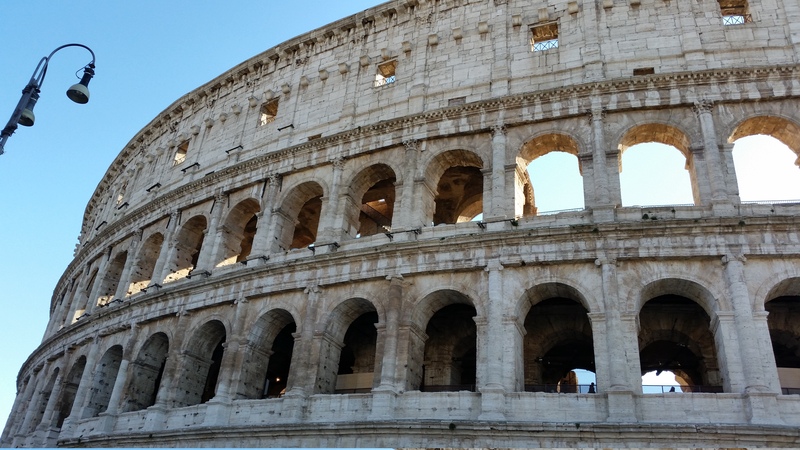 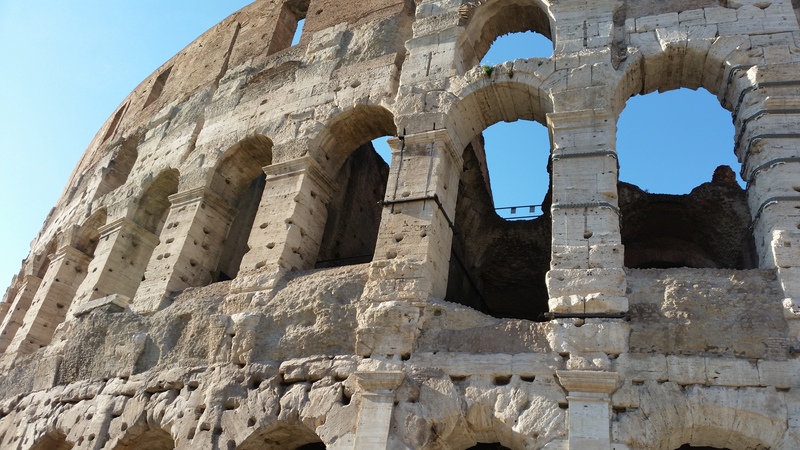 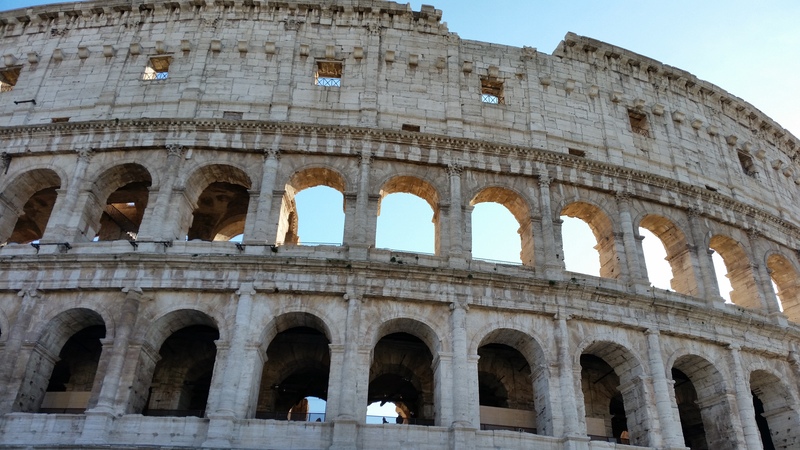 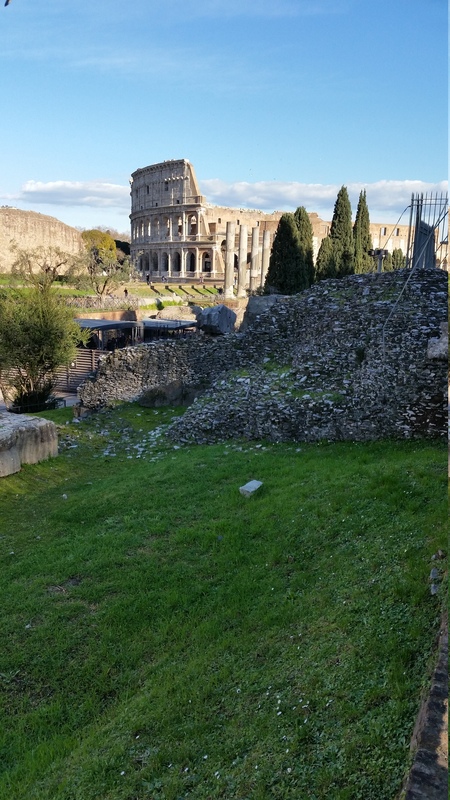 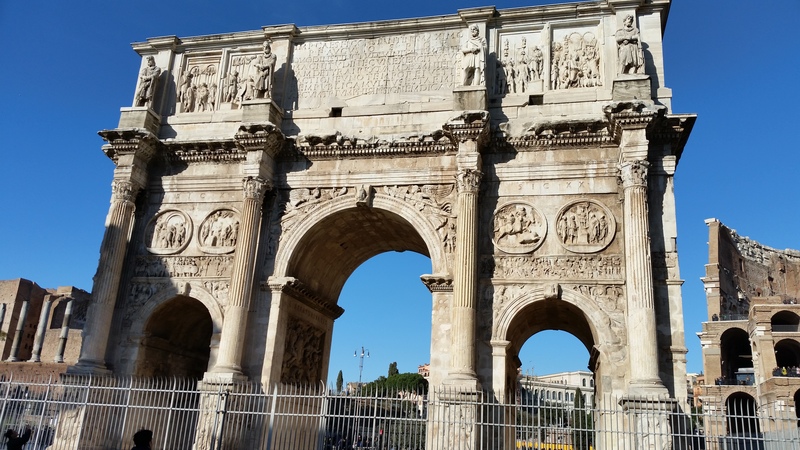 Today was our first day in Rome and we walked from our tiny studio AirBnB to the Colosseum or Coliseum, also known as the Flavian Amphitheatre. 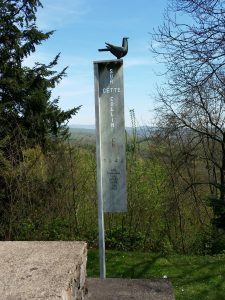 It was a 7 mile round trip walk (just going straight there and back). 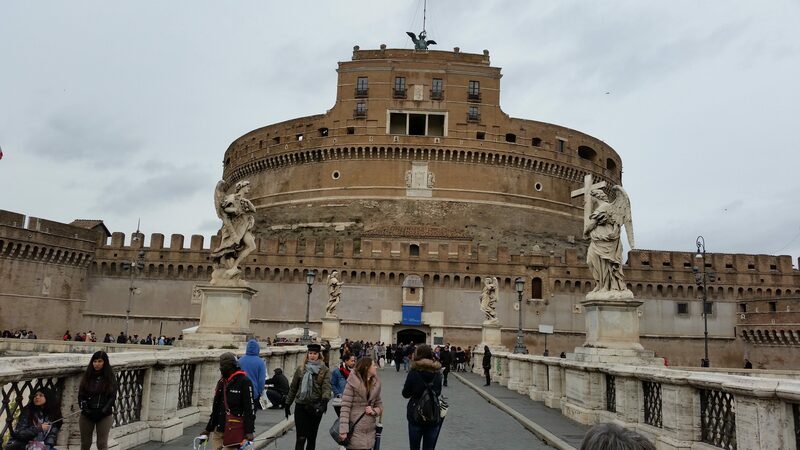 With all the extra tours and a total of 7 hour trip, I estimate close to 10 miles for the day! 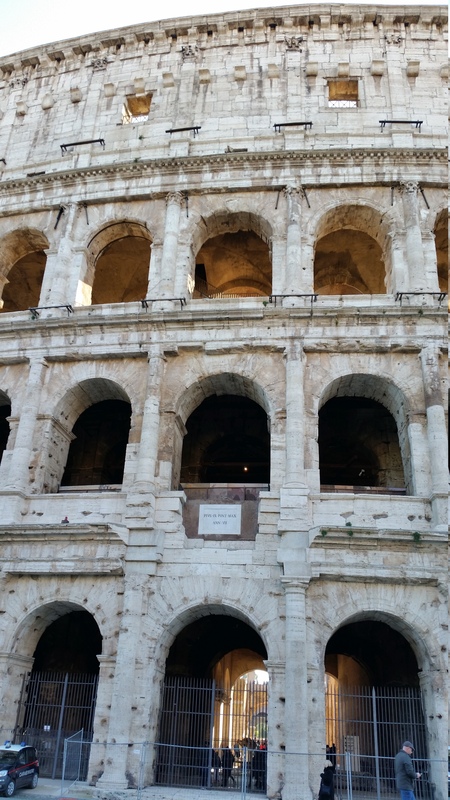 The Colosseum is an oval amphitheatre in the center of of Rome, Italy. 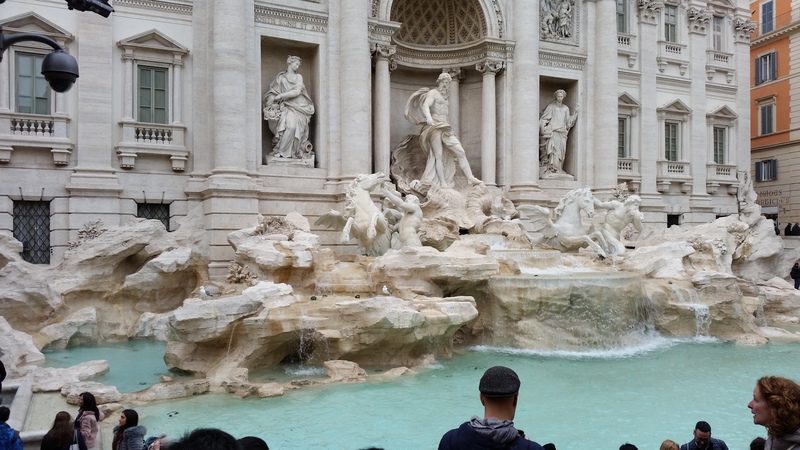 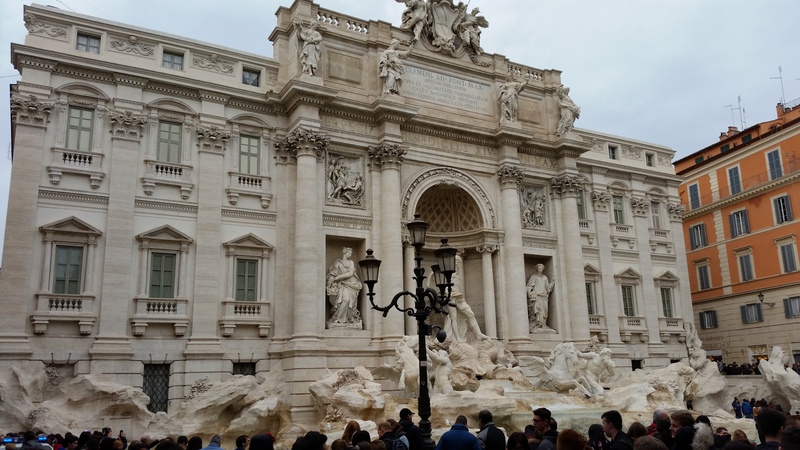 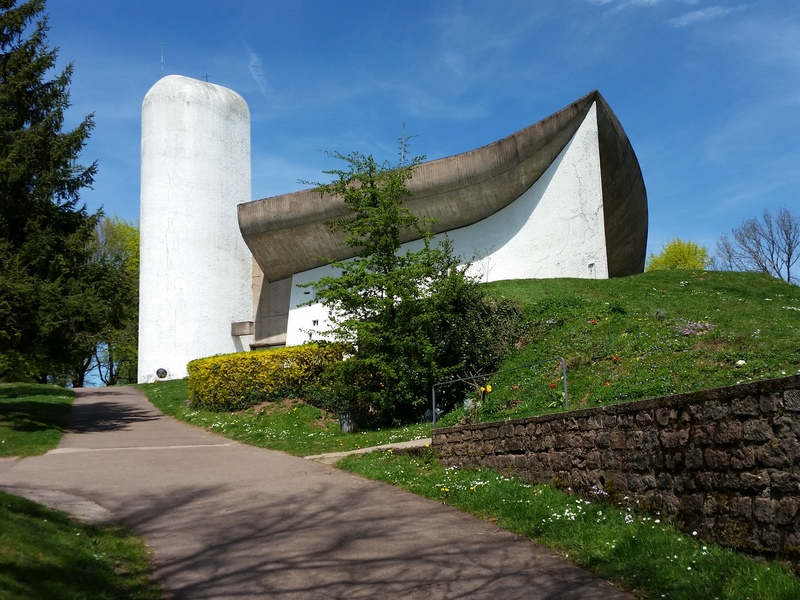 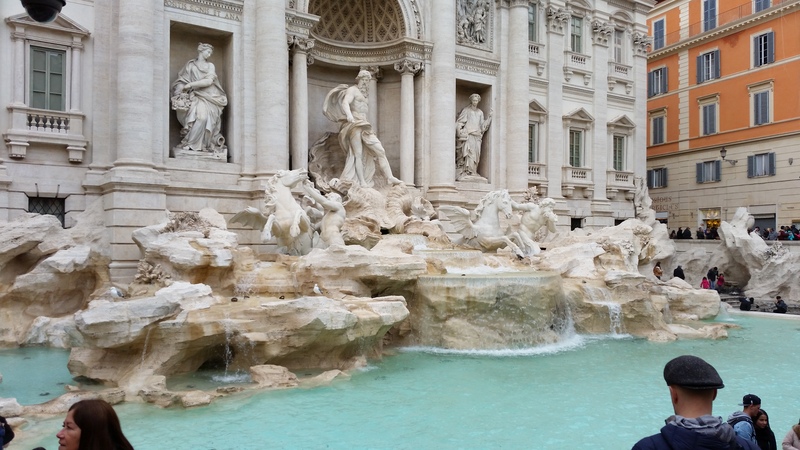 Built of travertine marble, tuff (a light, porous rock formed by consolidation of volcanic ash), and brick-faced concrete. 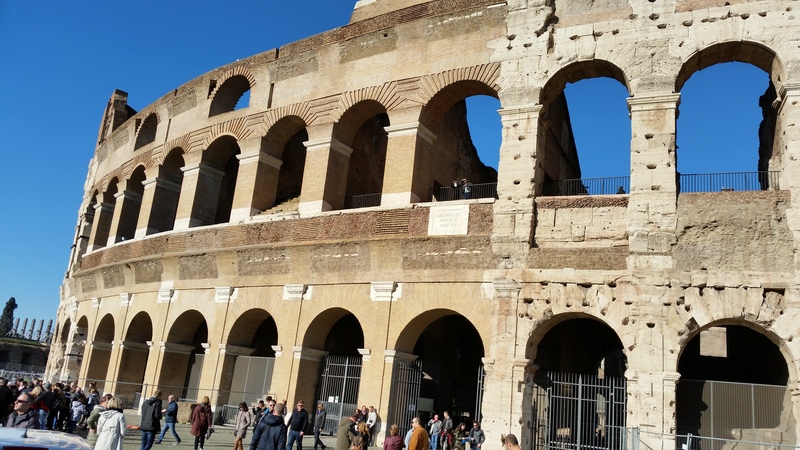 It is said to be the largest amphitheatre ever built. 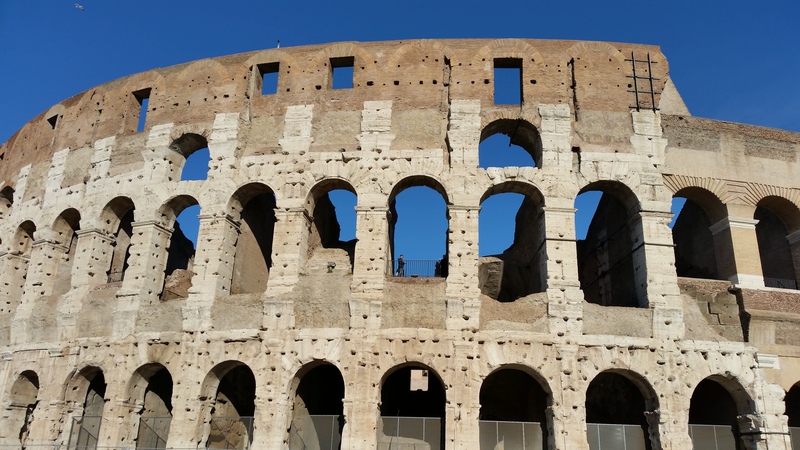 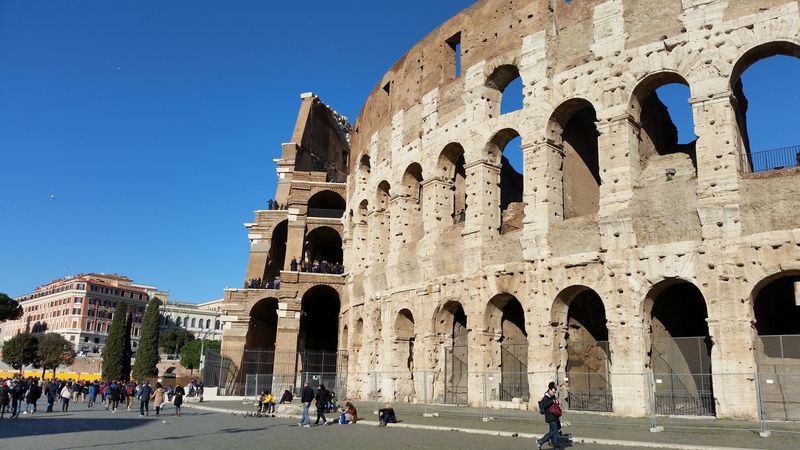 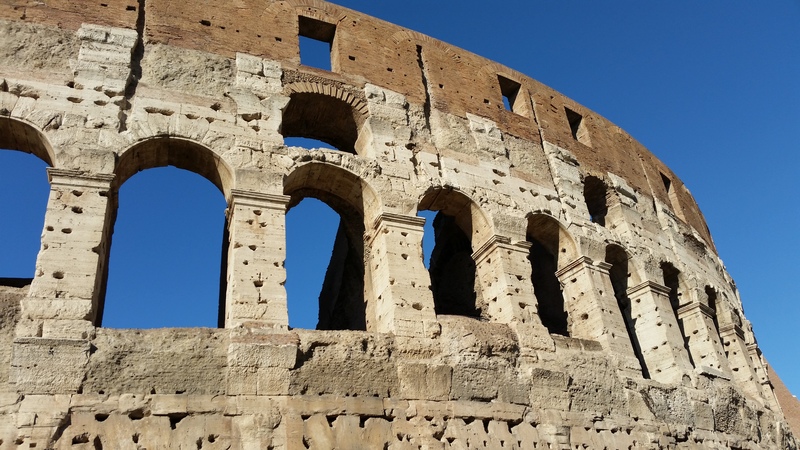 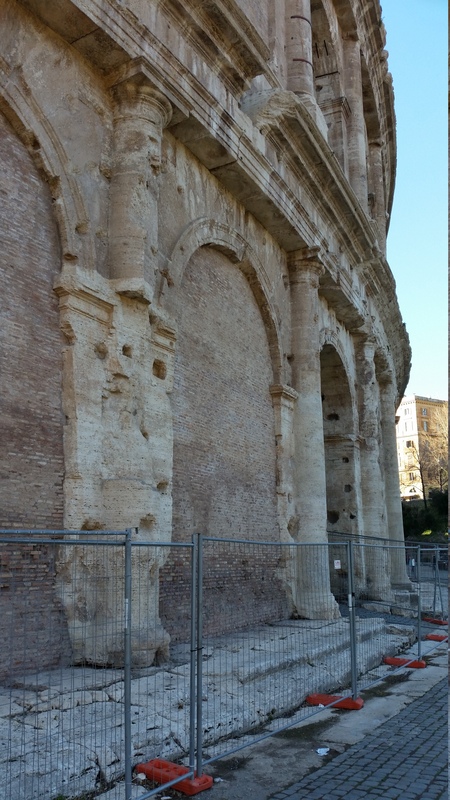 More interesting info: The Colosseum was used for workshops, housing, a quarry, a fortress and even as a Christian shrine. 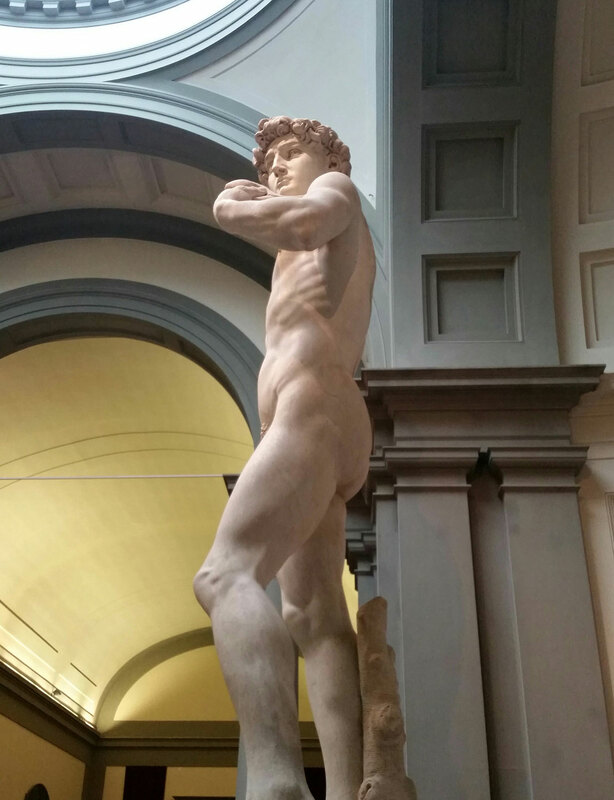 This is a bronze copy of Michelangelo’s David! 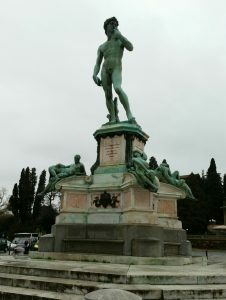 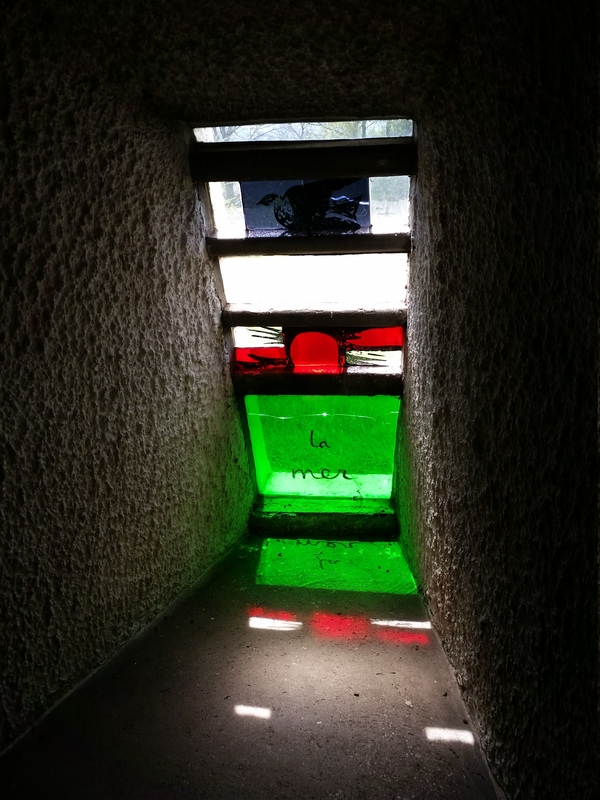 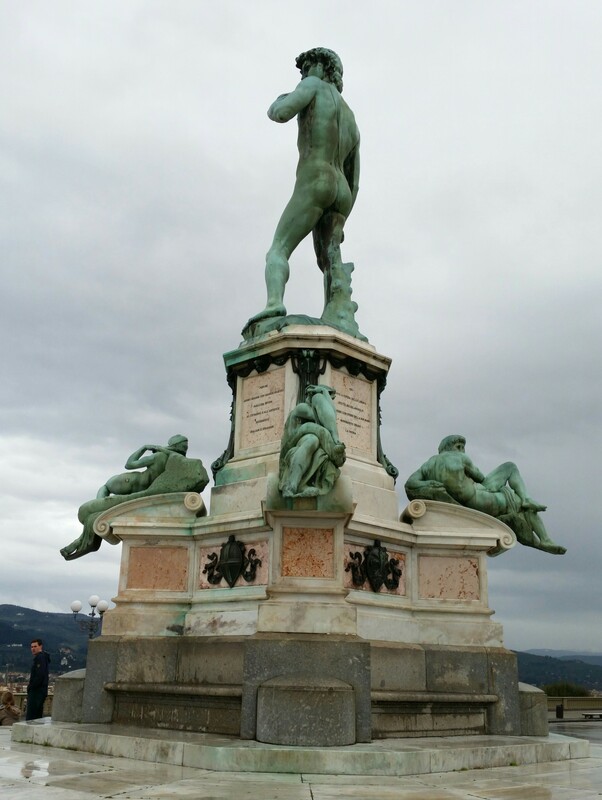 It is at a Piazzale Michelangelo – which is very high on a hill! 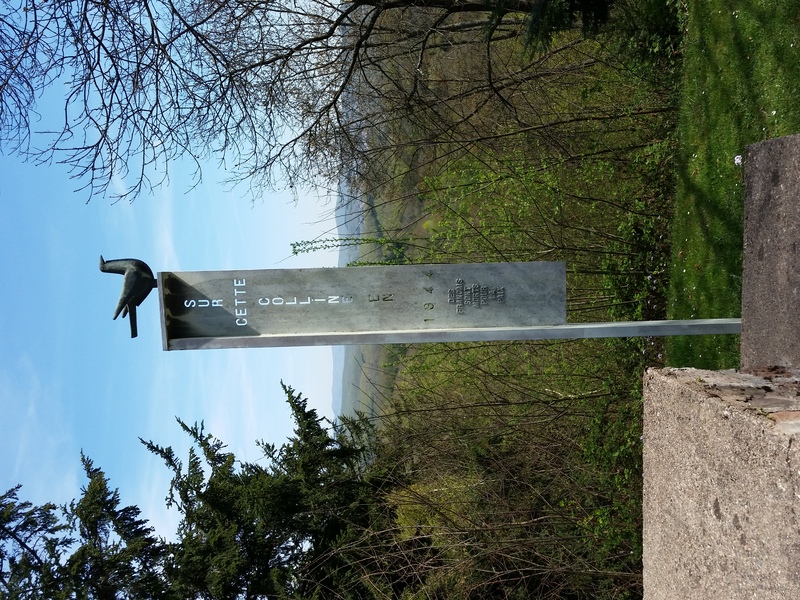 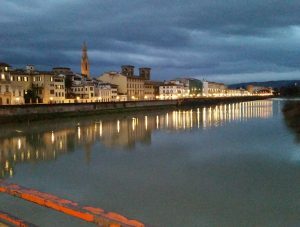 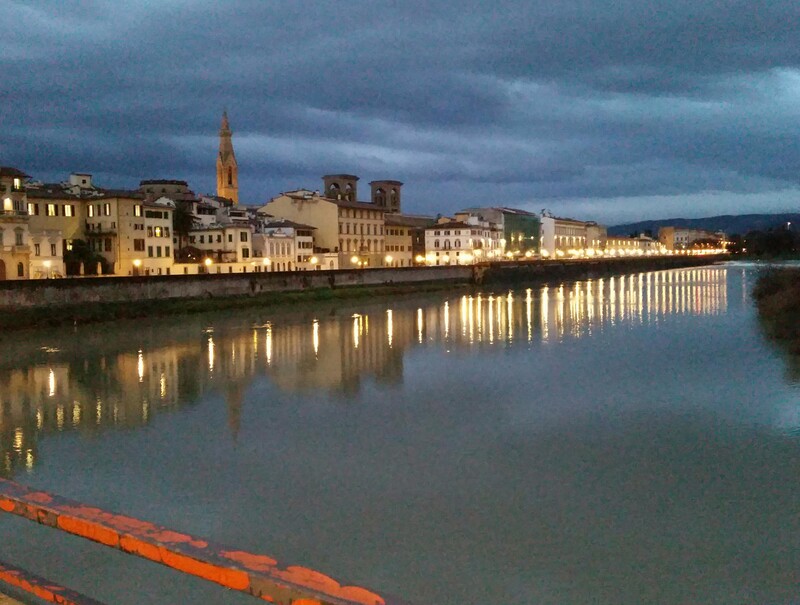 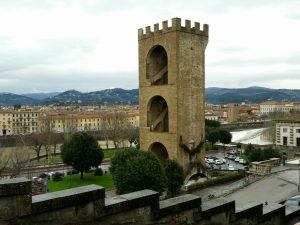 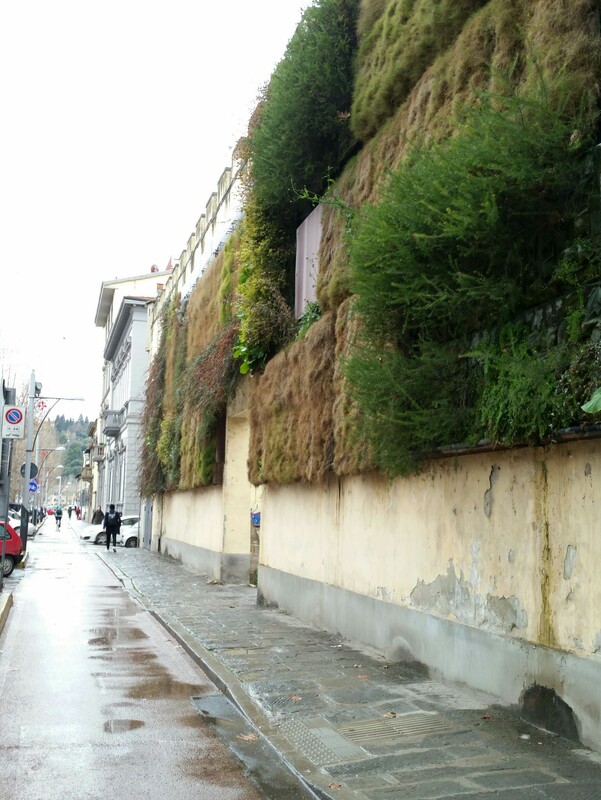 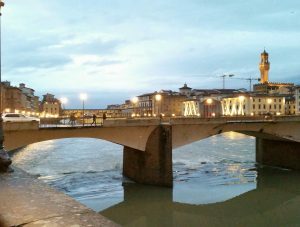 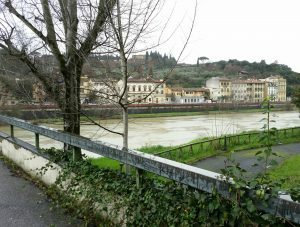 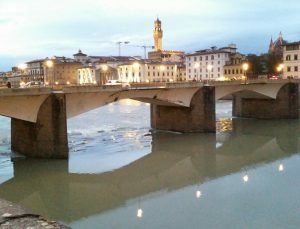 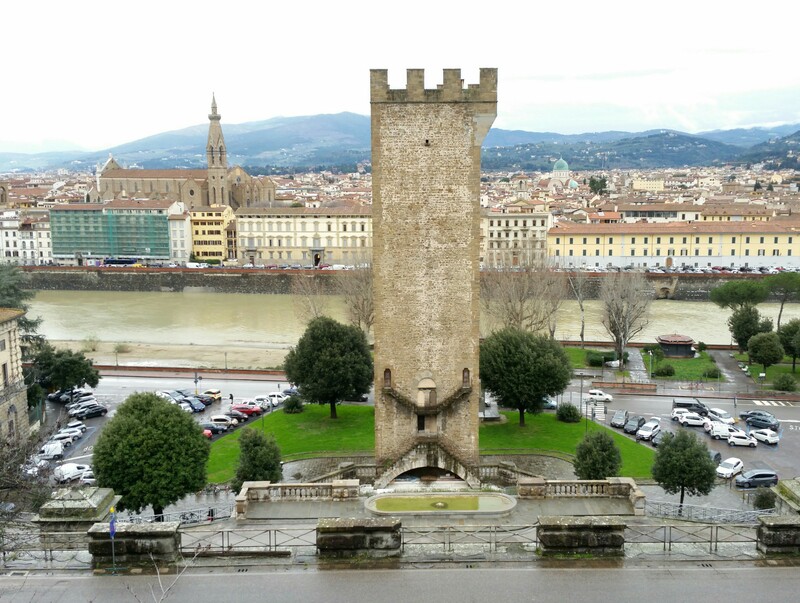 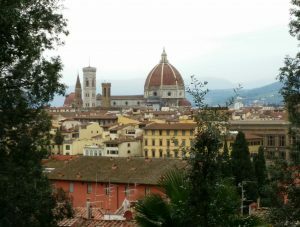 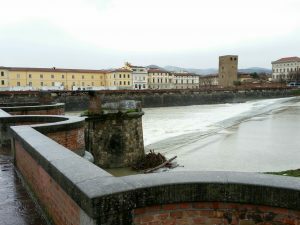 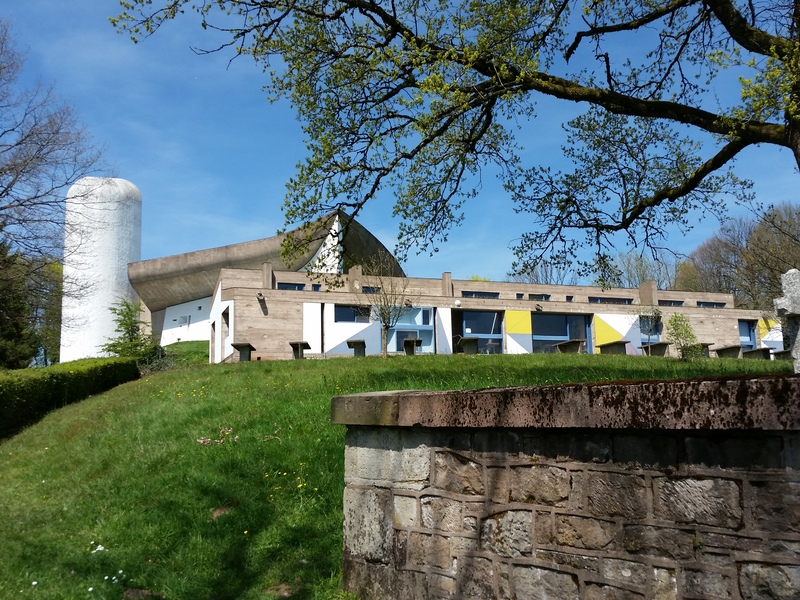 It overlooks Florence – Awesome!!! 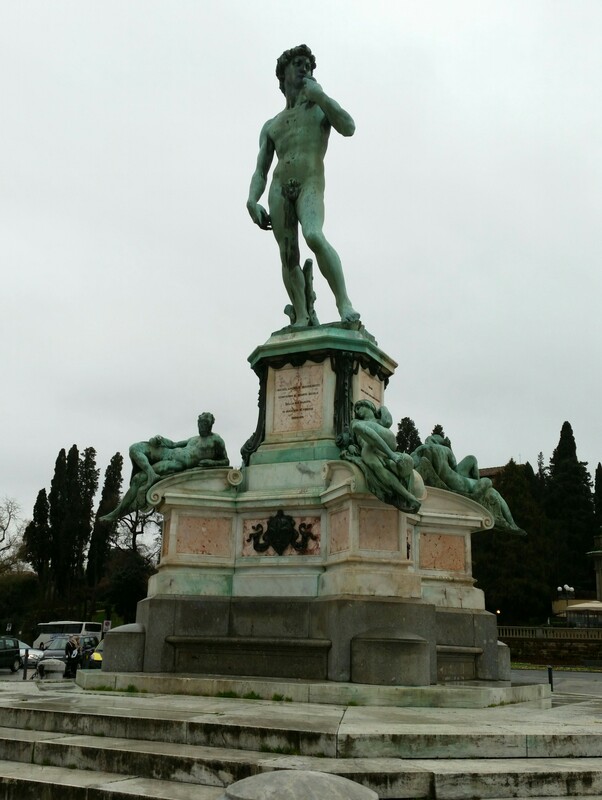 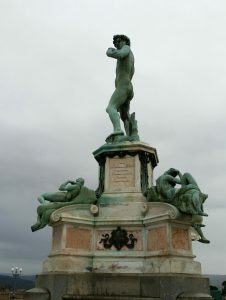 We walked from our Apartment across the river then up a very steep hill to see the Piazzale Michelangelo. 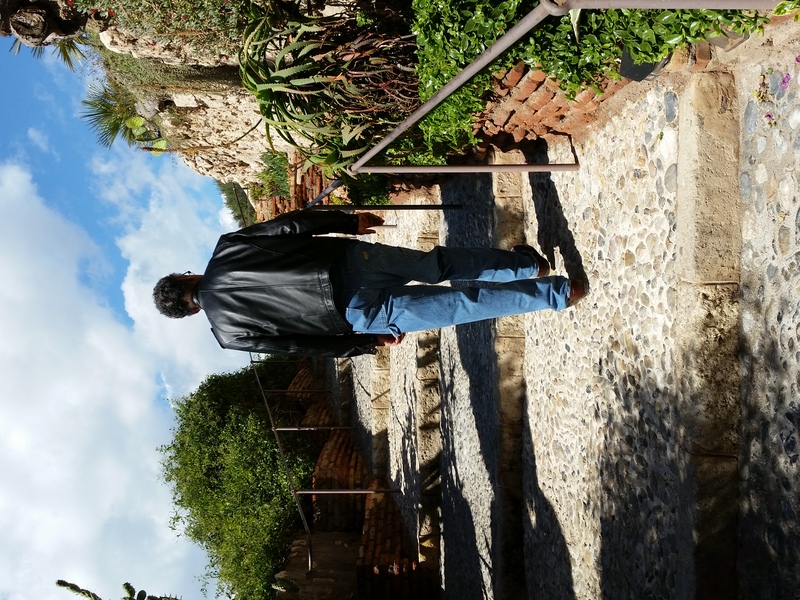 It was worth it, but I was afraid I wouldn’t make it due to my very bad knees. It rained the whole way and by the time we got to the top we were freezing and stopped in a very nice restaurant to have drinks. 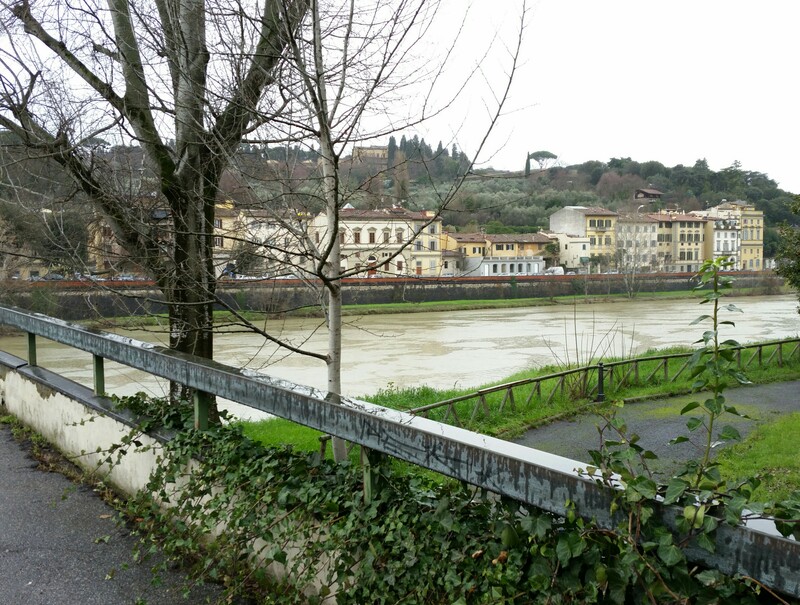 We got warmed up and dry then walked back to our apartment. 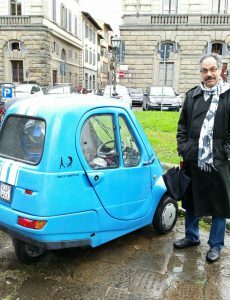 Amar and his little cars!! 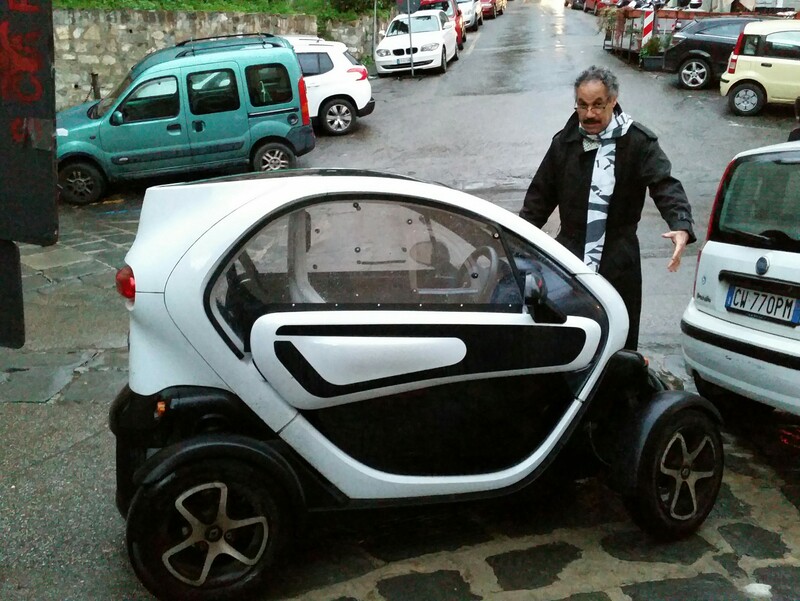 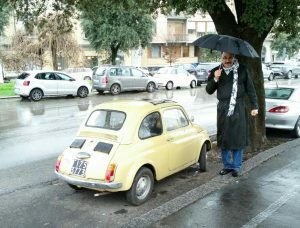 Amar likes little cars, and Italy has a lot of them! 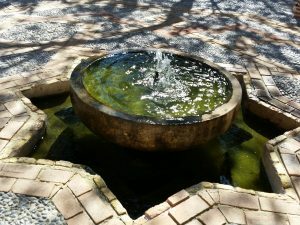 Here are some fun photos I took during our trip! 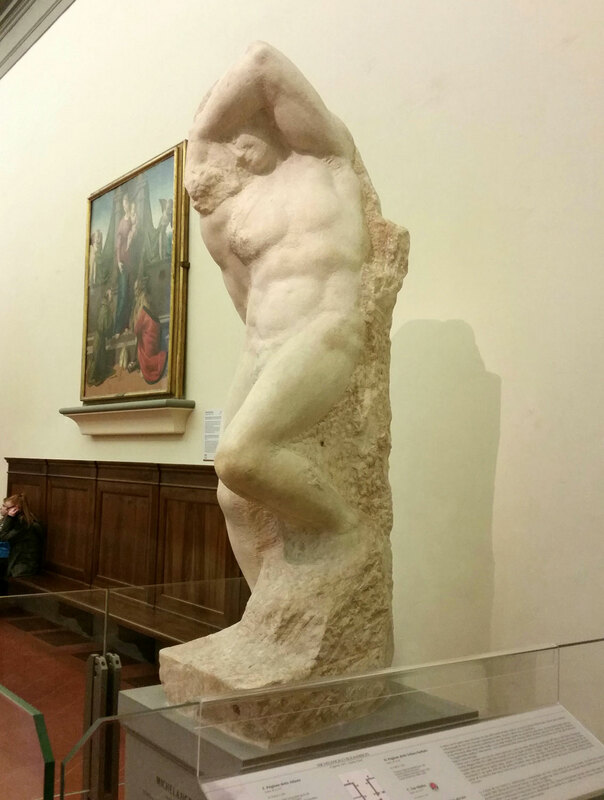 Accademia, though not easy to find, was absolutely amazing! 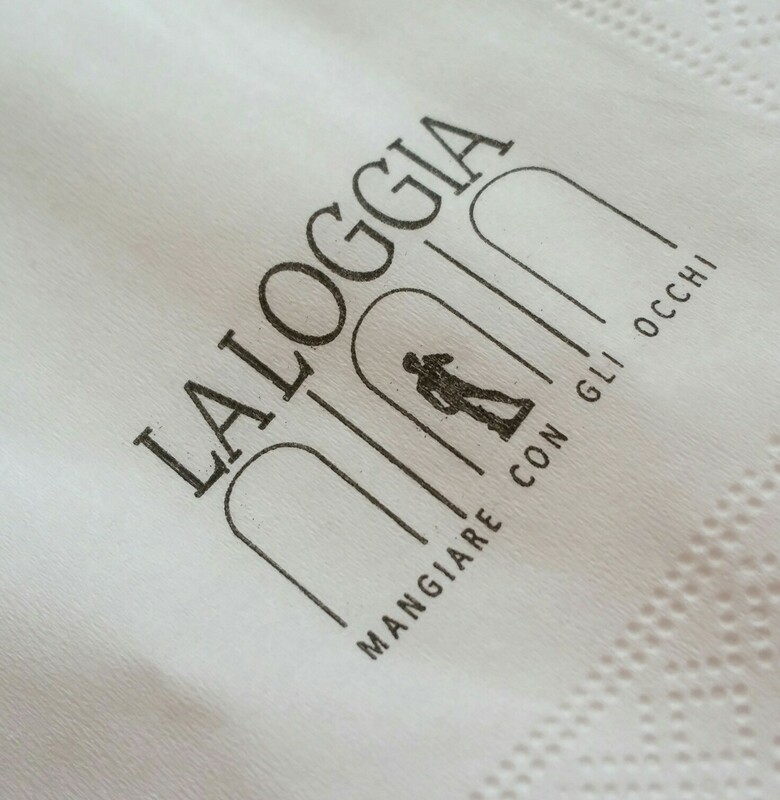 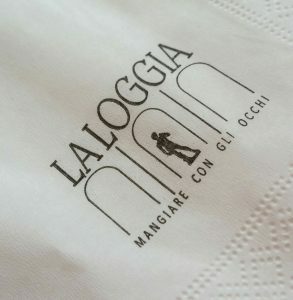 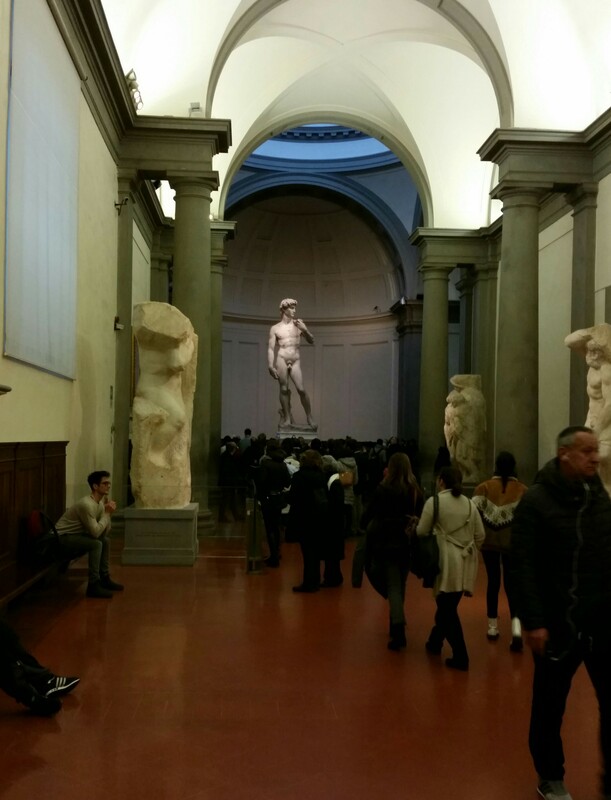 I highly recommend going, if you go to Florence, Italy! 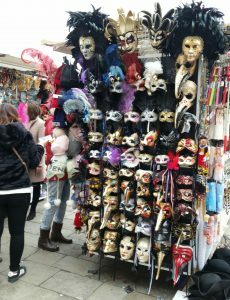 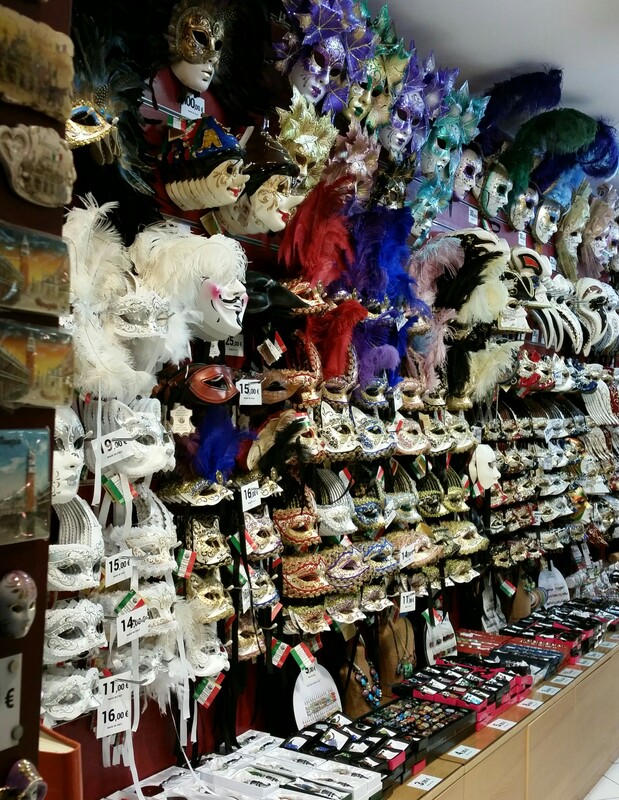 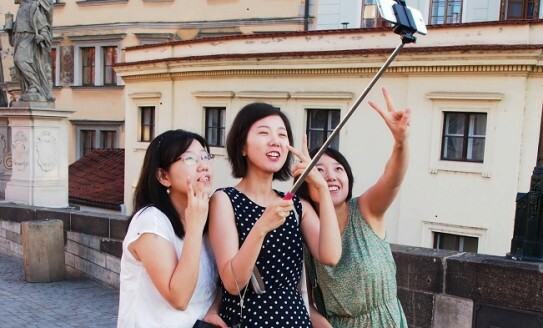 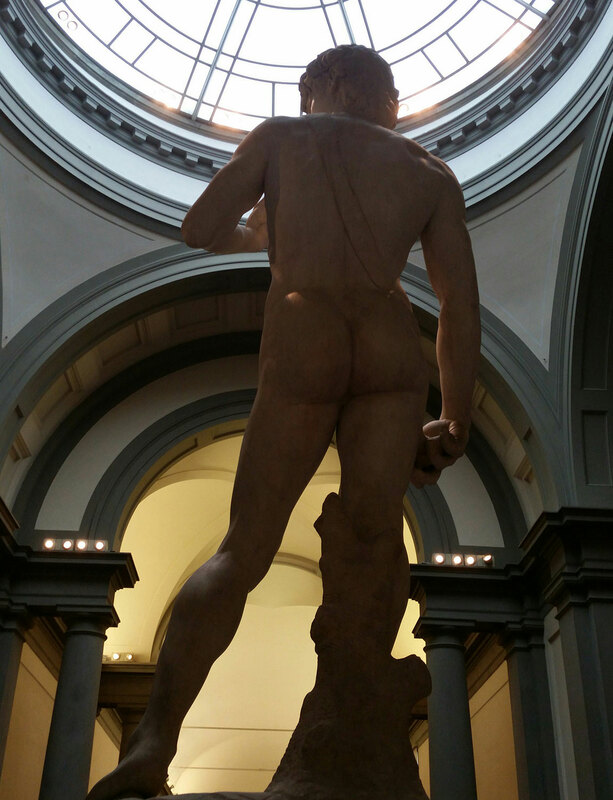 It was well worth the entrance fee of 9 euros. 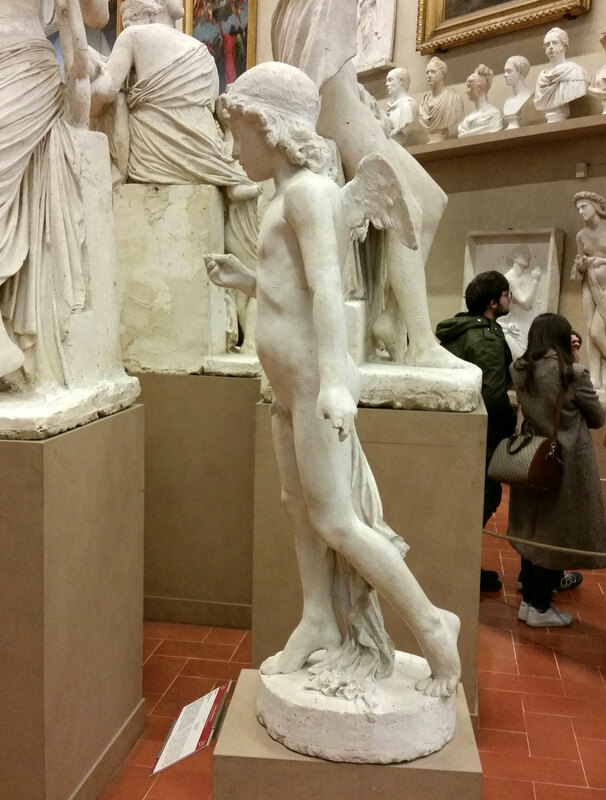 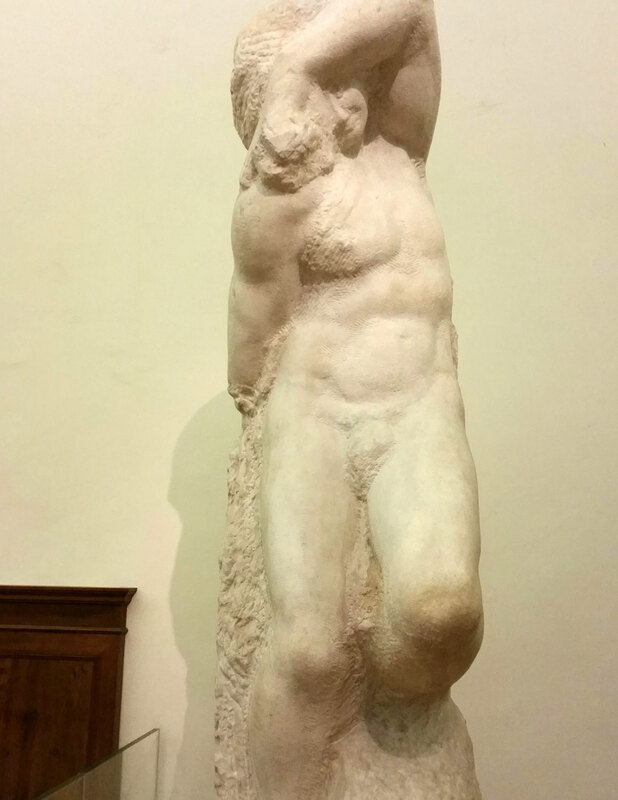 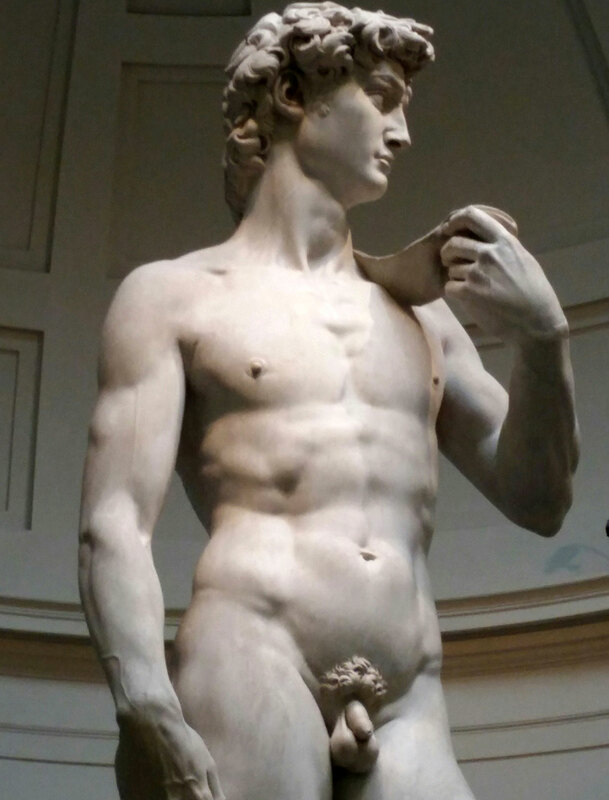 The way they display Michelangelo’s David was extremely well designed. 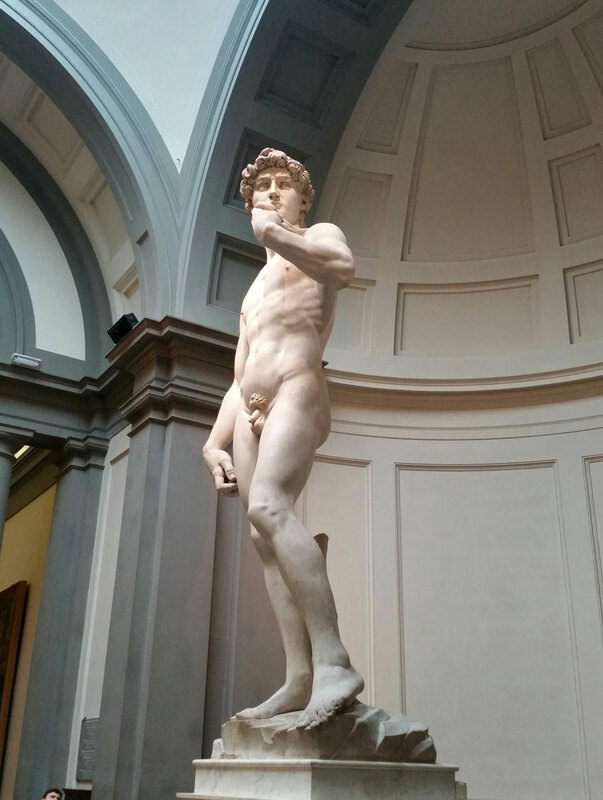 When you enter the corridor that houses David at the end. 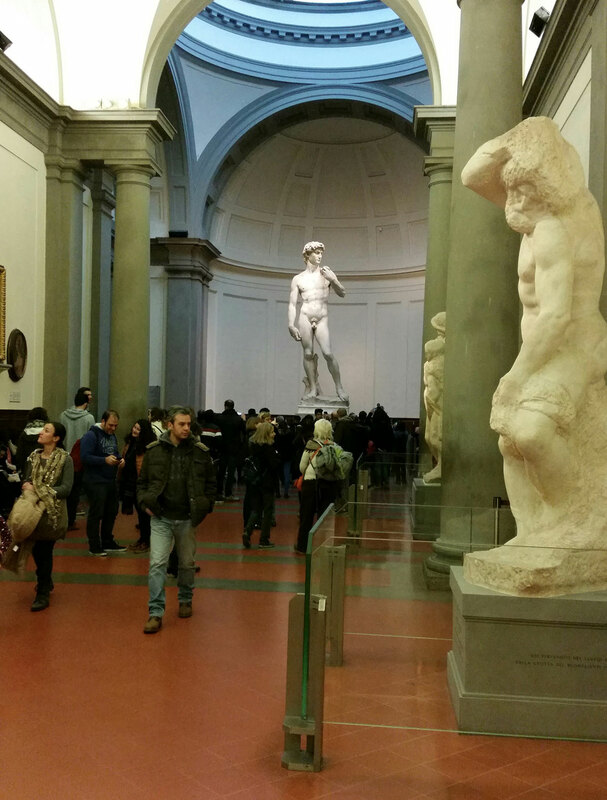 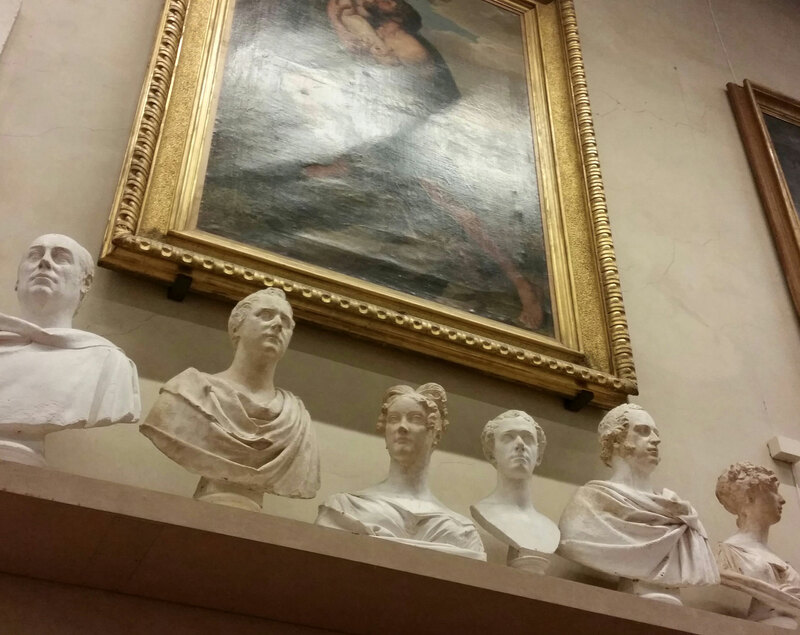 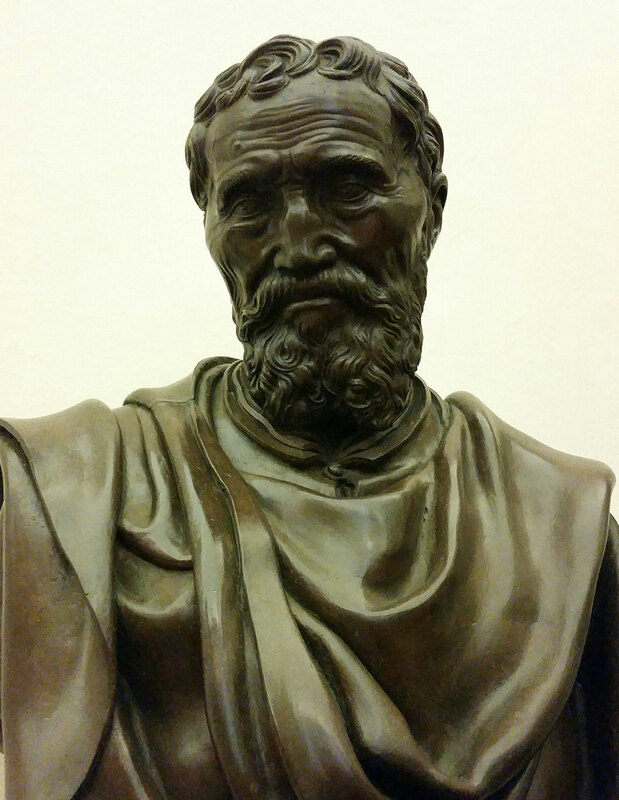 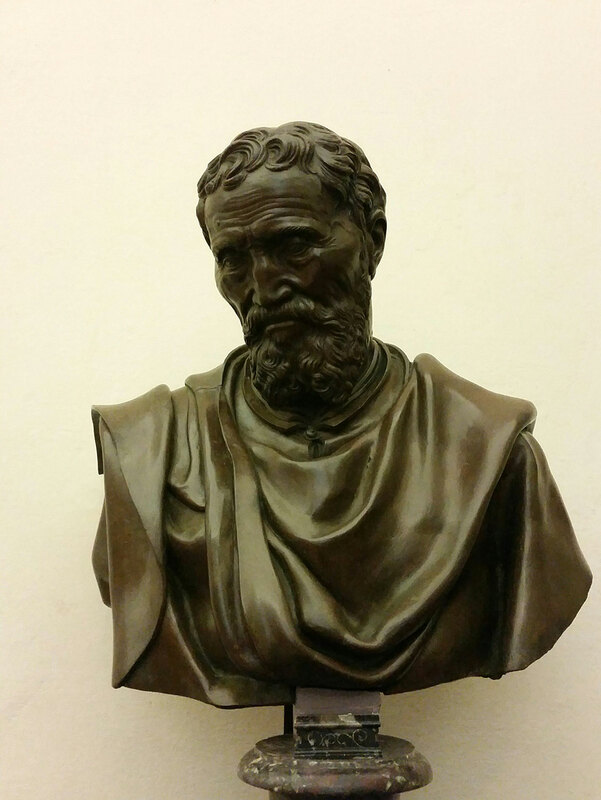 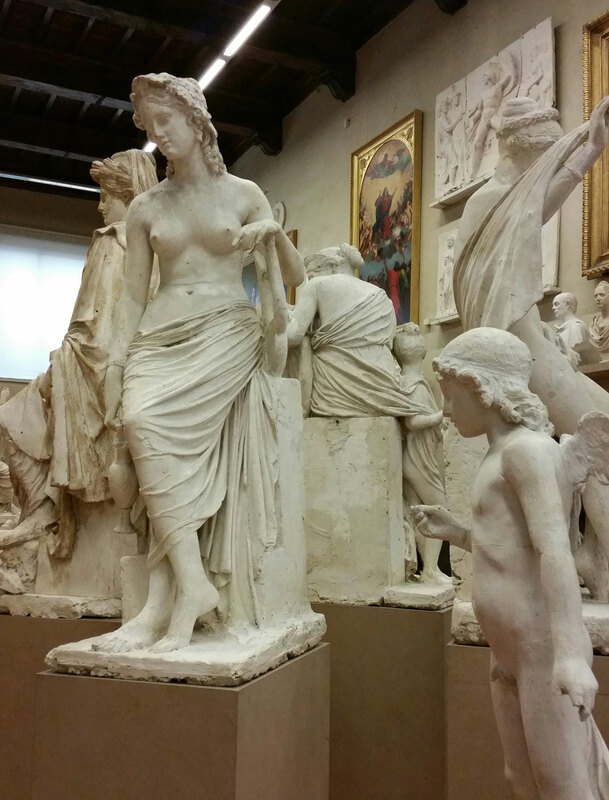 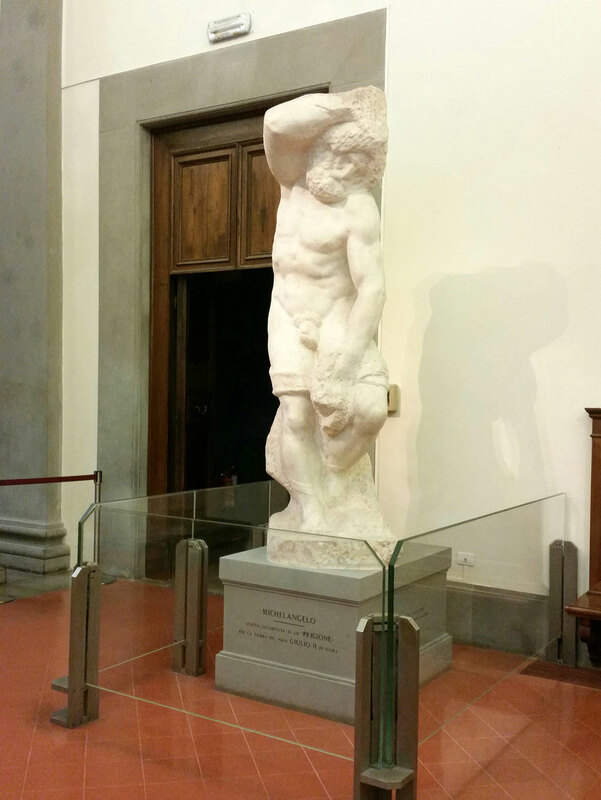 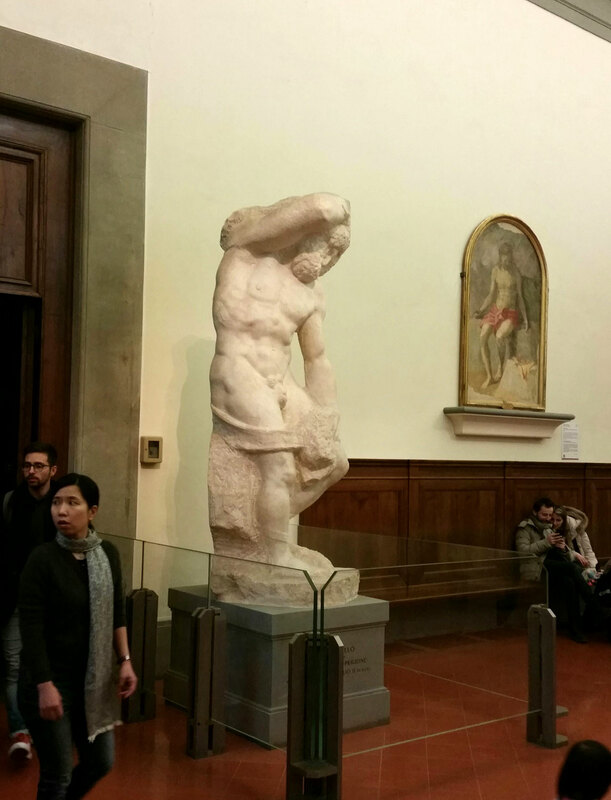 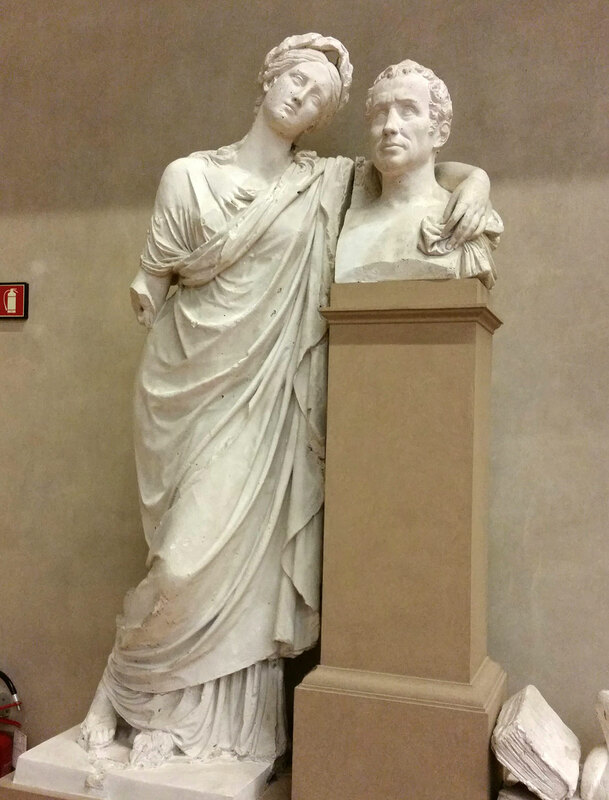 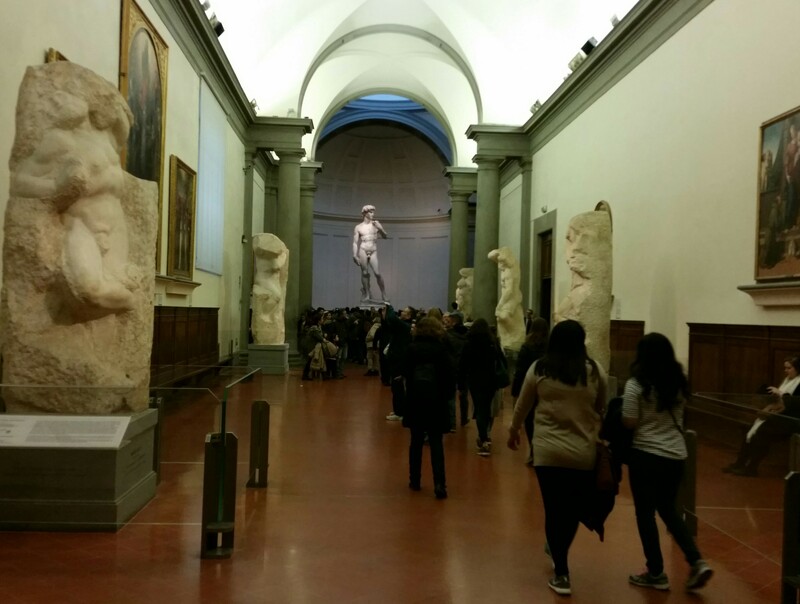 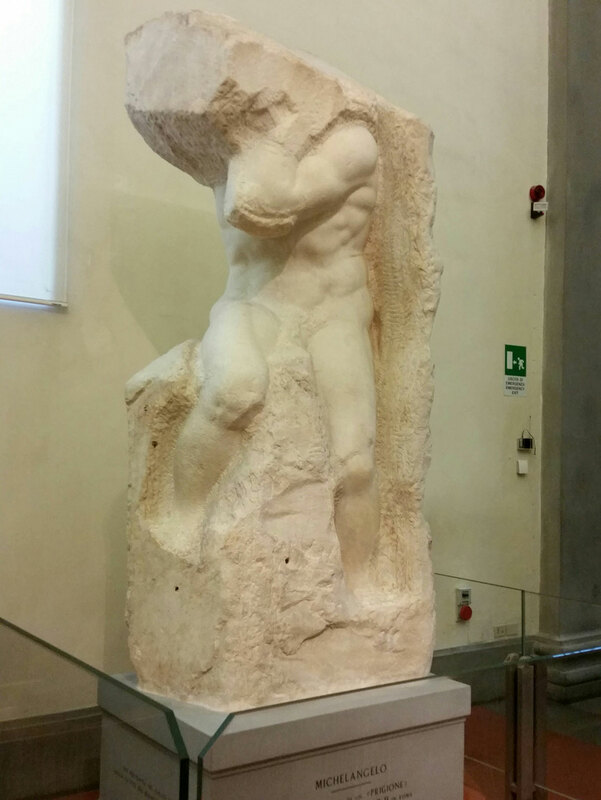 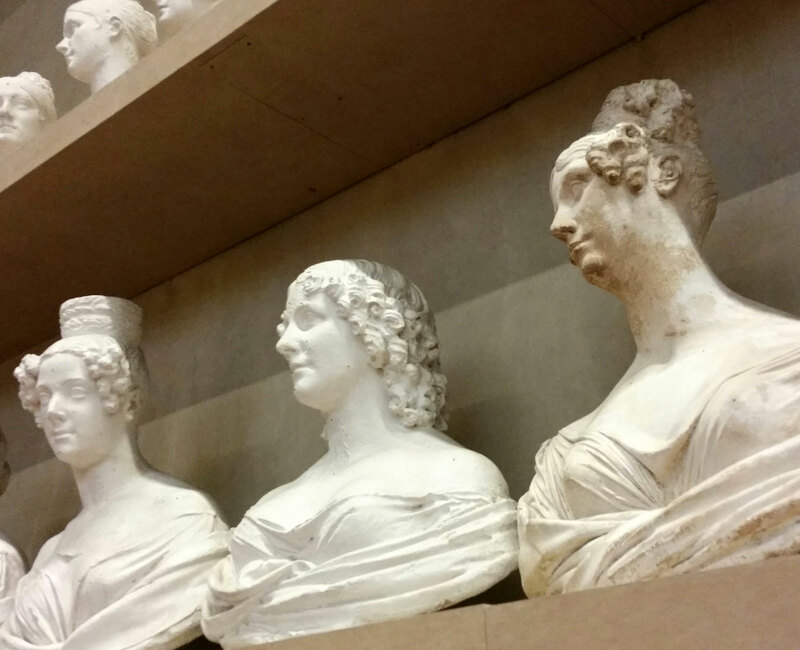 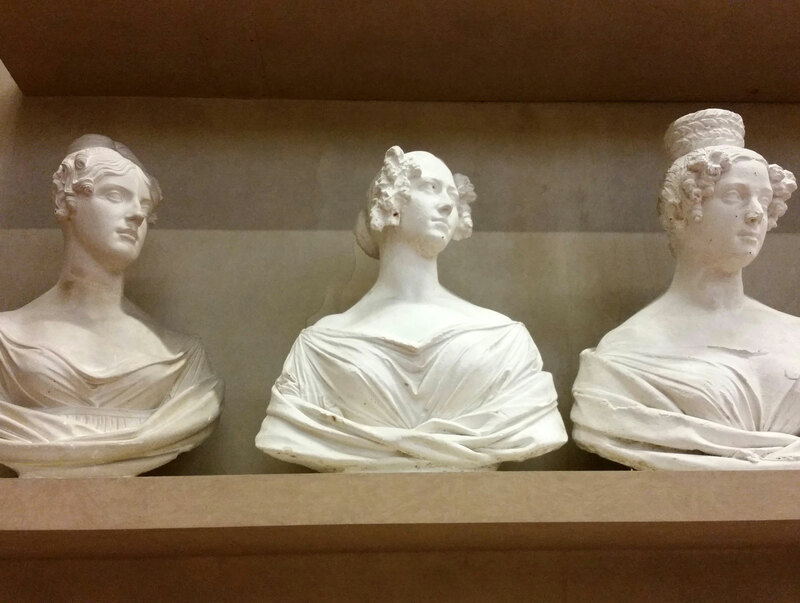 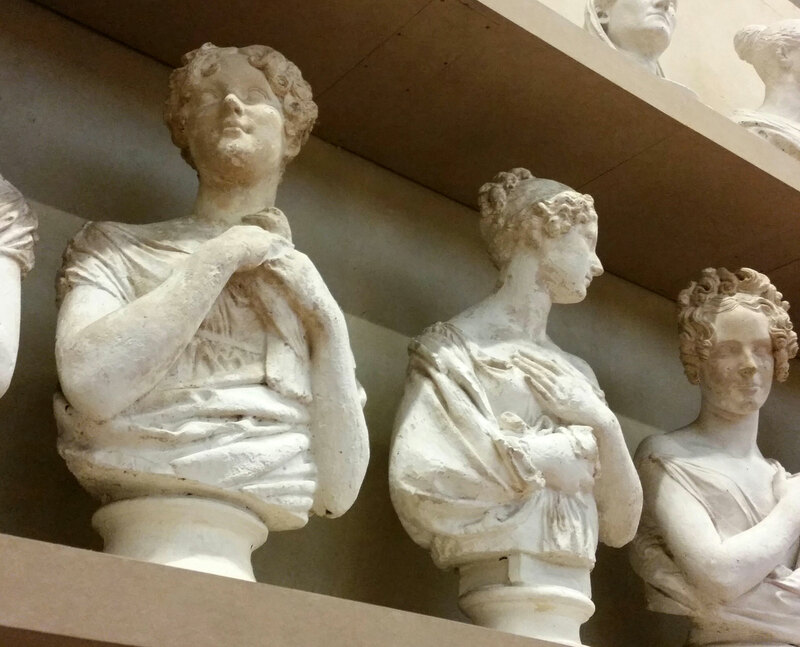 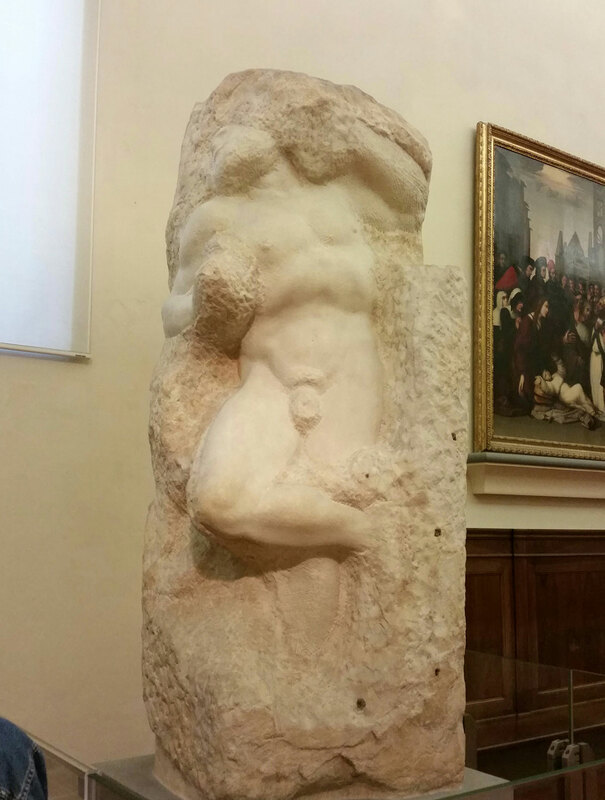 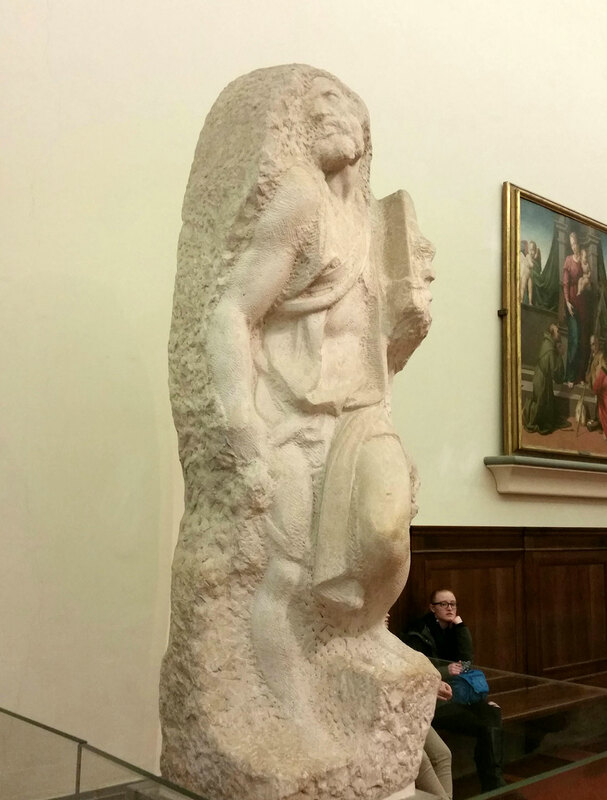 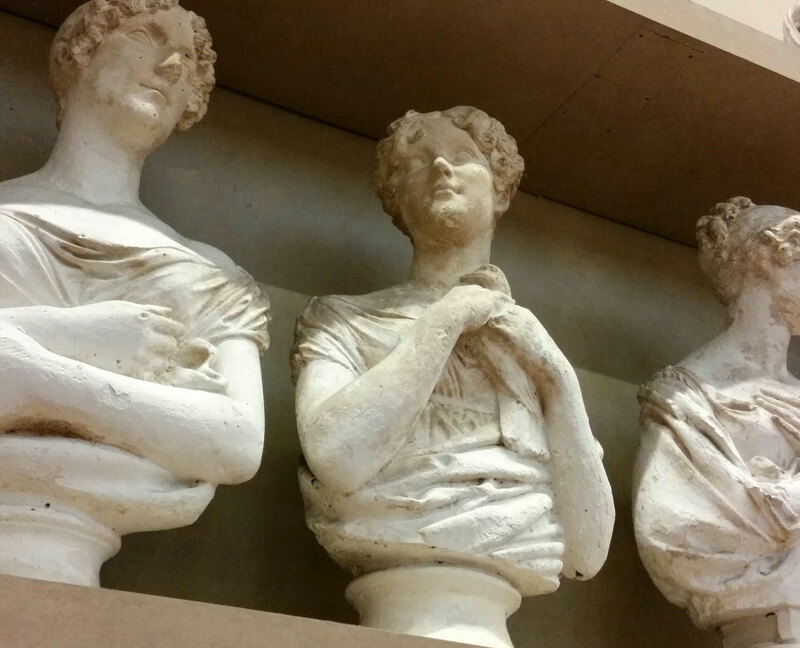 On each side of the corridor are unfinished sculptures by Michelangelo. 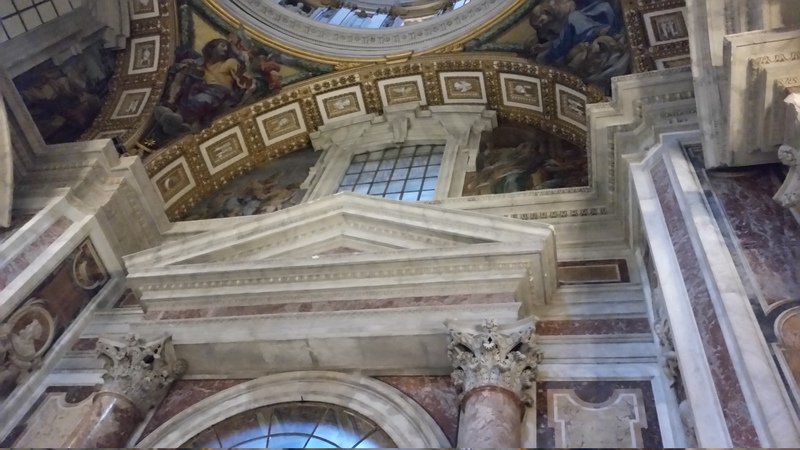 The wall color and scale of the hall and dome are perfect to display the color of the marble. 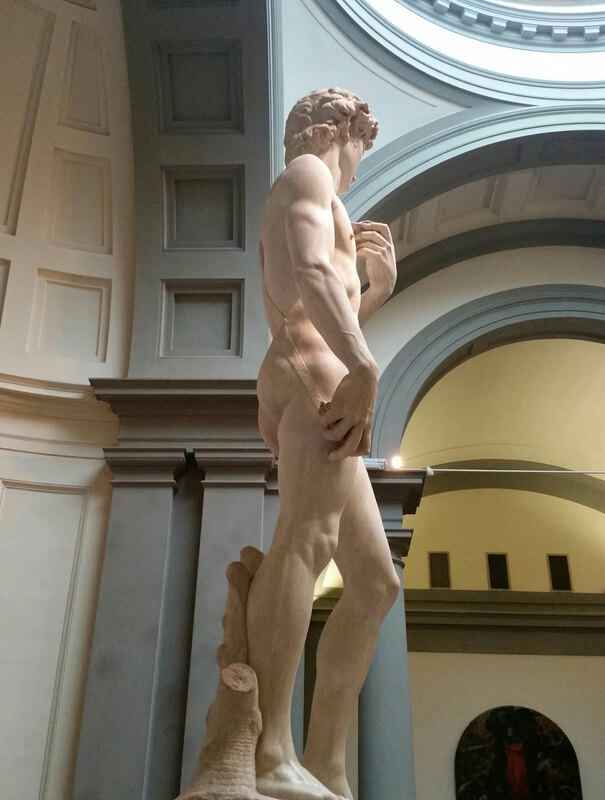 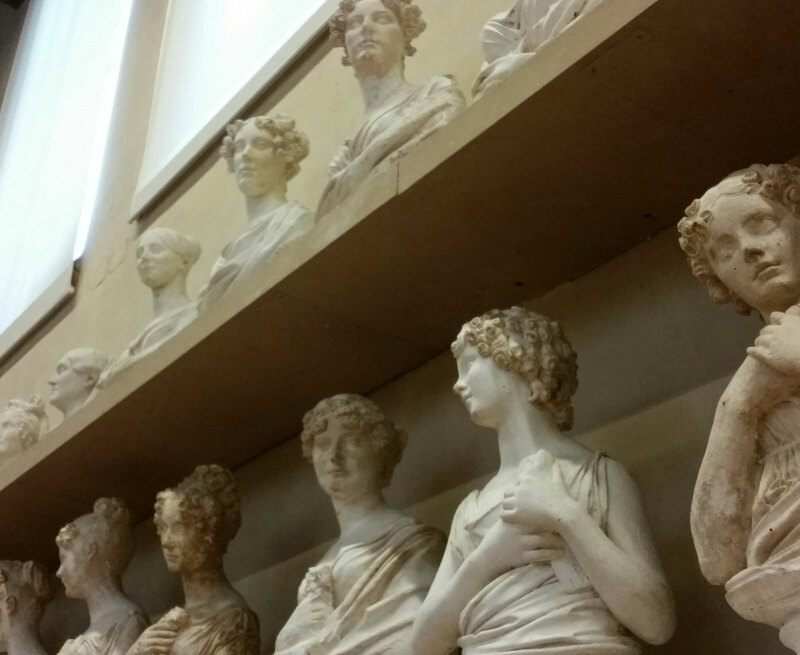 There was also another display of plaster copies of sculptures in another large corridor off to the left of David that was very interesting. 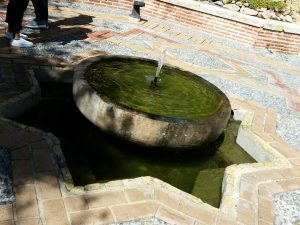 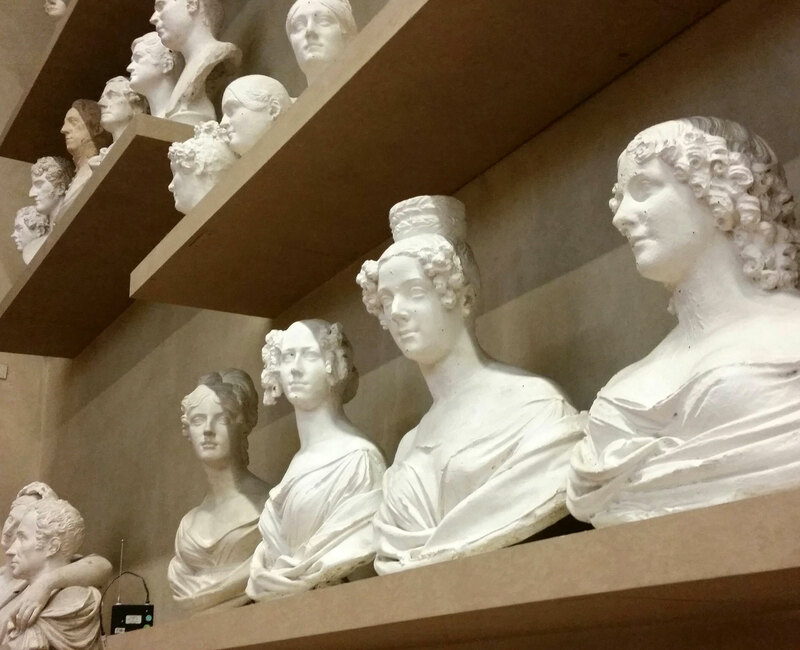 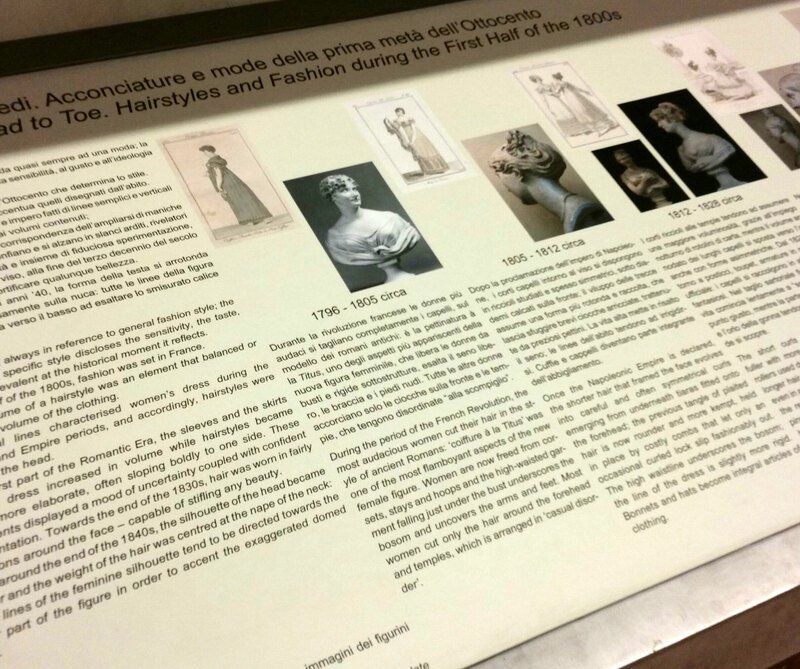 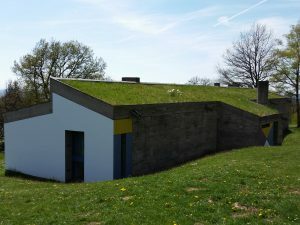 Here are some photos from that area of the museum.